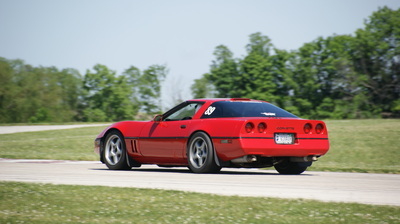 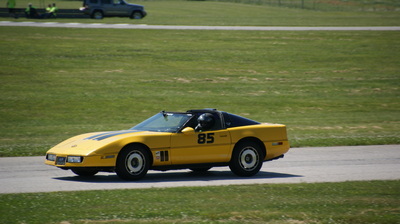 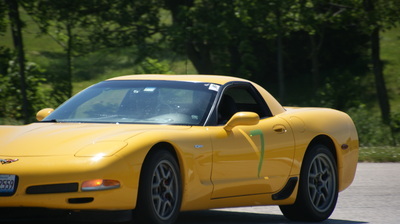 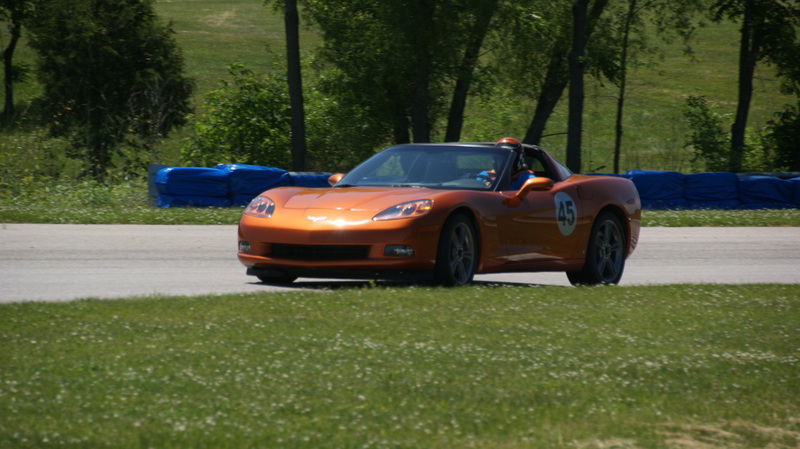 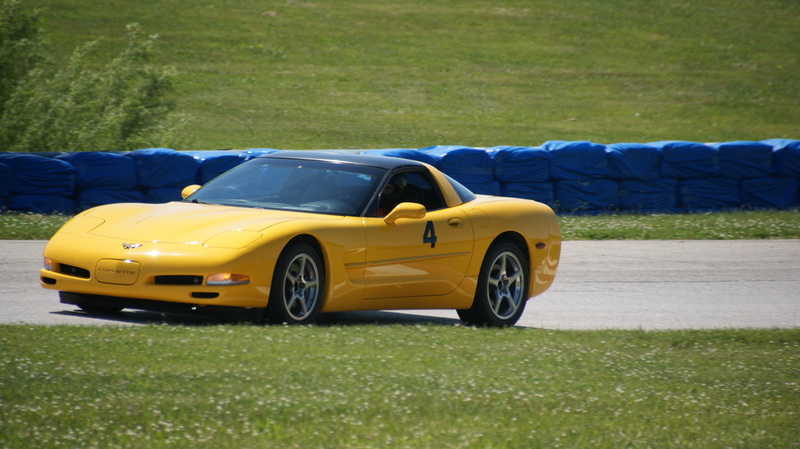 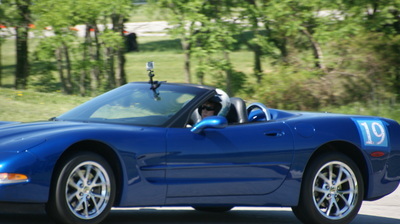 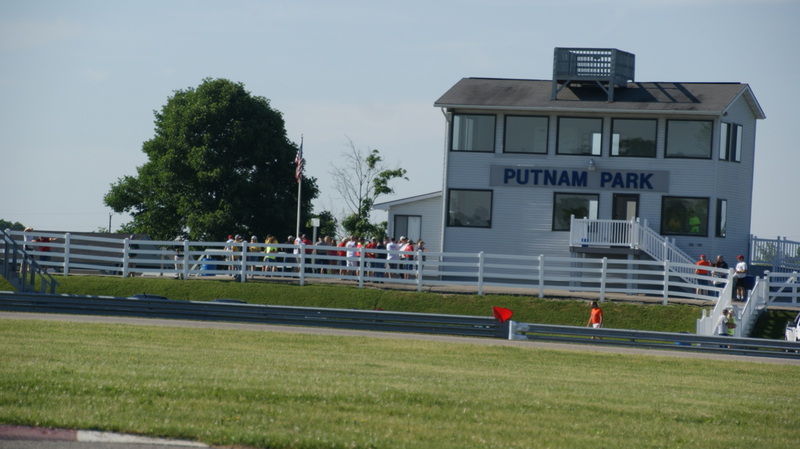 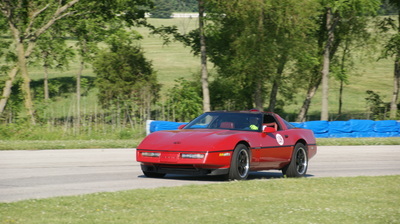 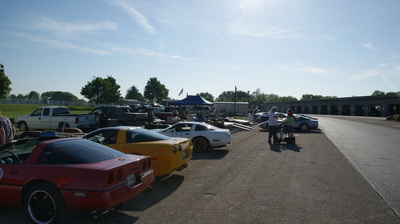 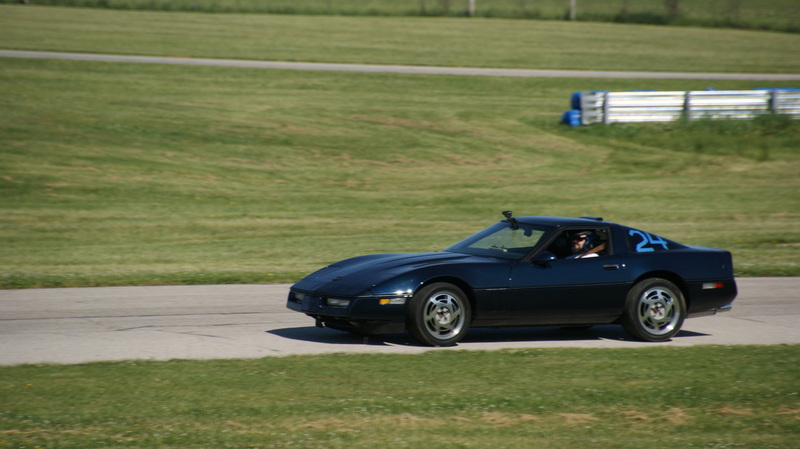 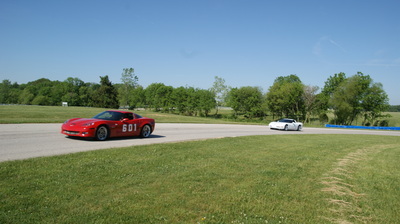 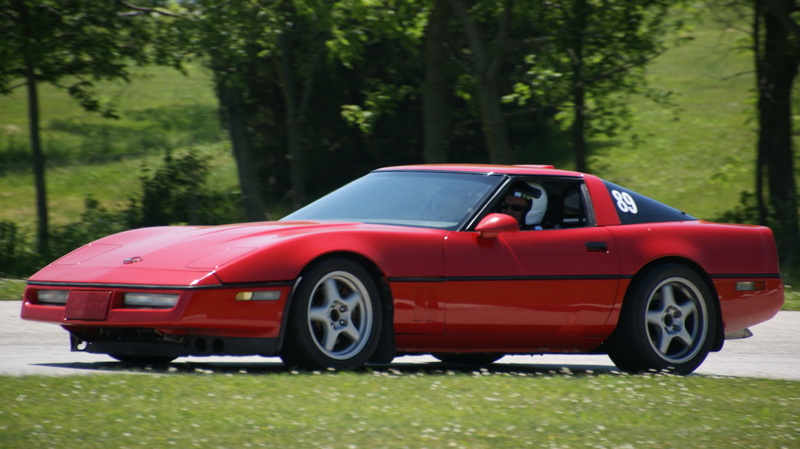 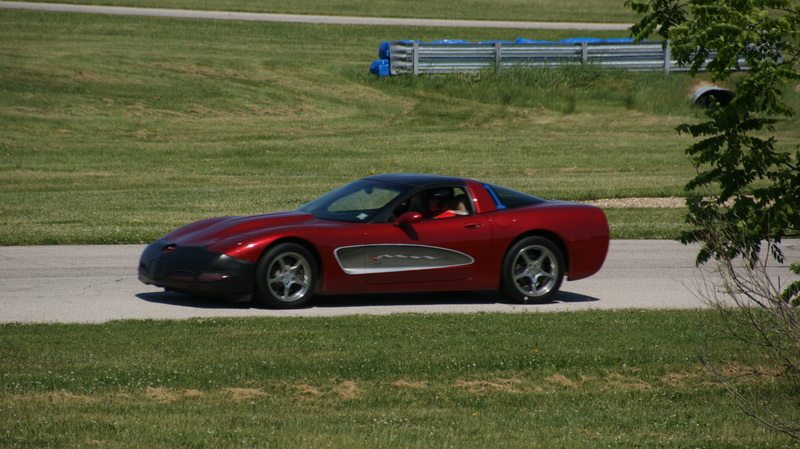 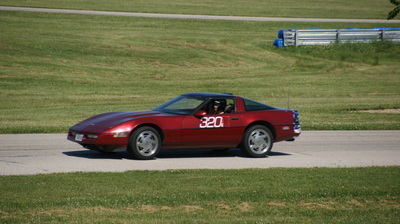 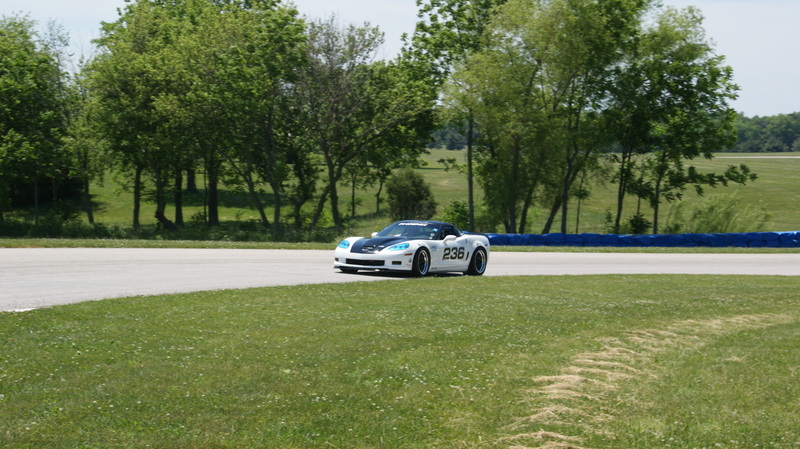 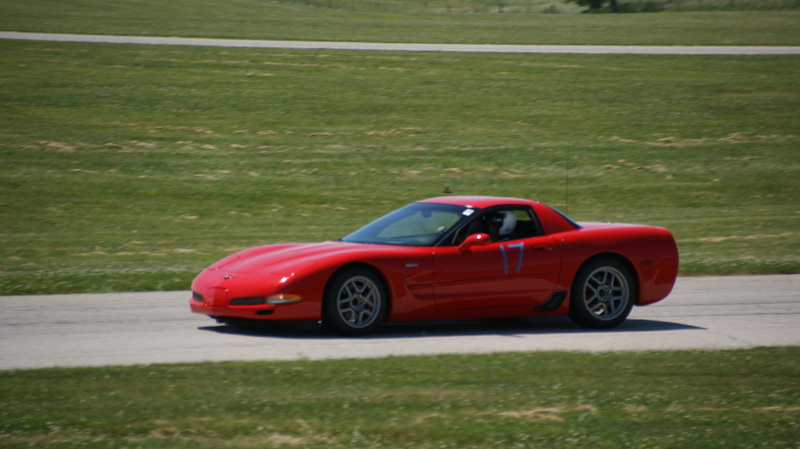 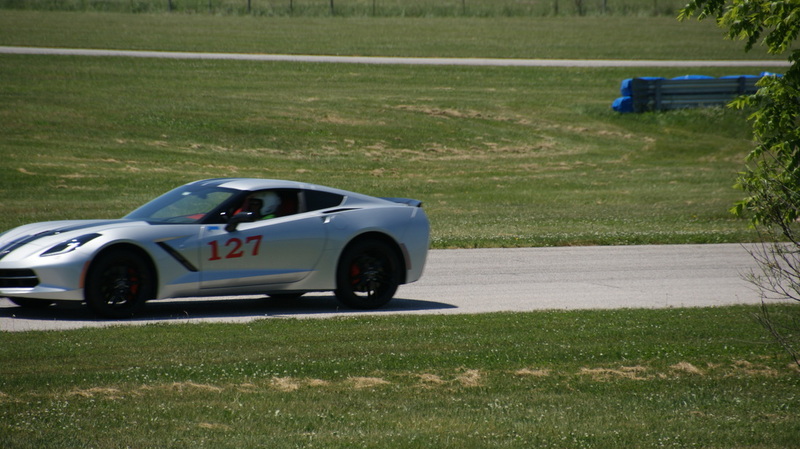 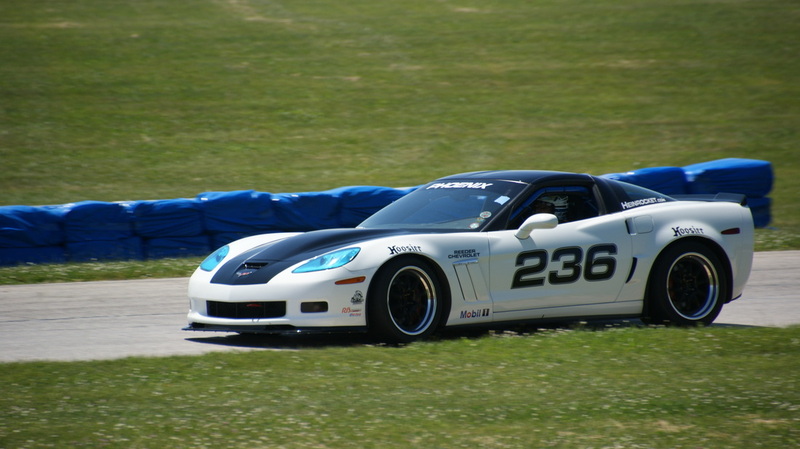 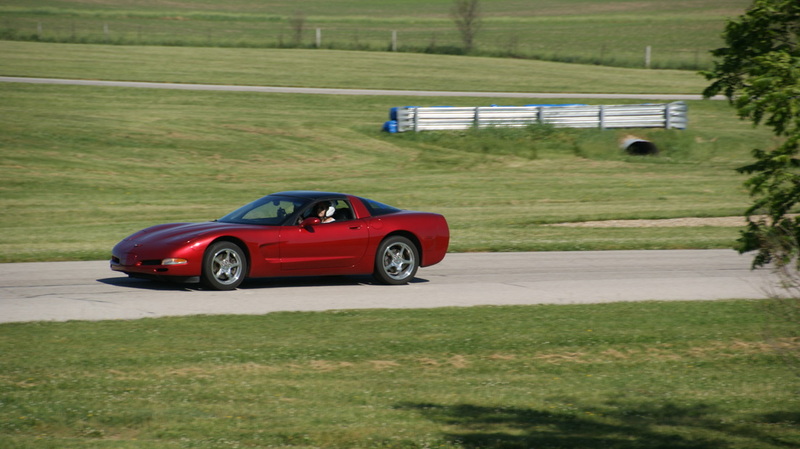 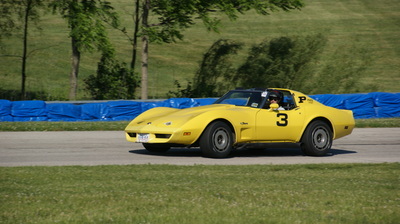 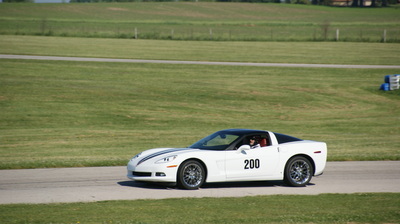 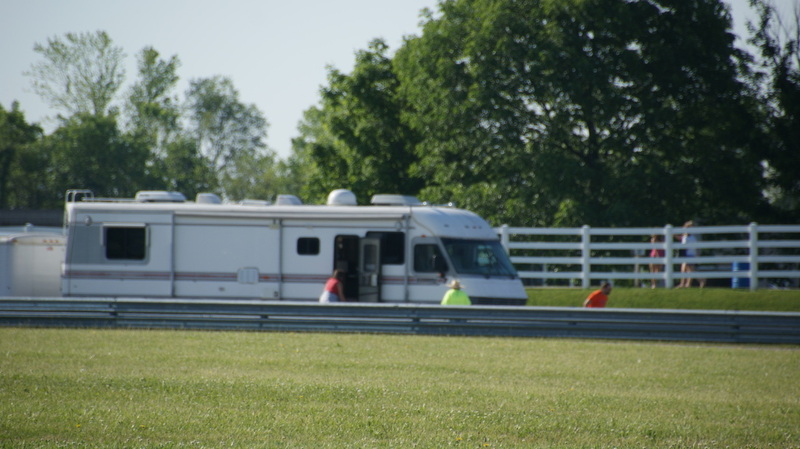 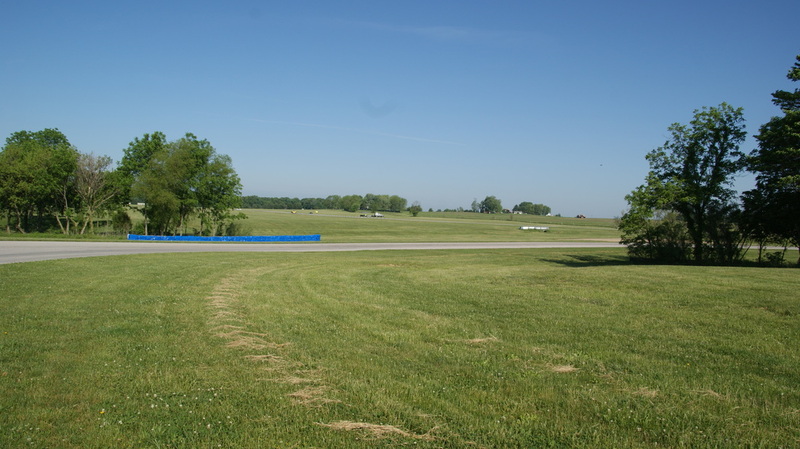 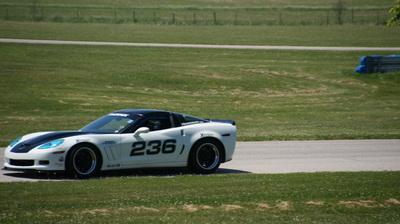 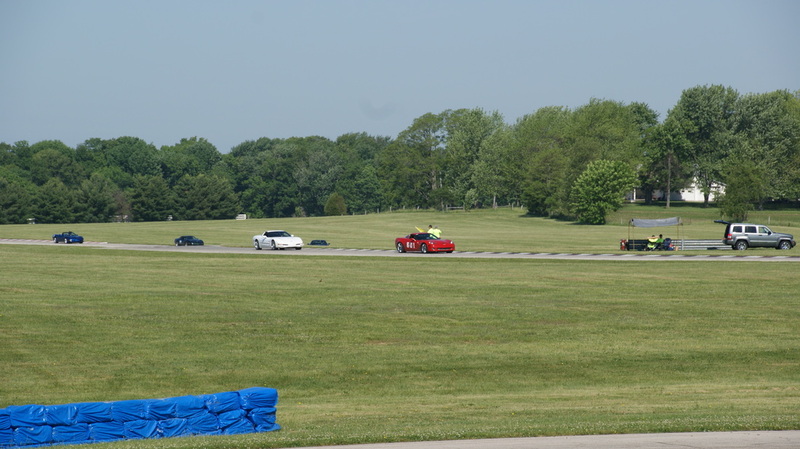 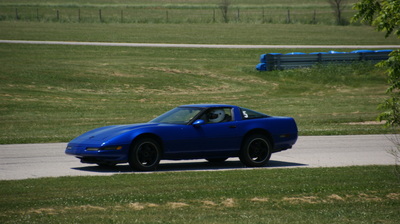 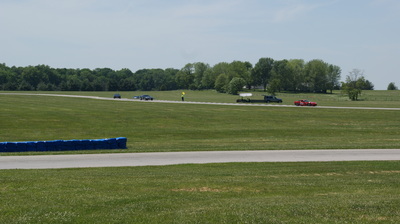 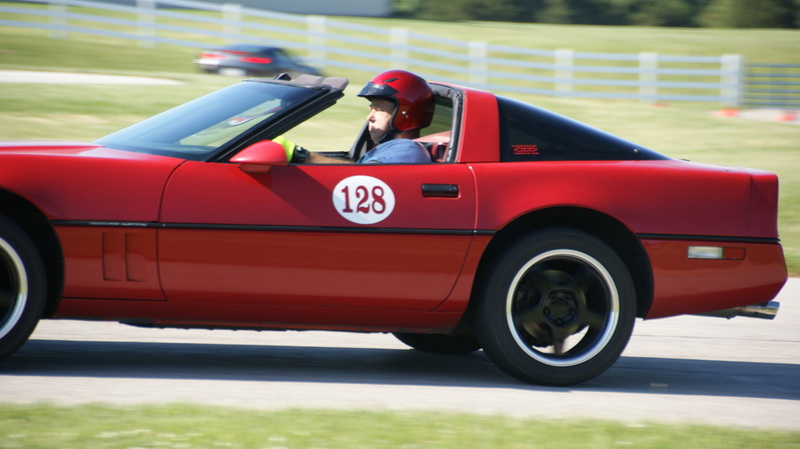 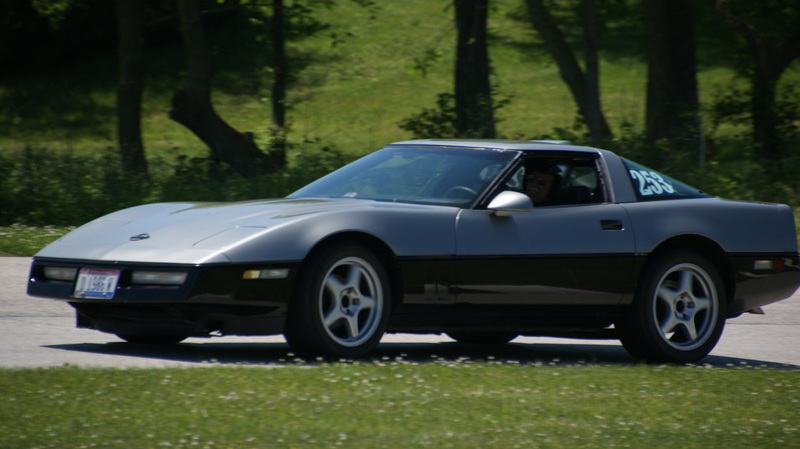 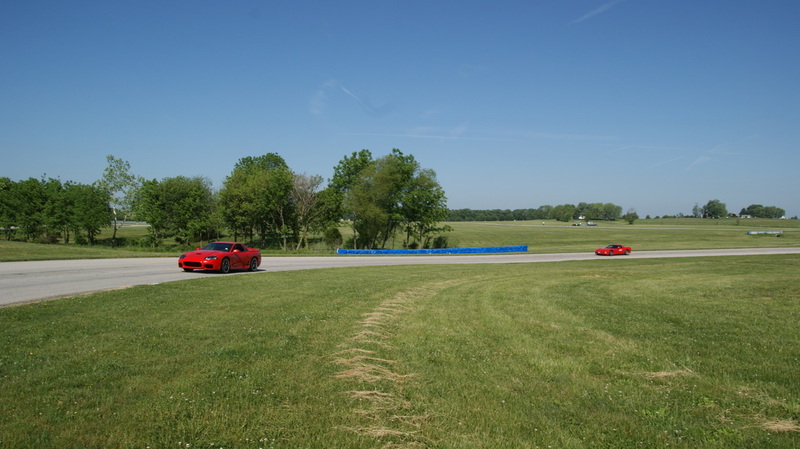 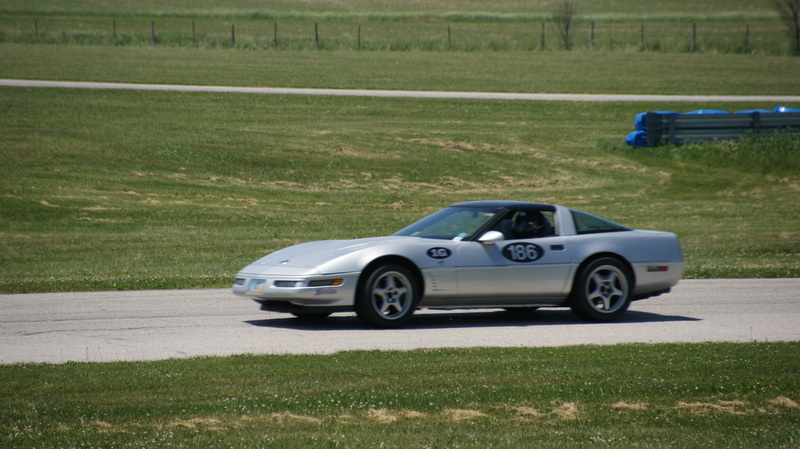 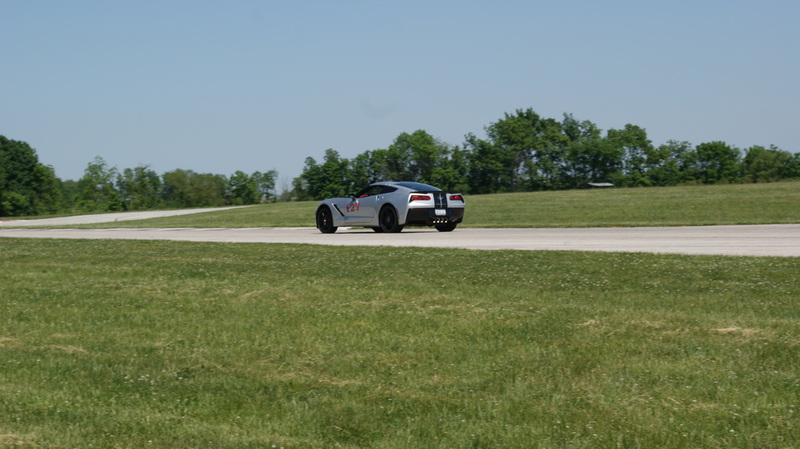 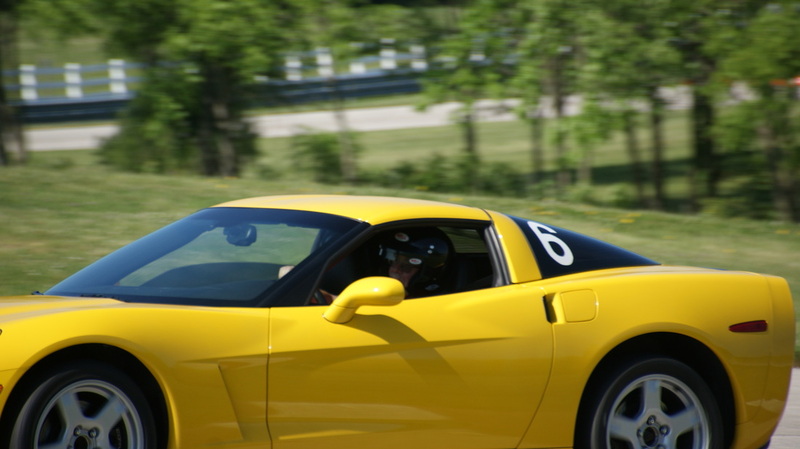 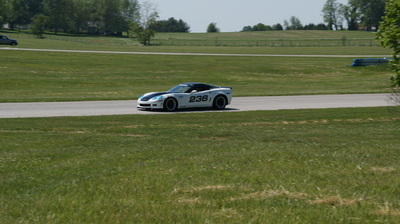 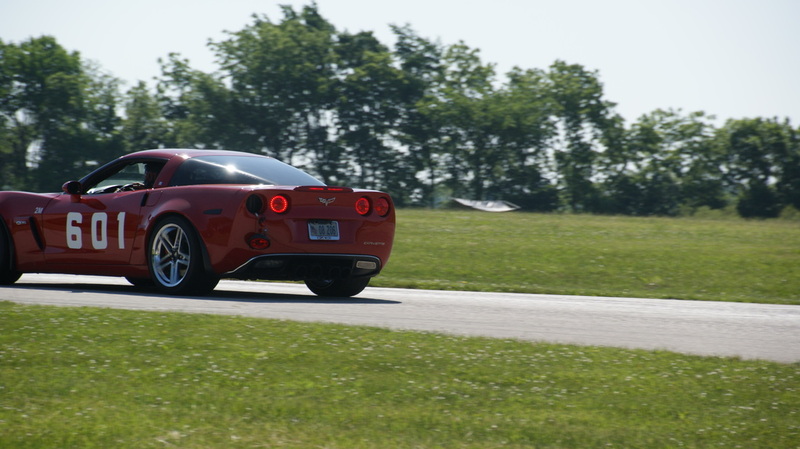 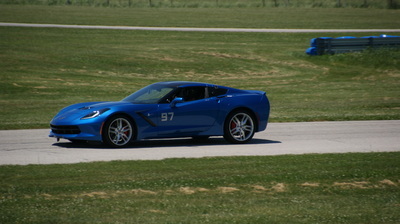 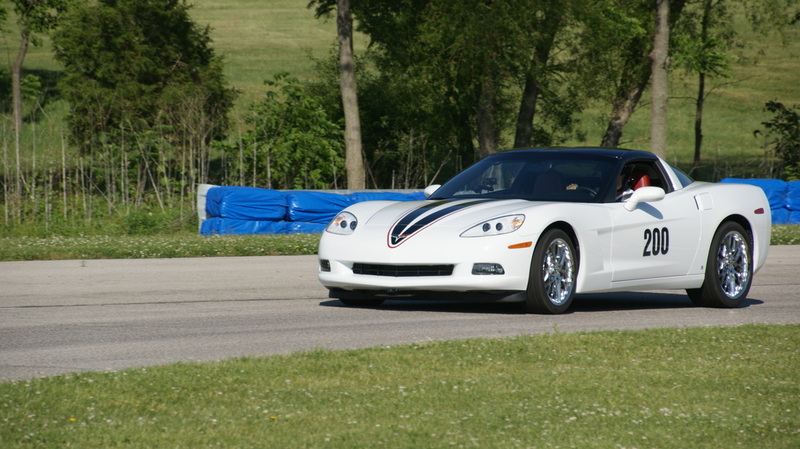 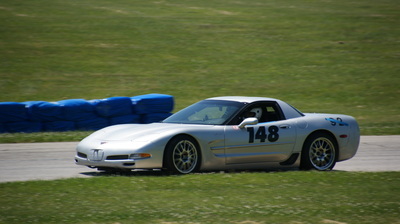 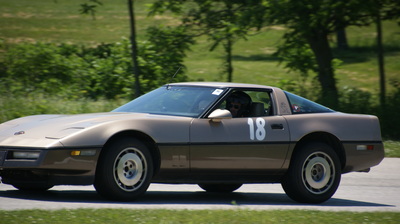 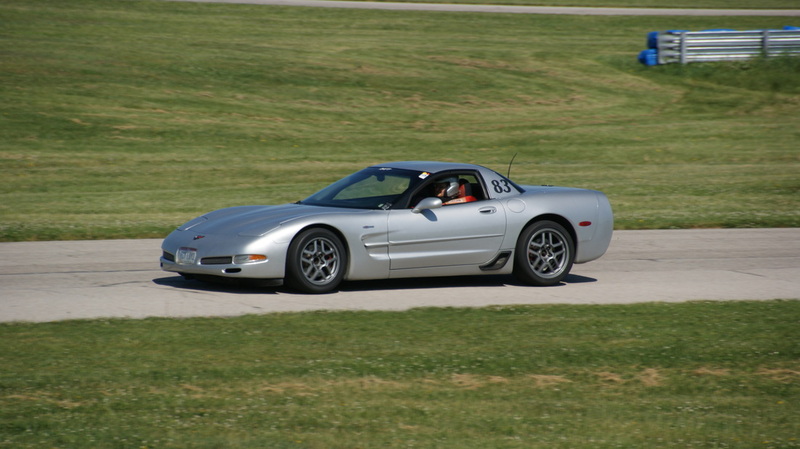 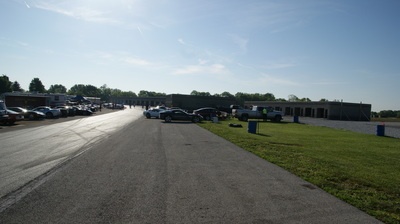 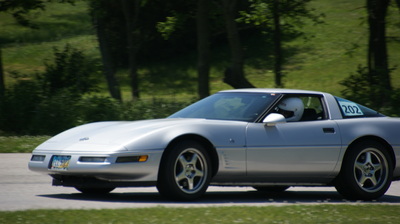 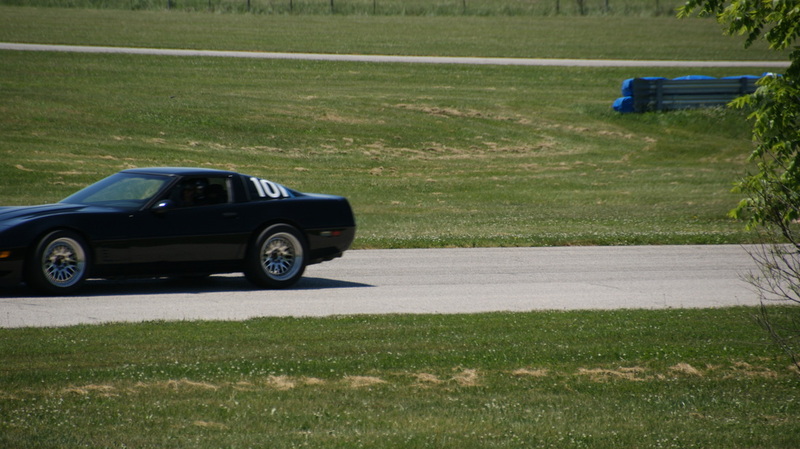 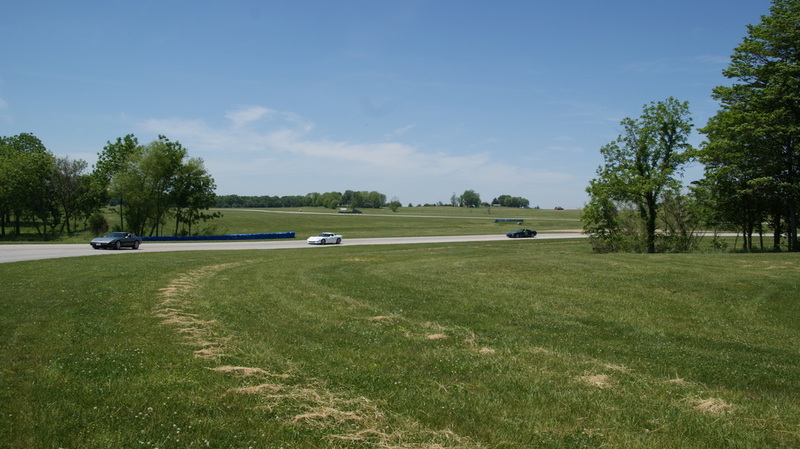 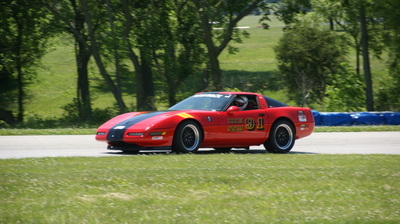 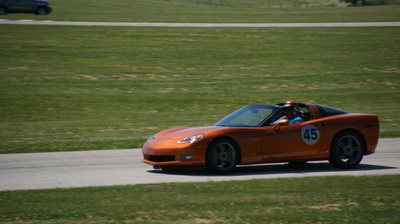 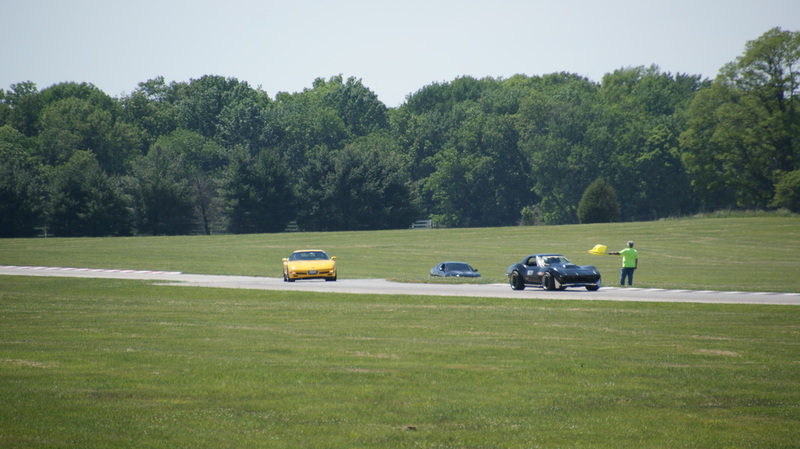 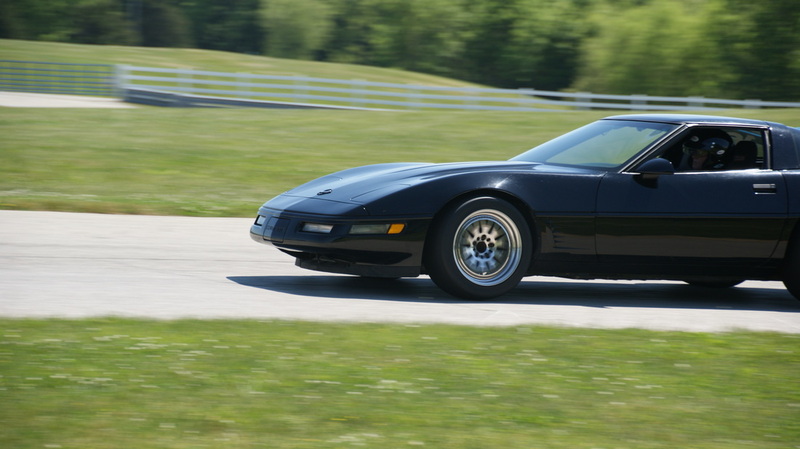 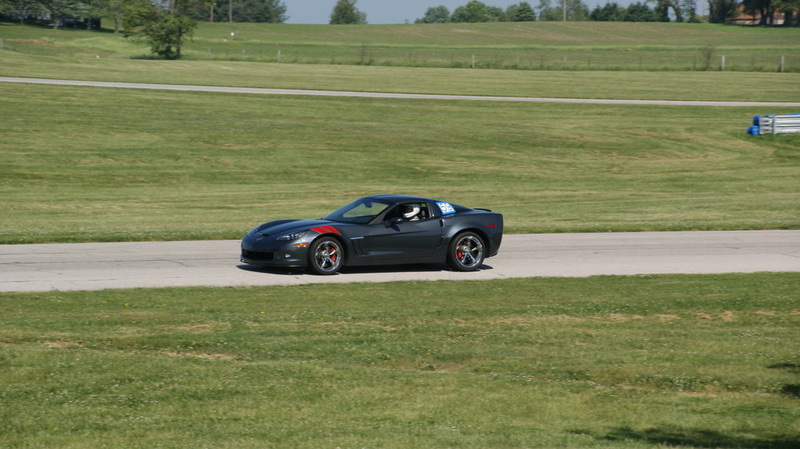 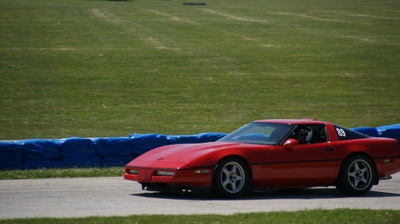 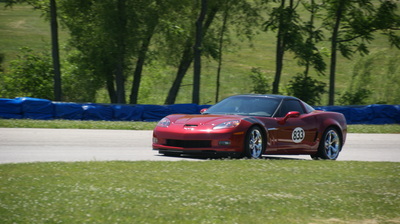 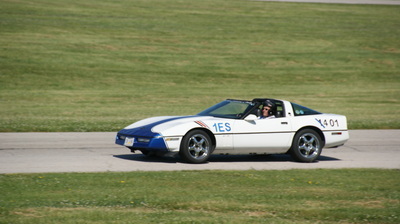 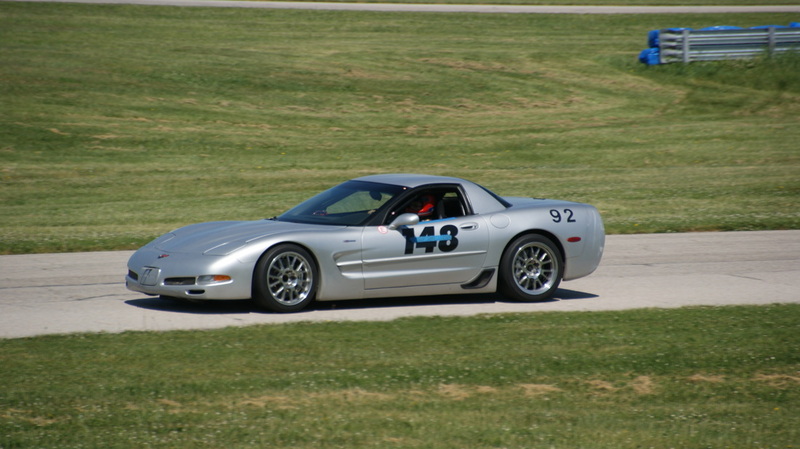 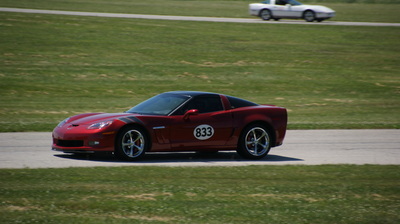 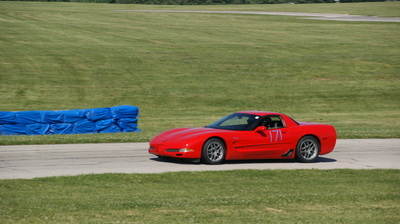 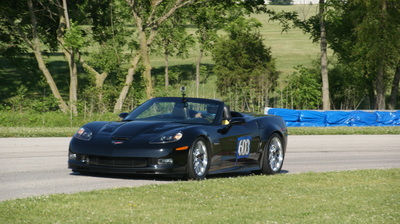 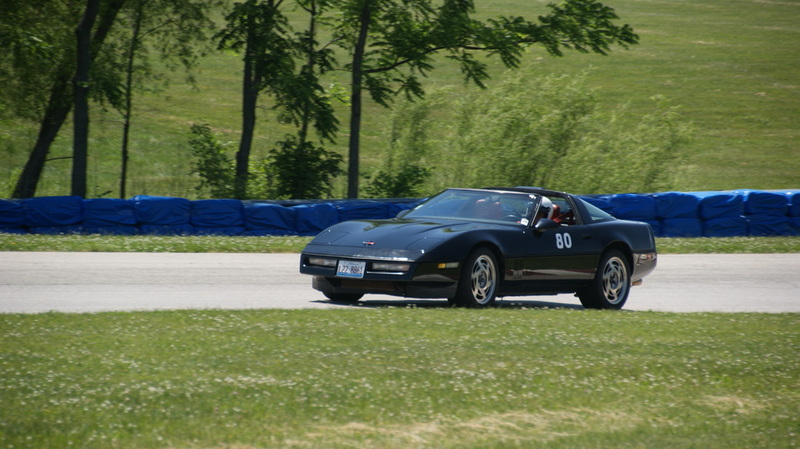 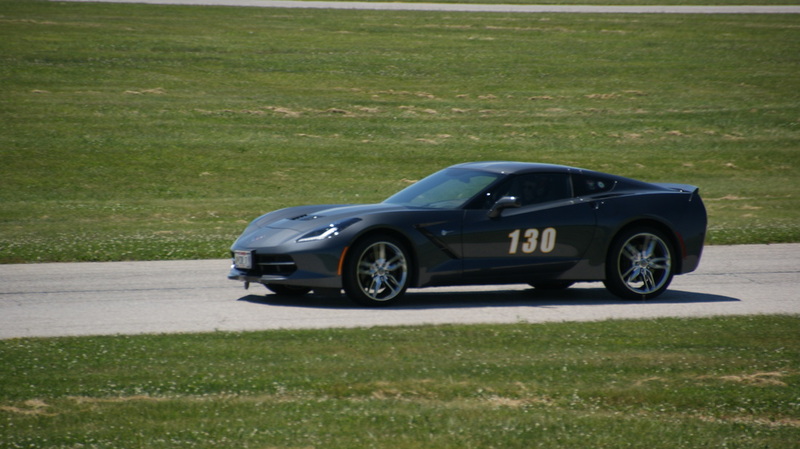 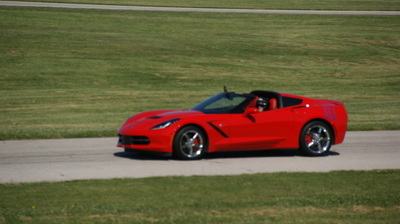 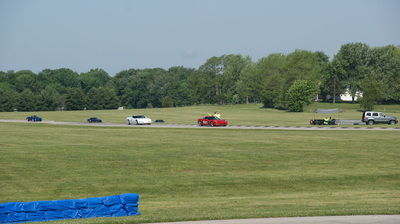 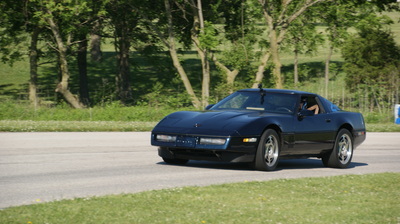 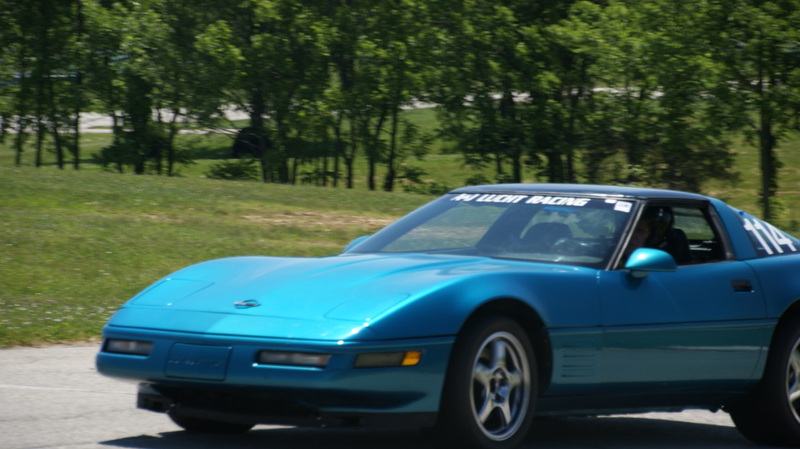 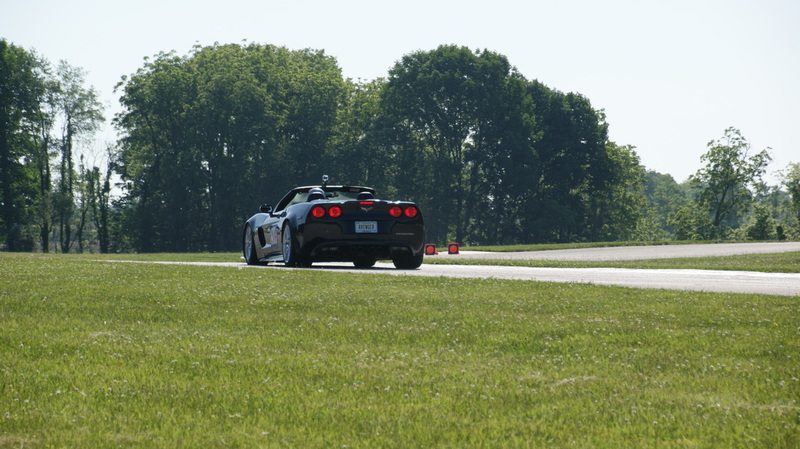 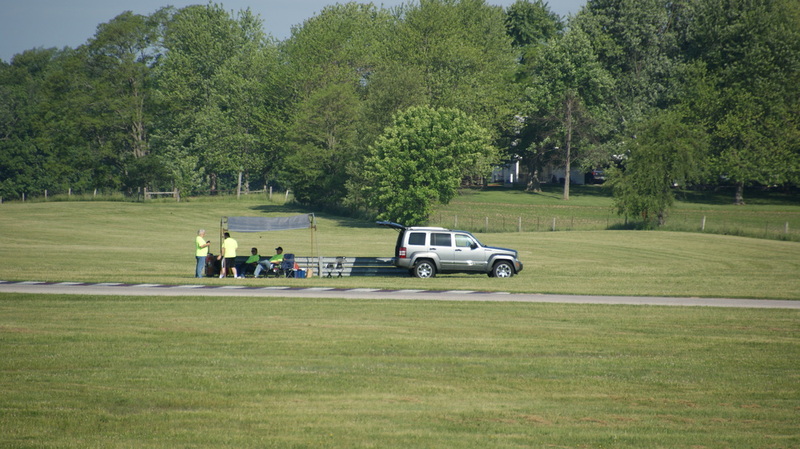 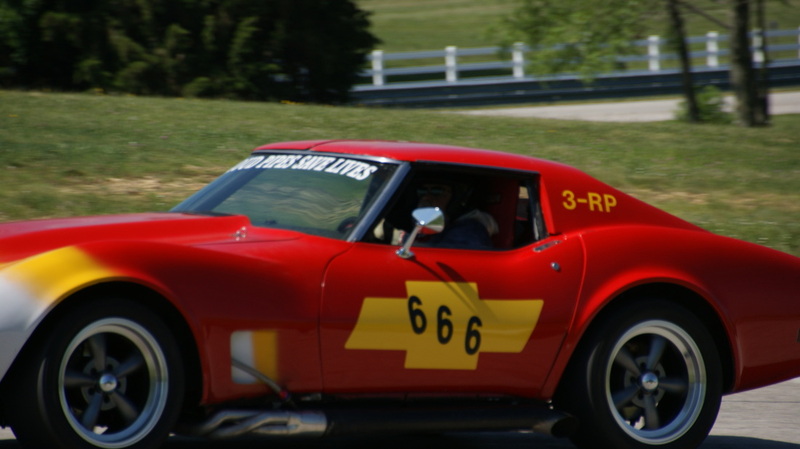 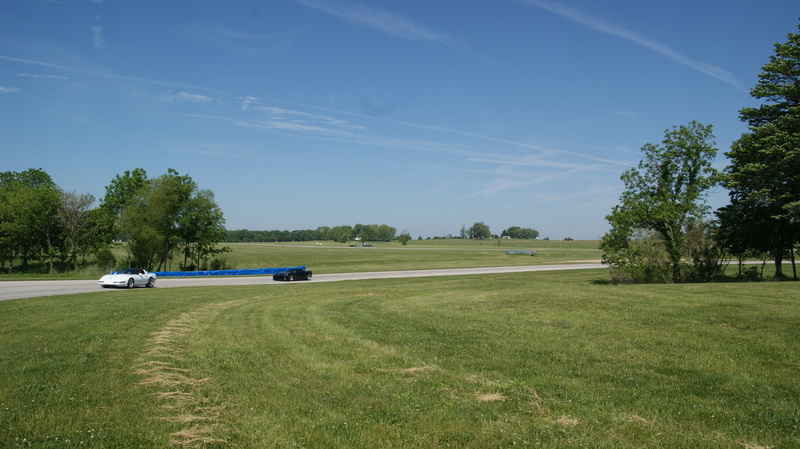 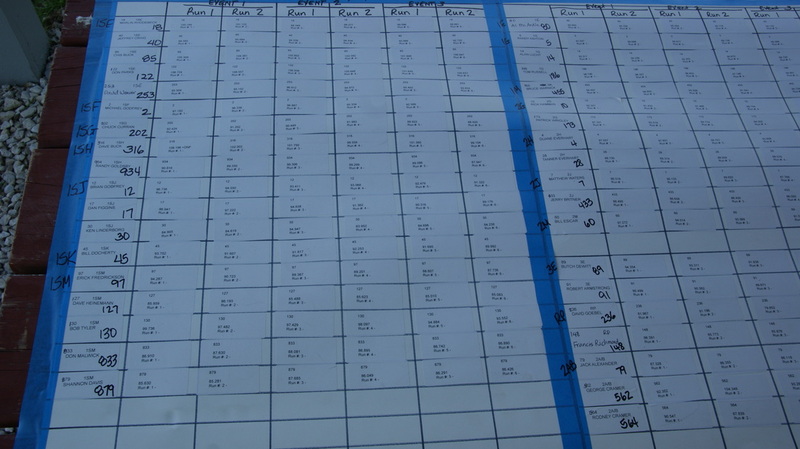 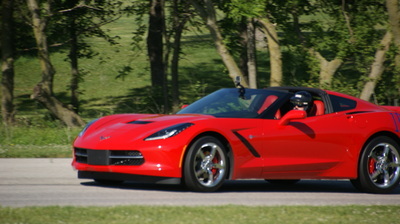 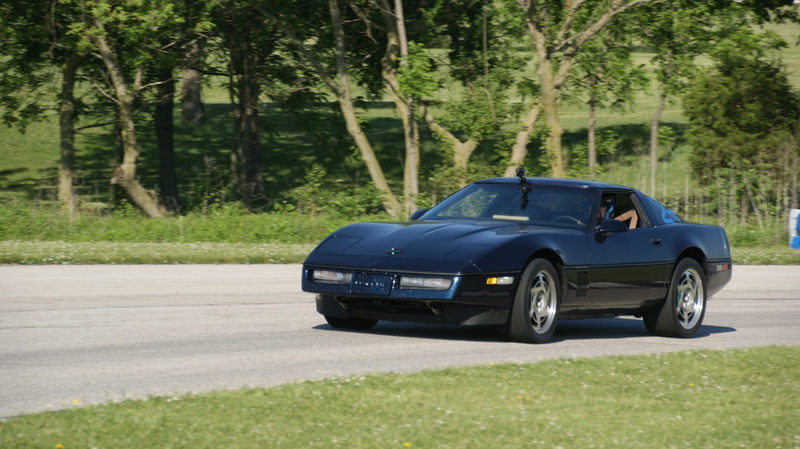 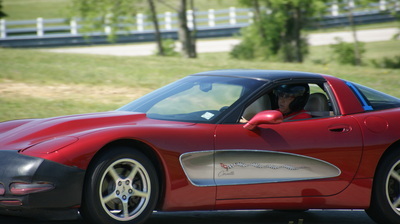 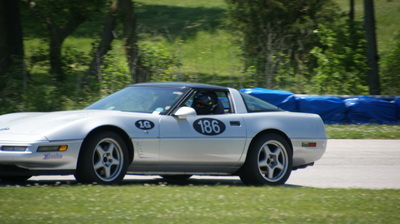 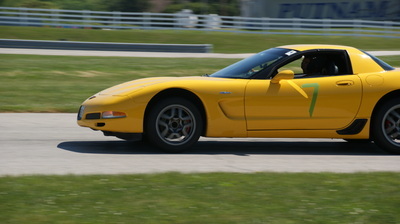 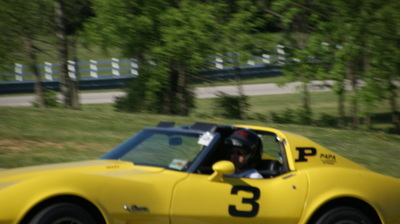 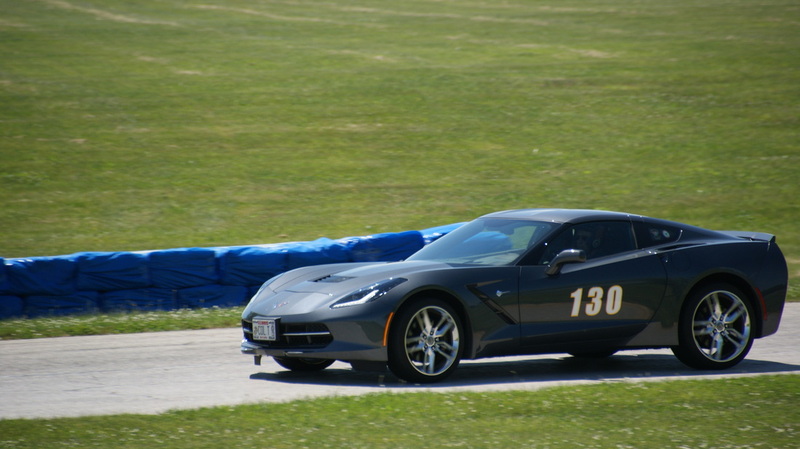 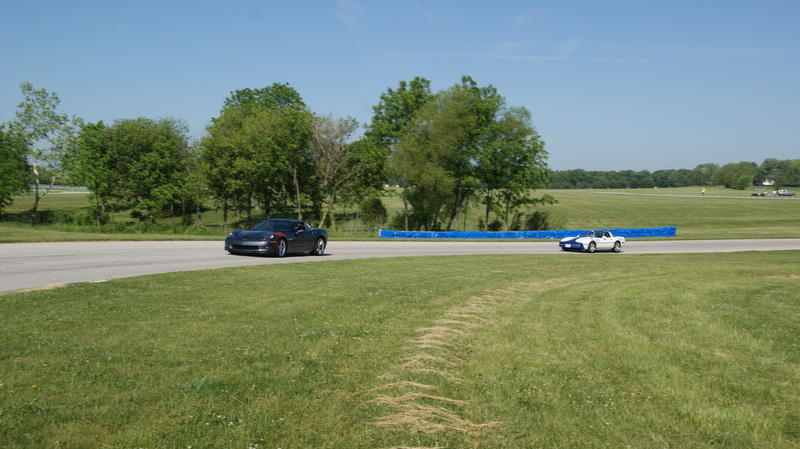 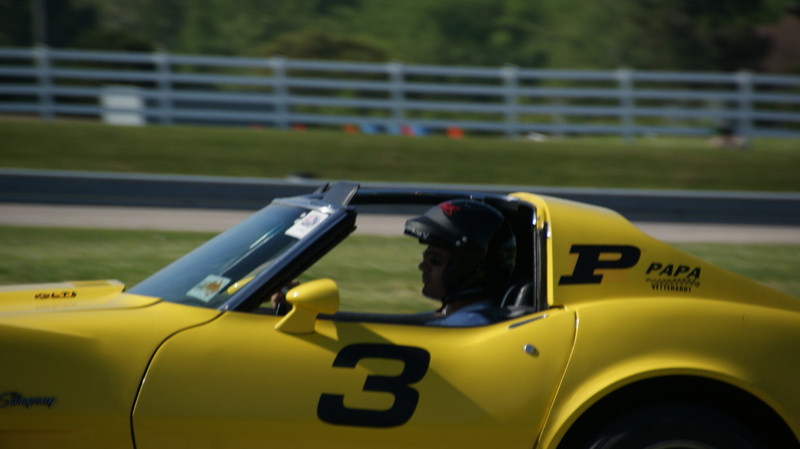 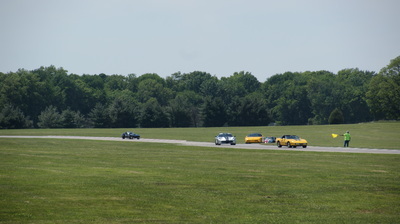 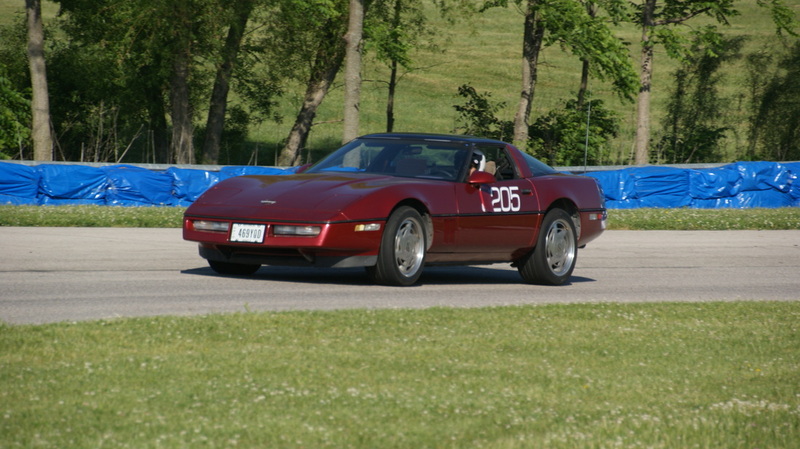 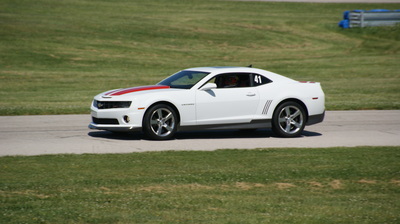 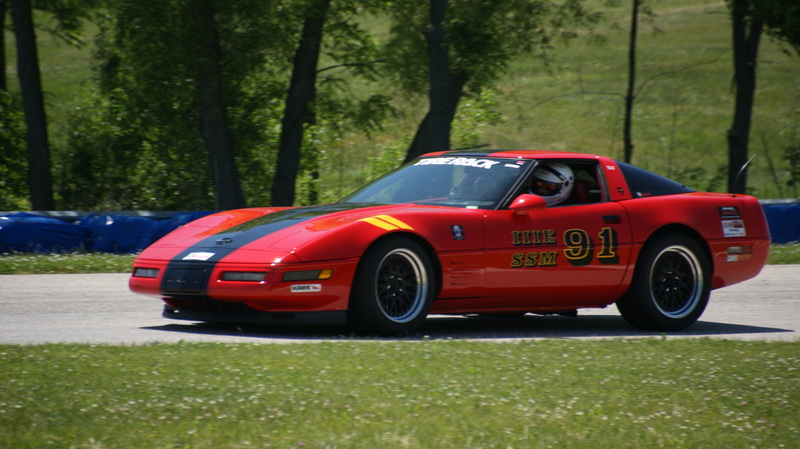 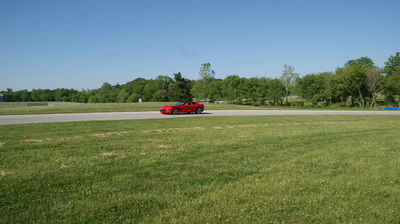 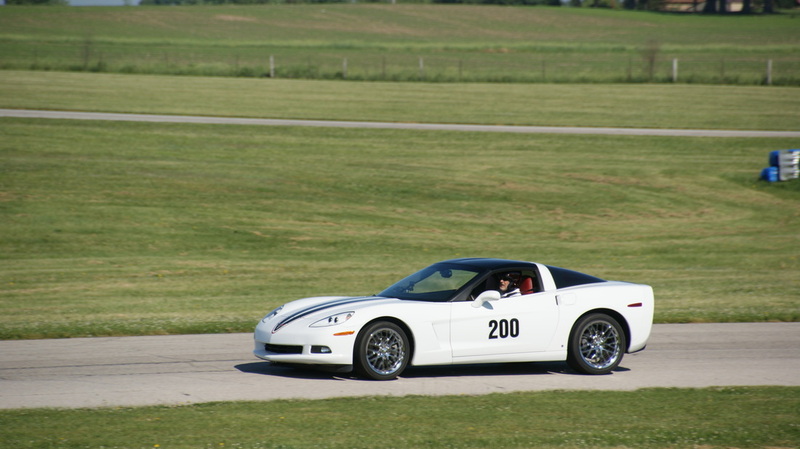 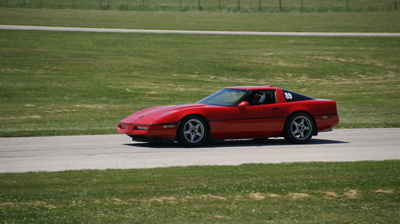 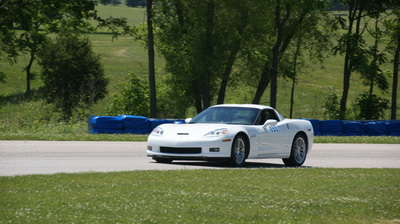 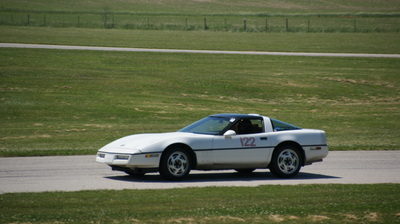 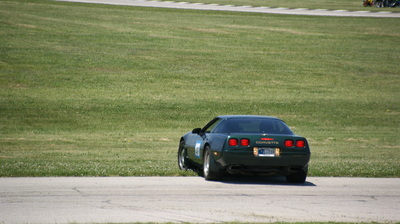 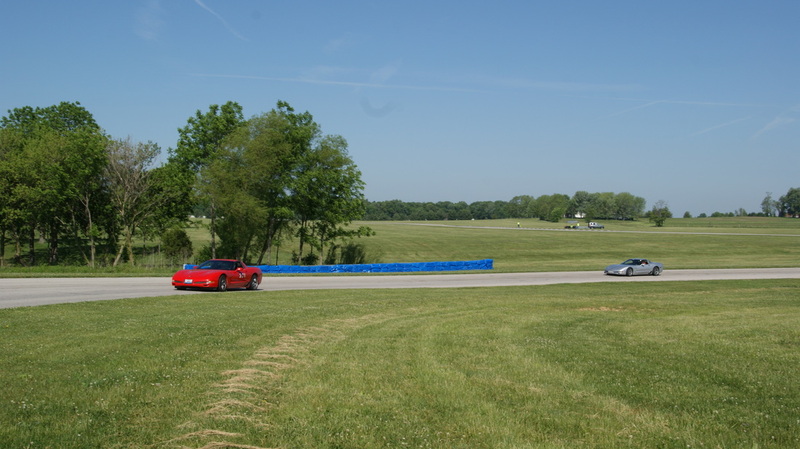 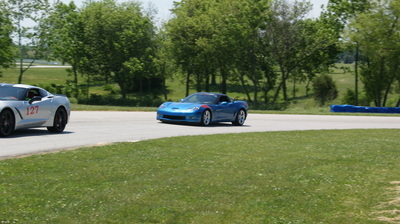 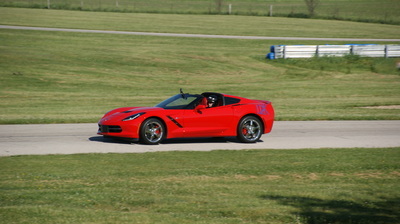 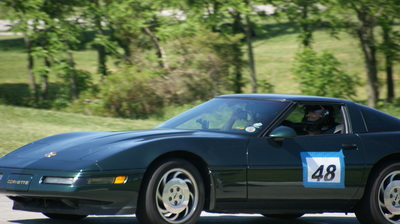 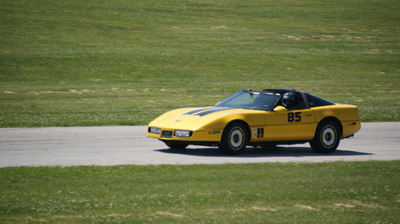 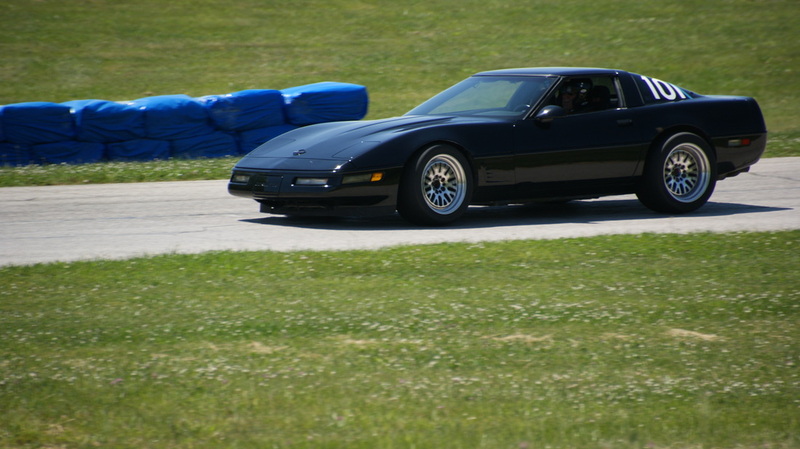 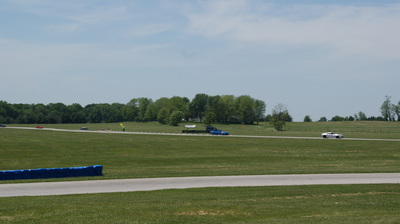 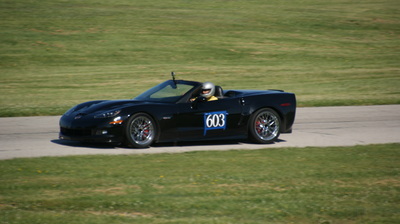 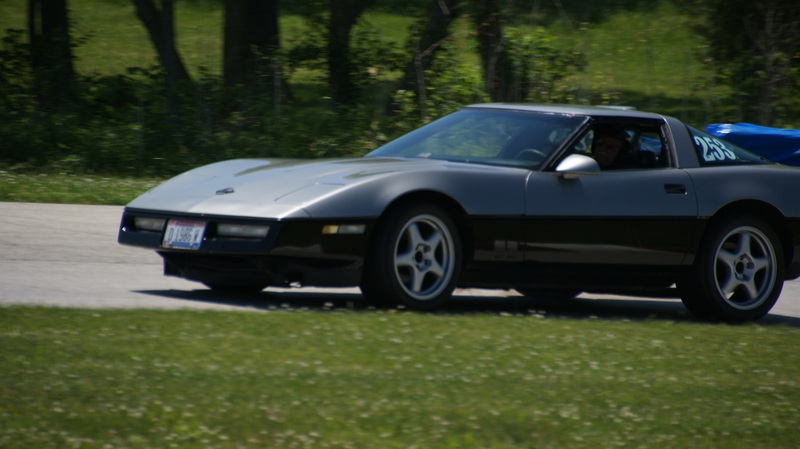 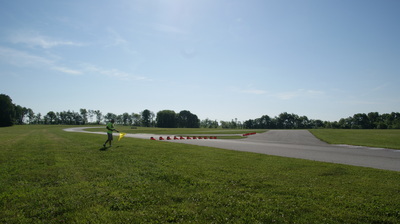 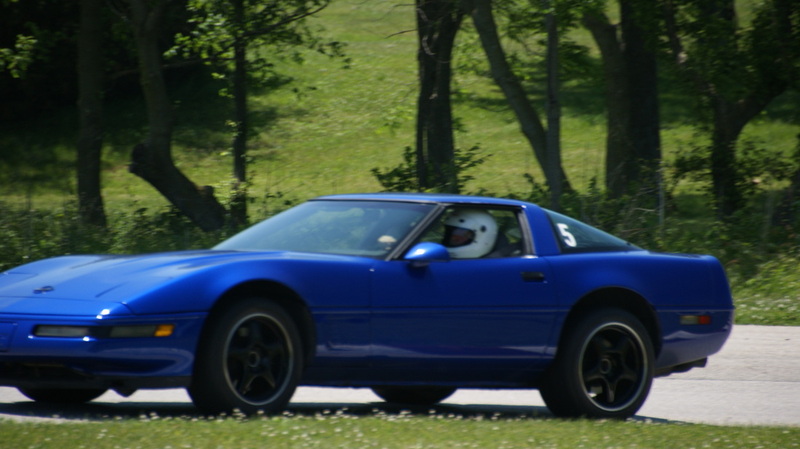 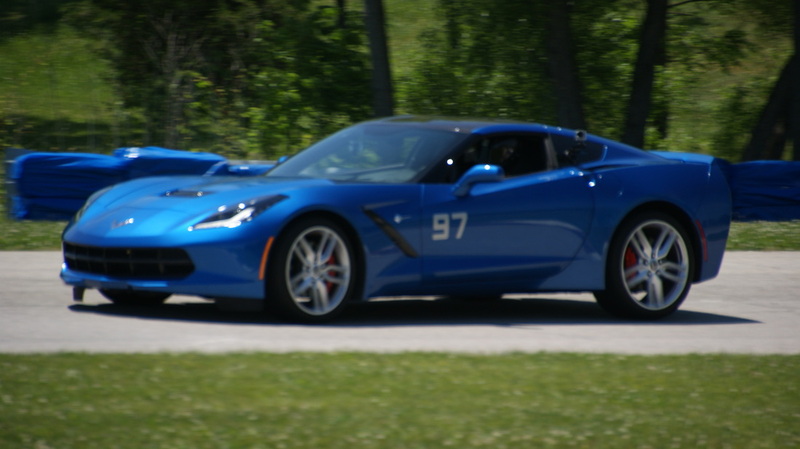 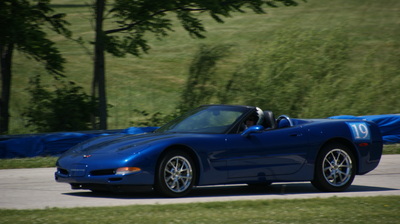 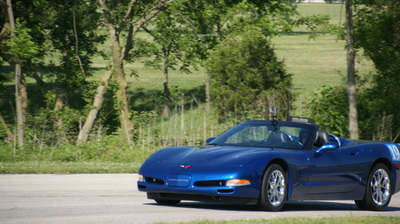 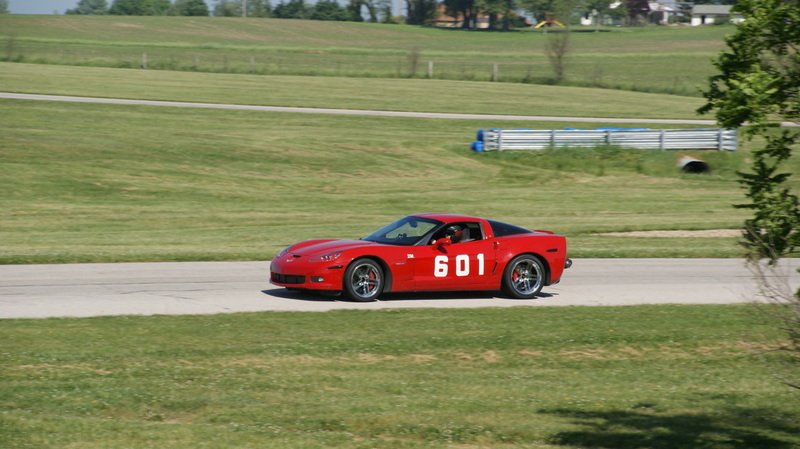 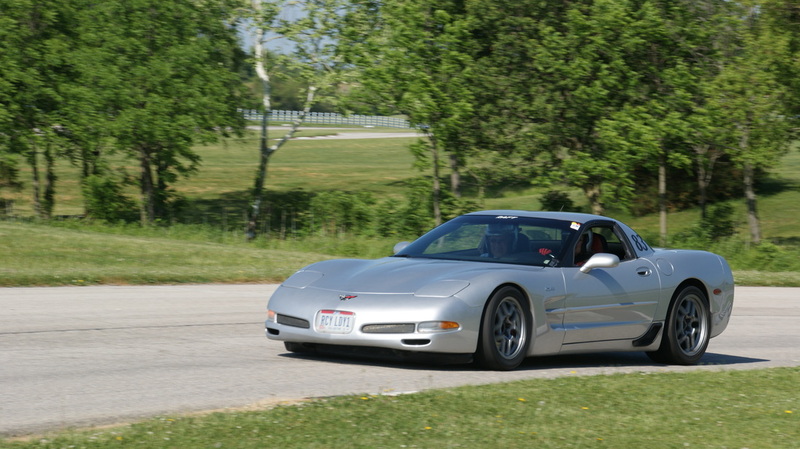 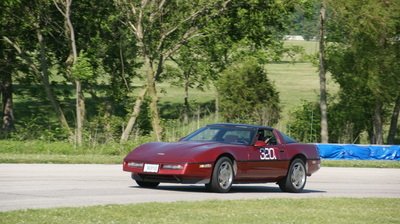 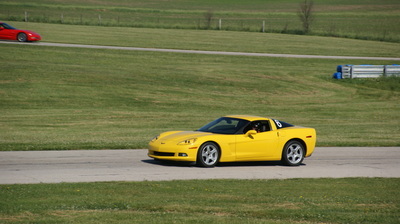 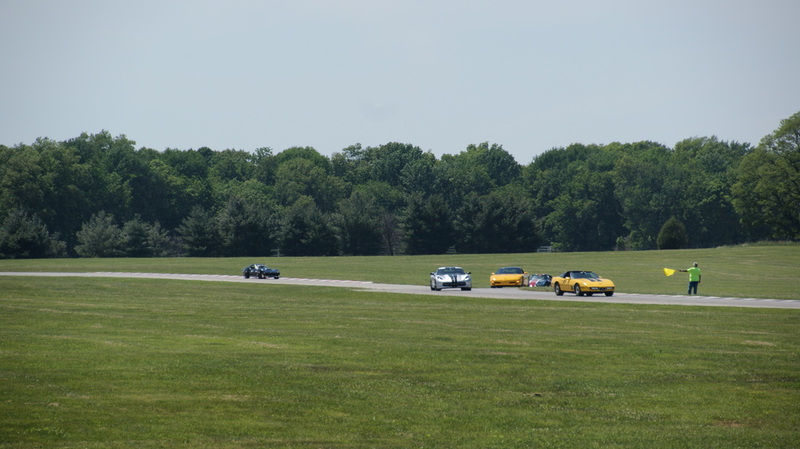 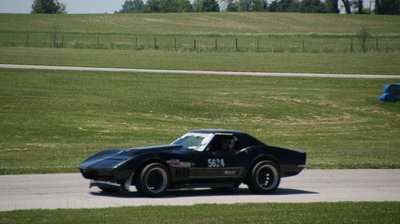 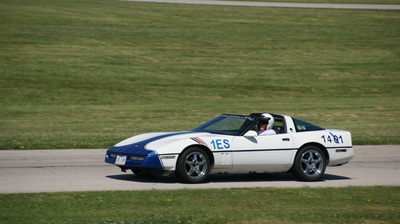 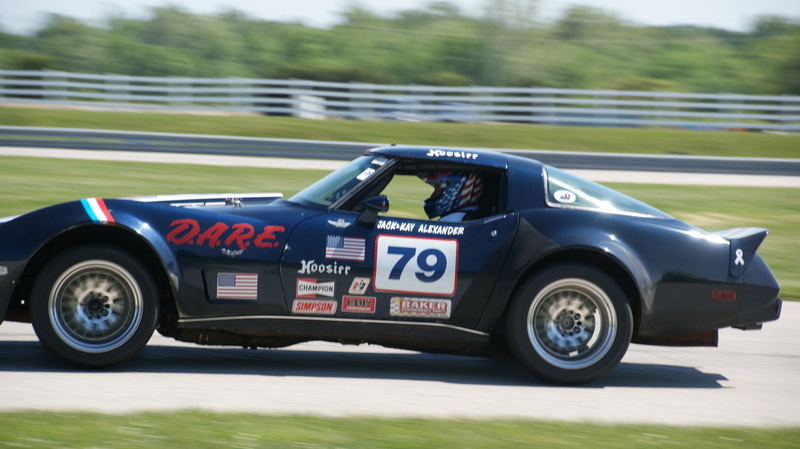 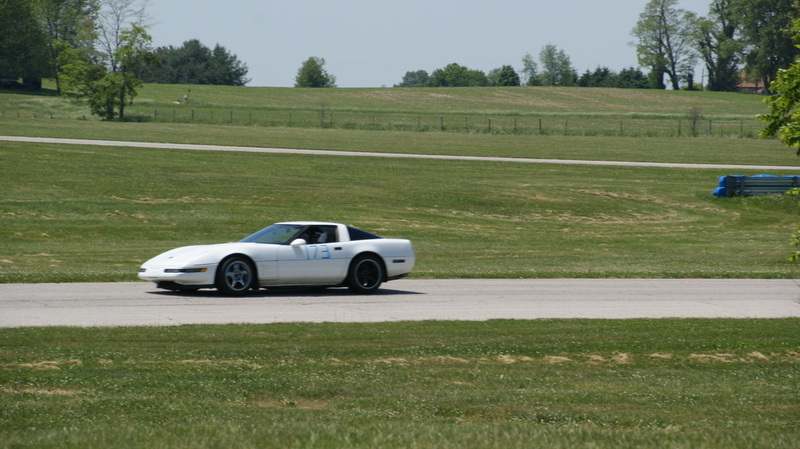 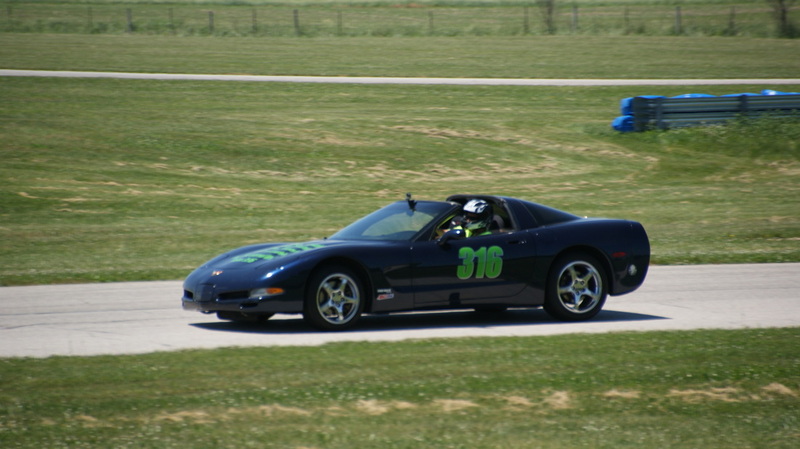 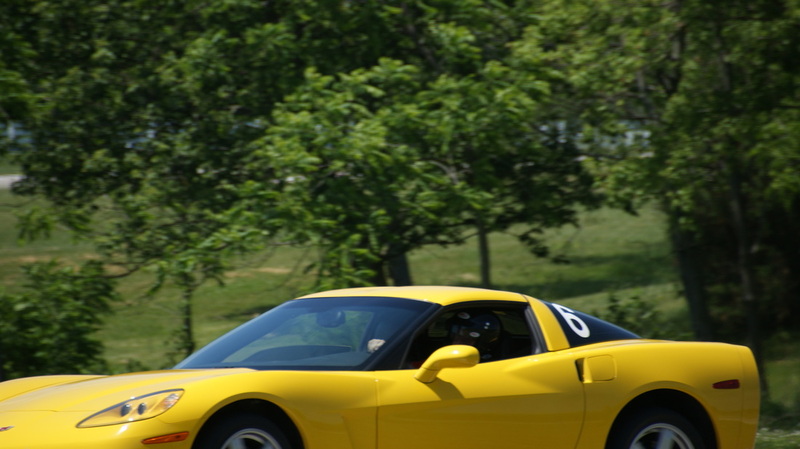 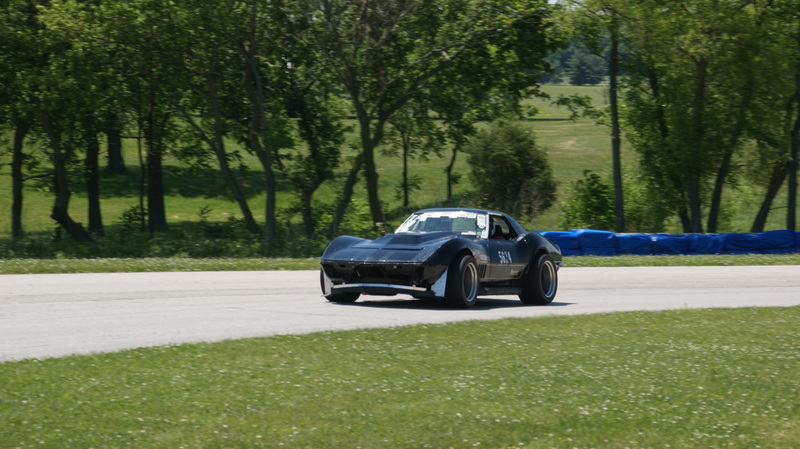 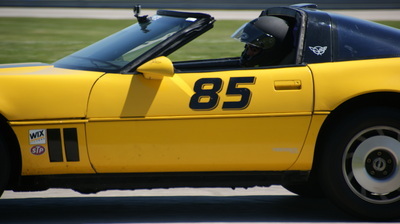 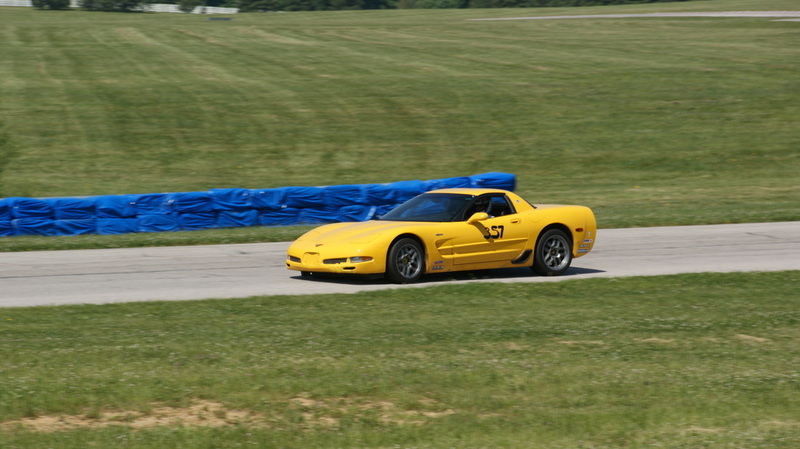 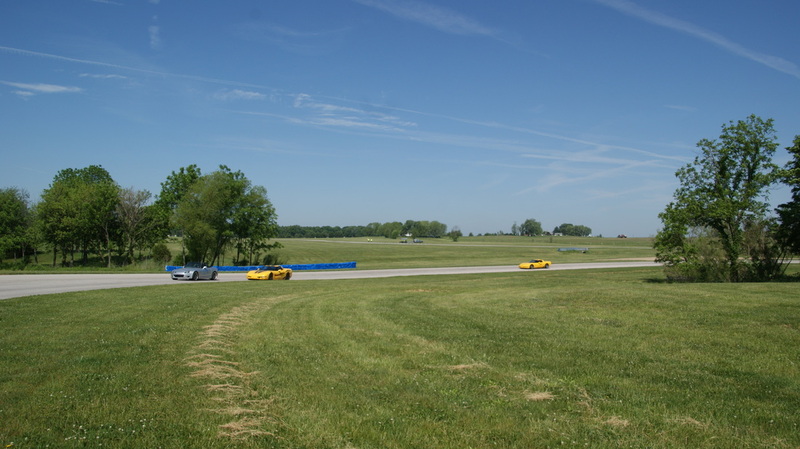 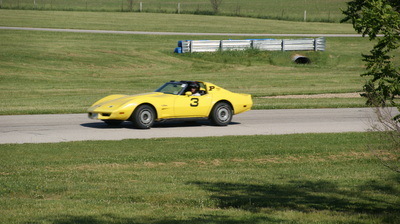 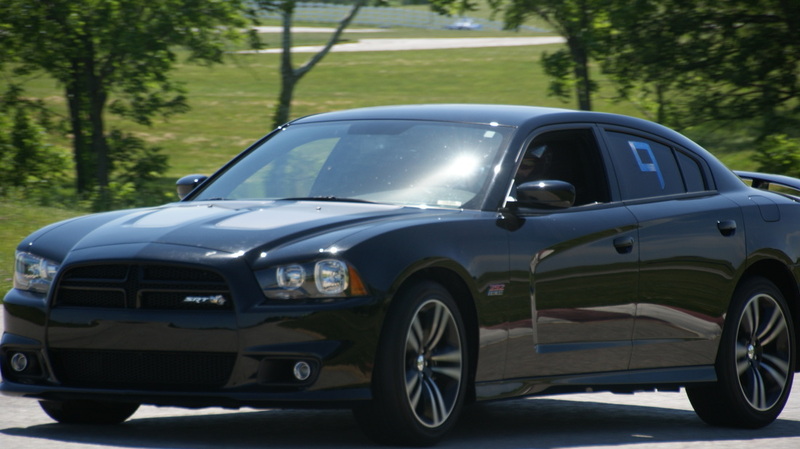 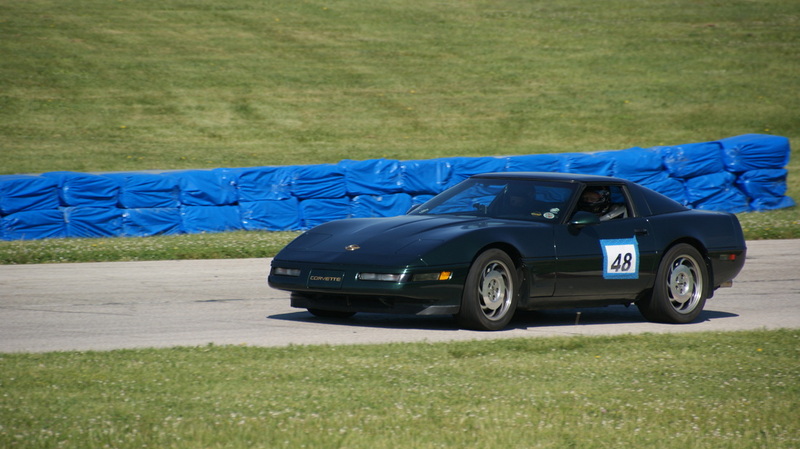 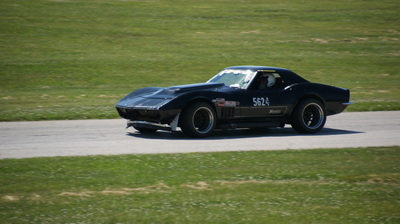 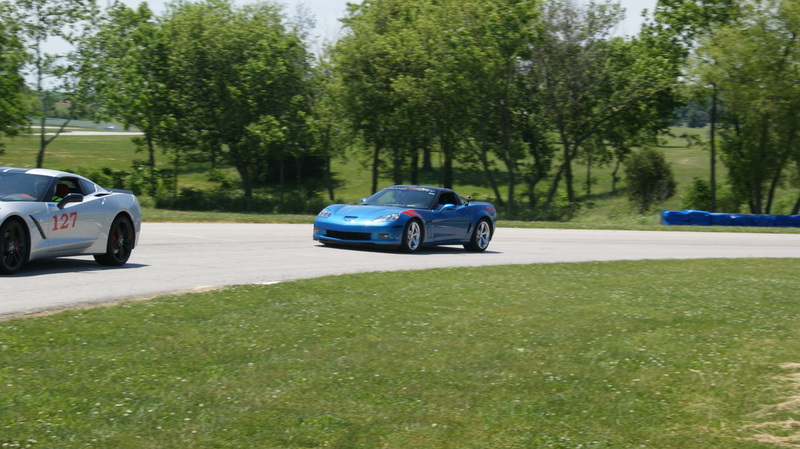 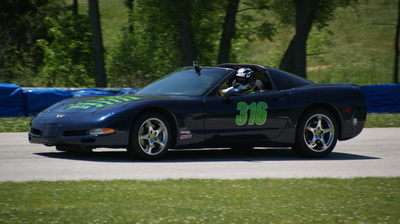 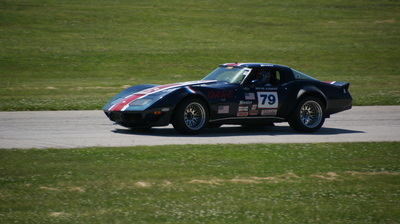 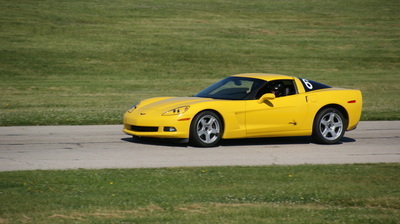 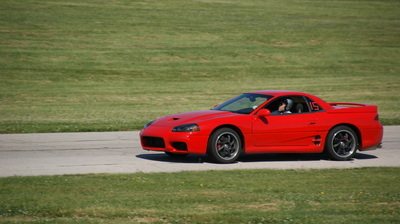 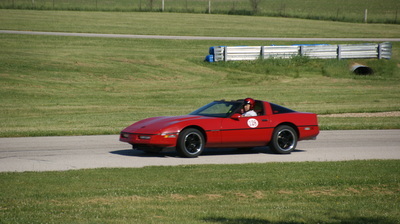 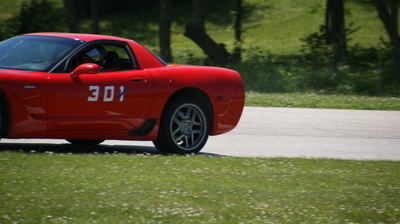 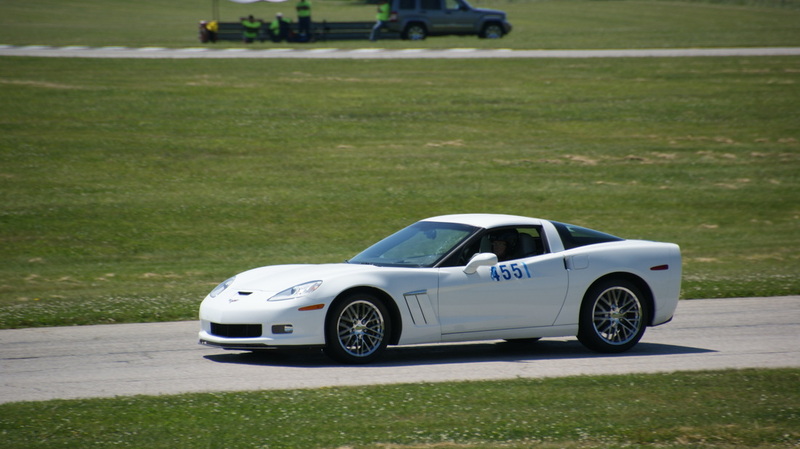 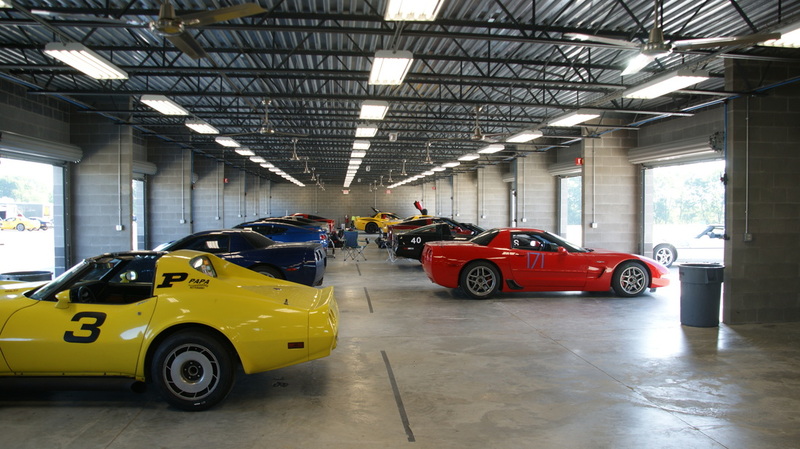 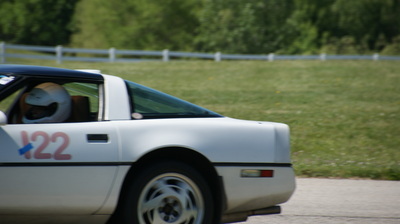 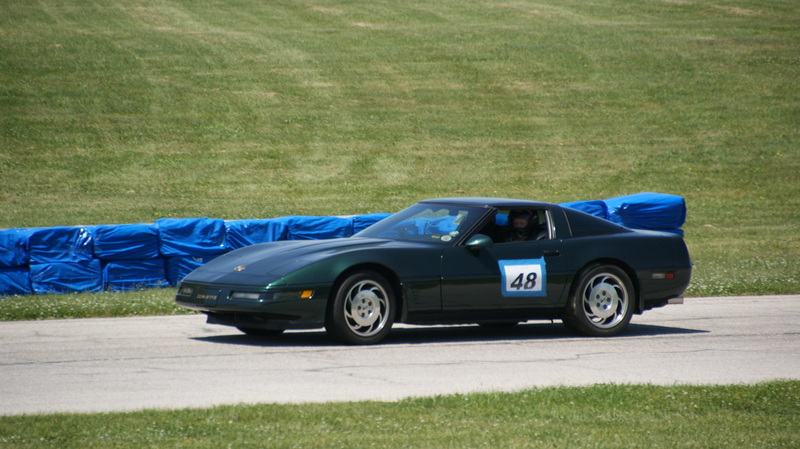 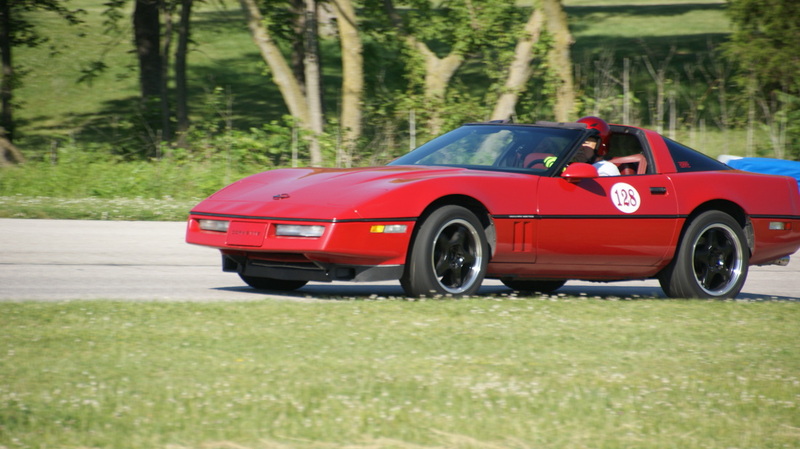 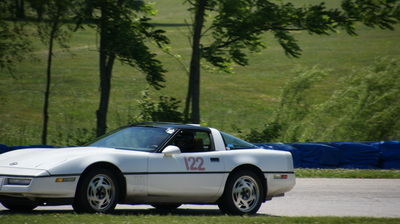 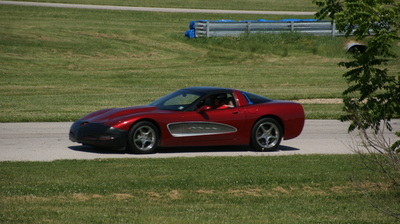 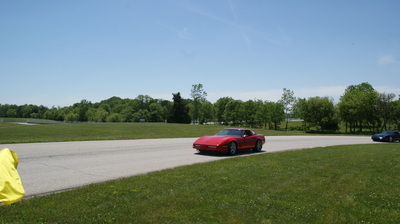 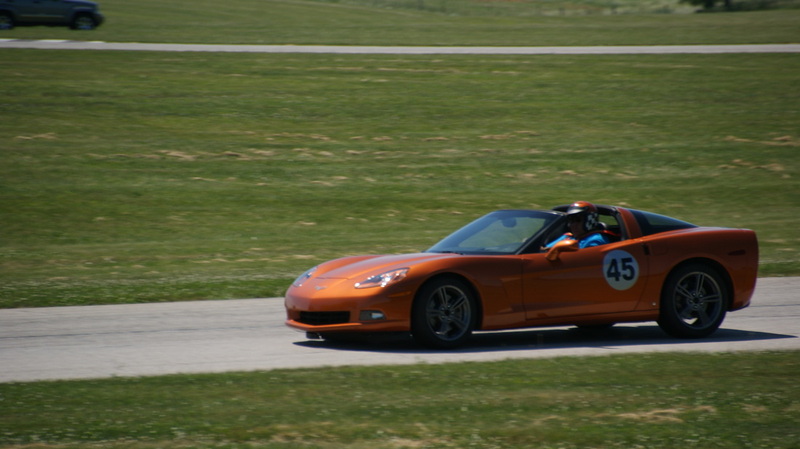 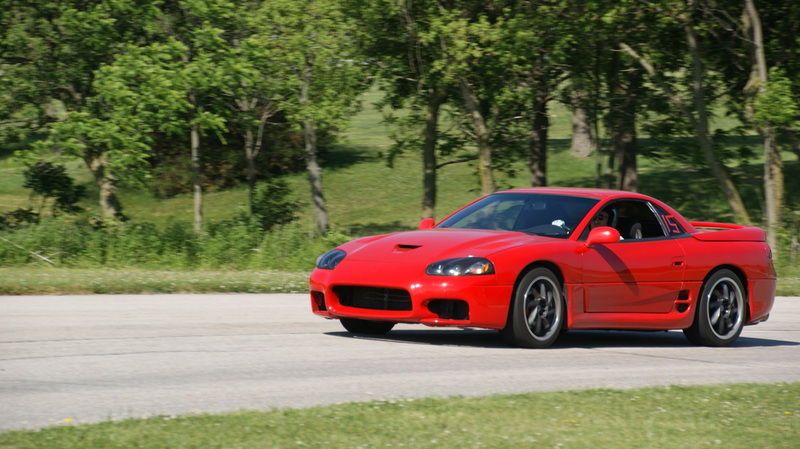 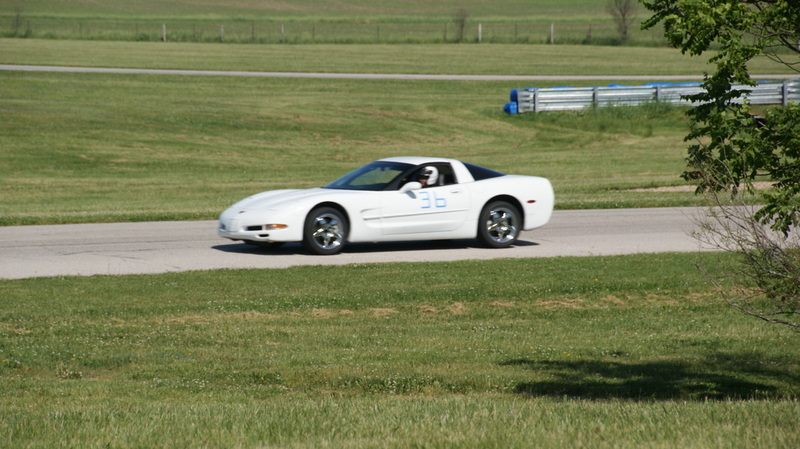 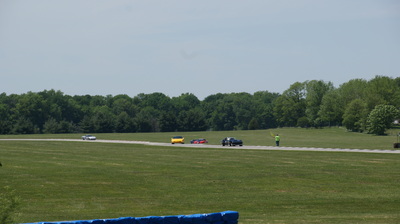 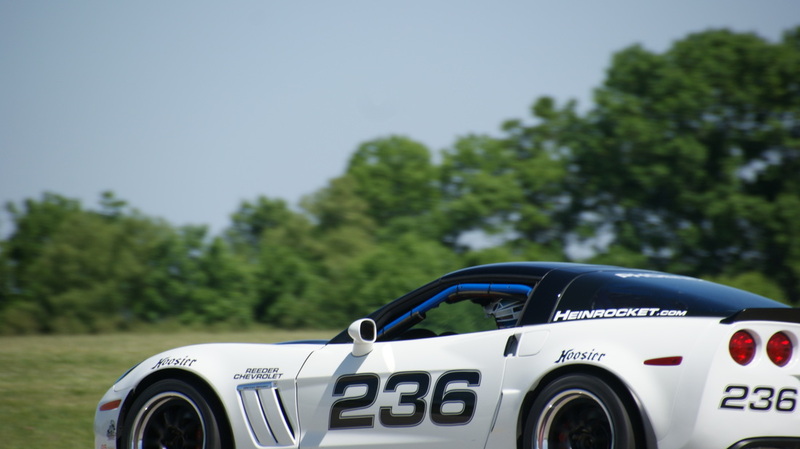 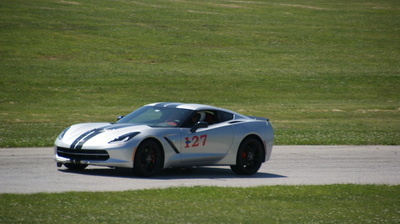 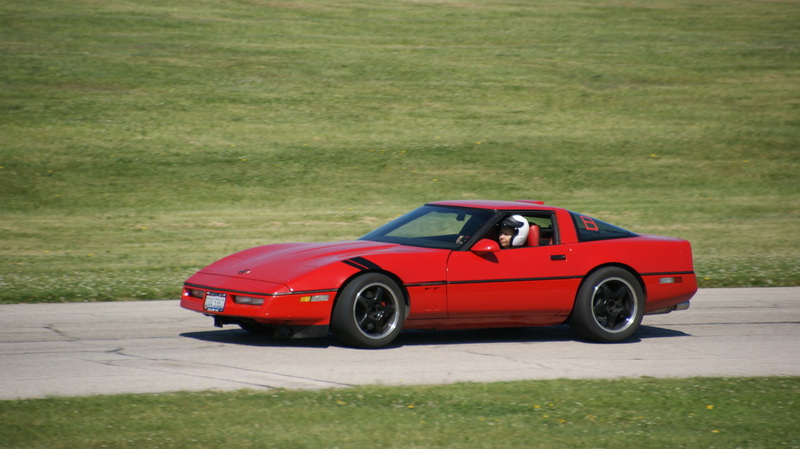 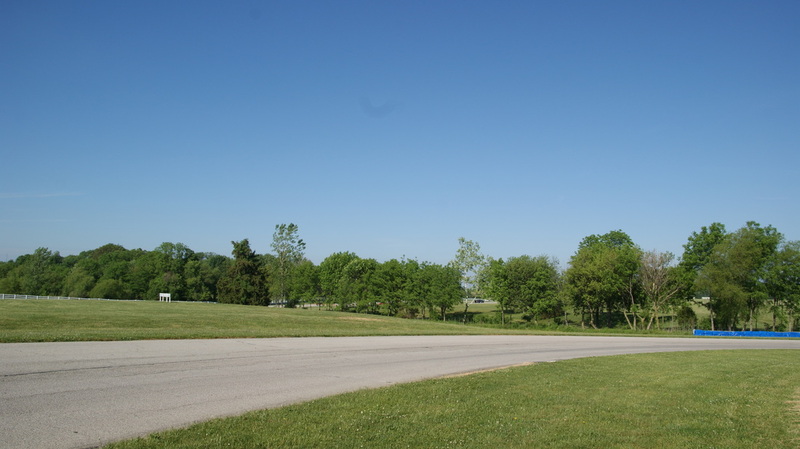 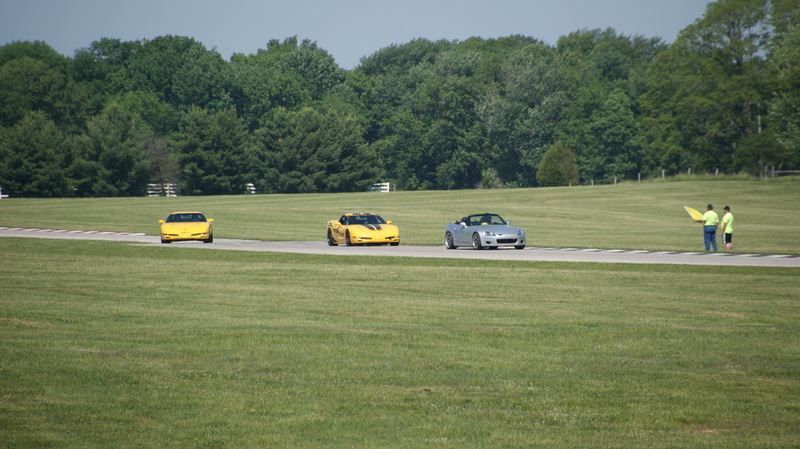 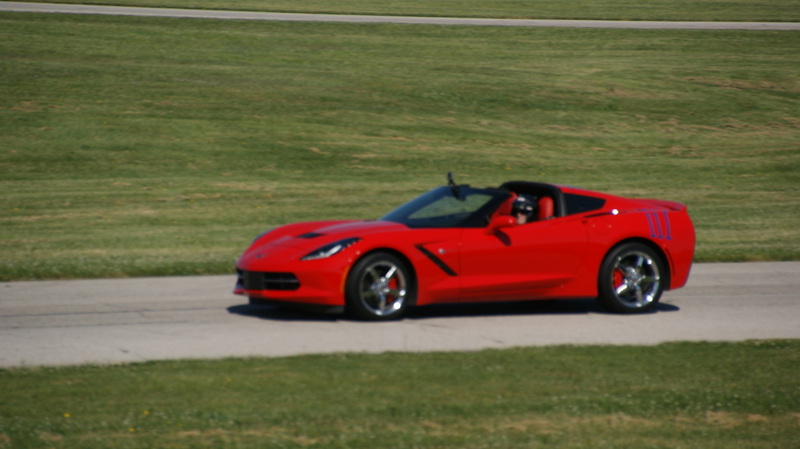 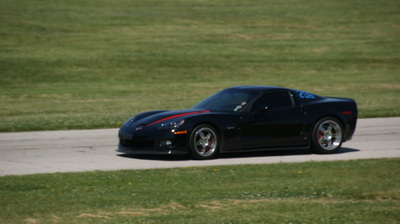 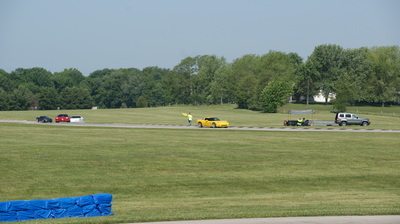 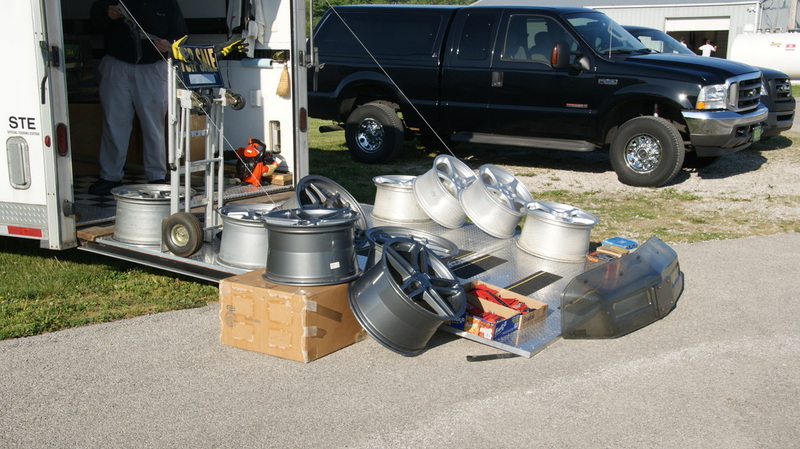 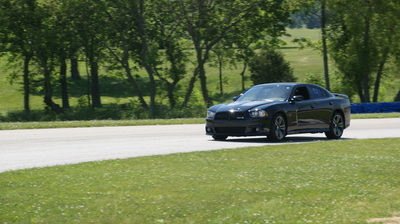 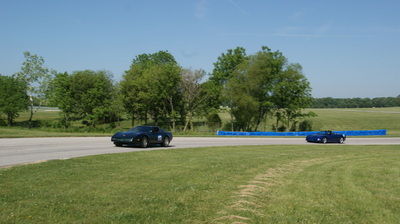 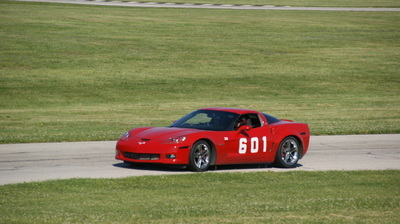 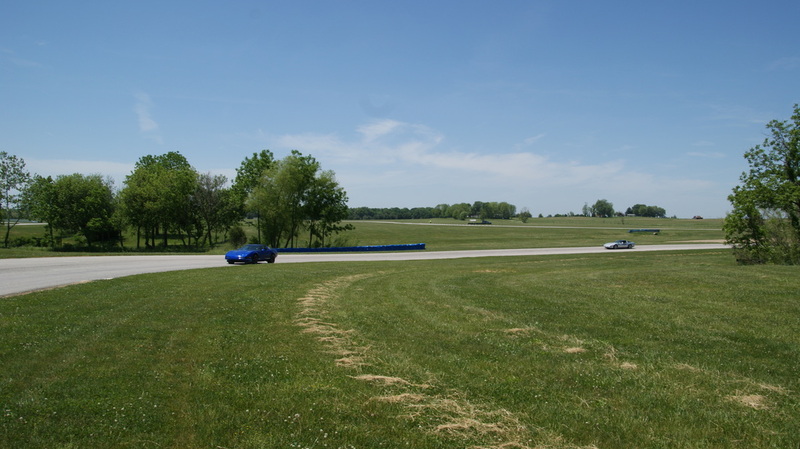 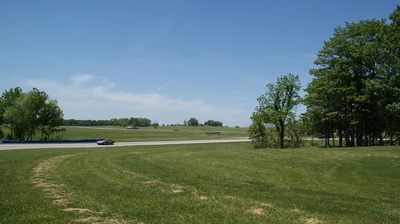 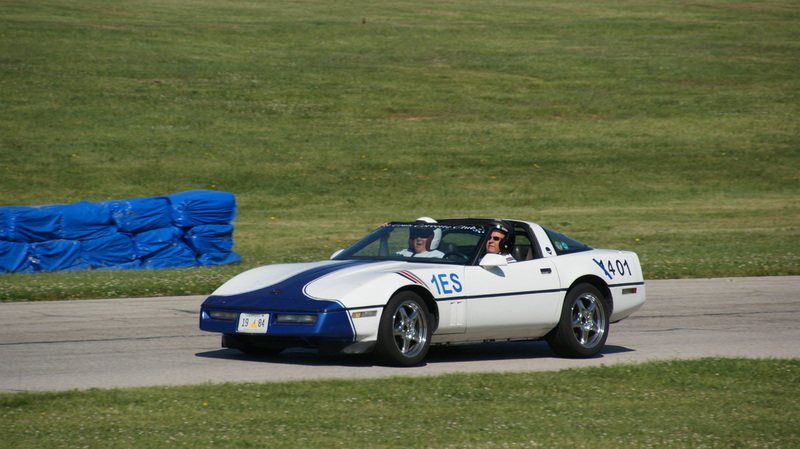 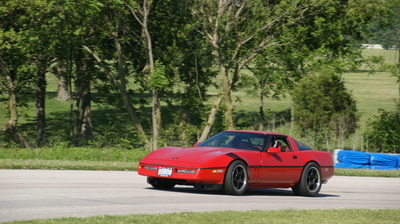 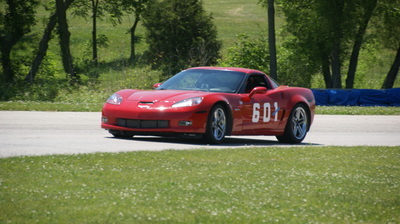 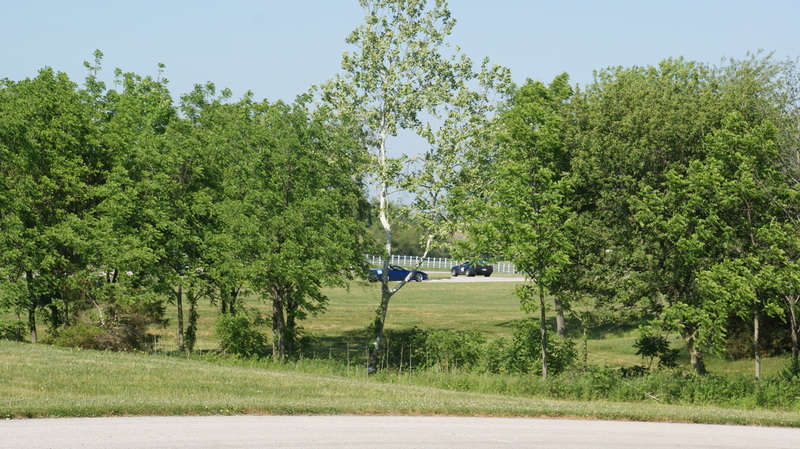 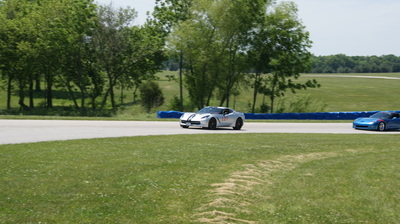 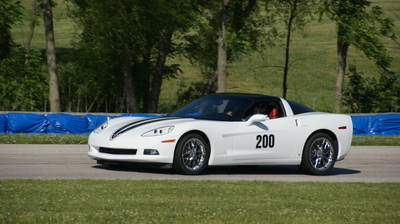 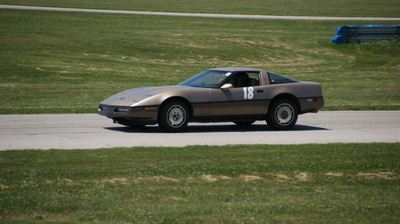 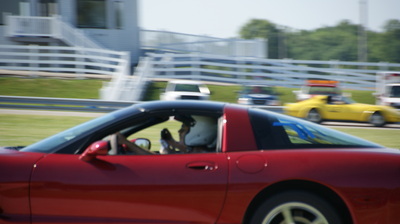 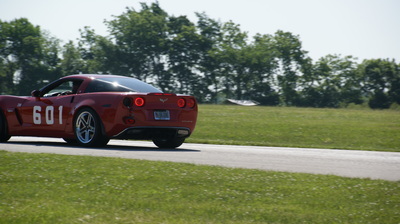 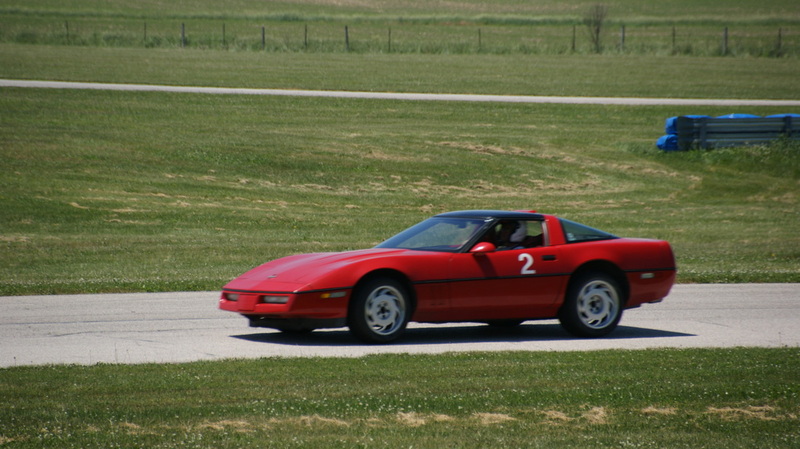 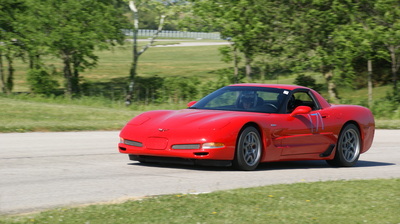 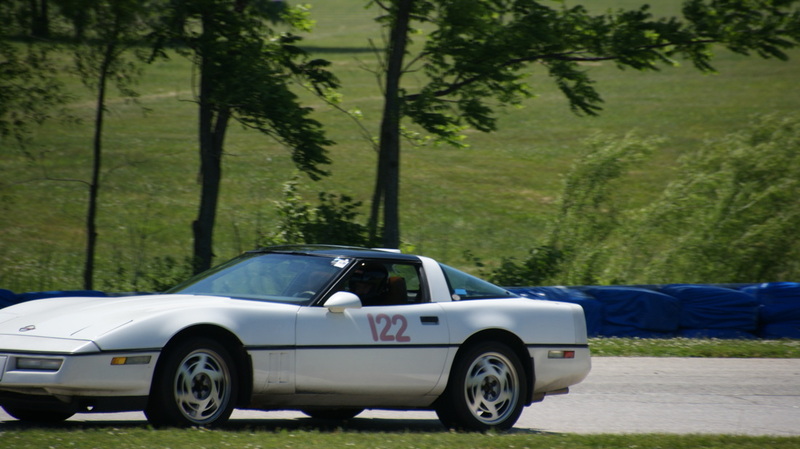 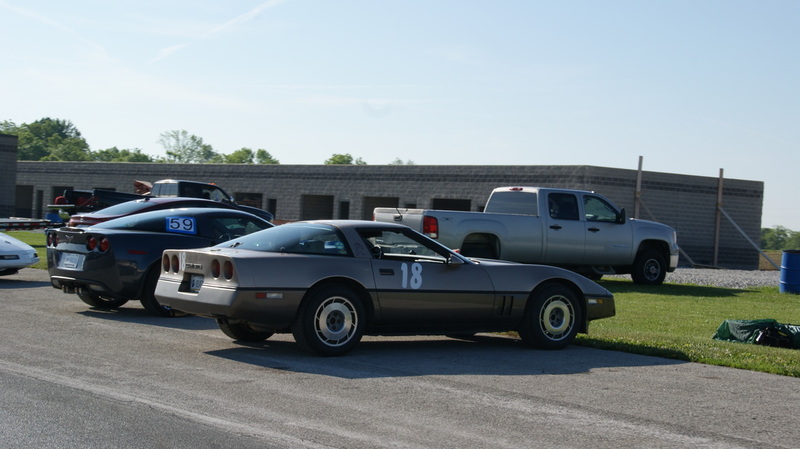 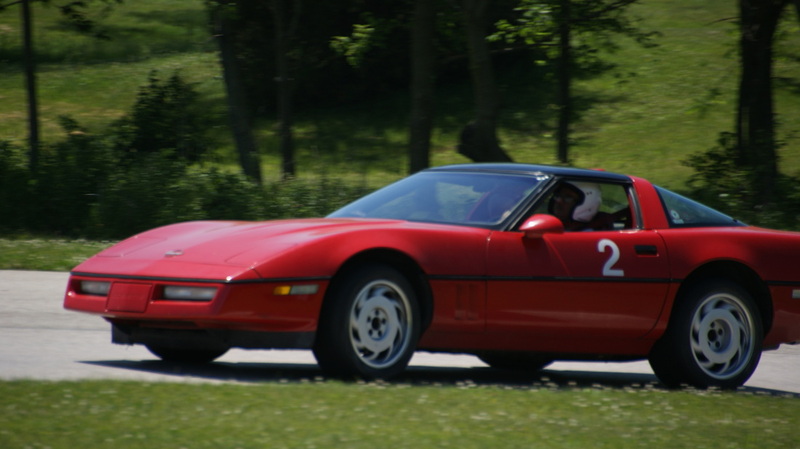 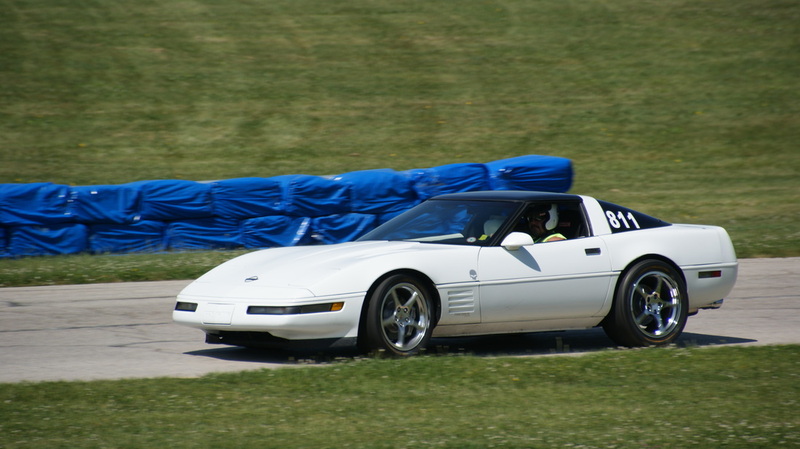 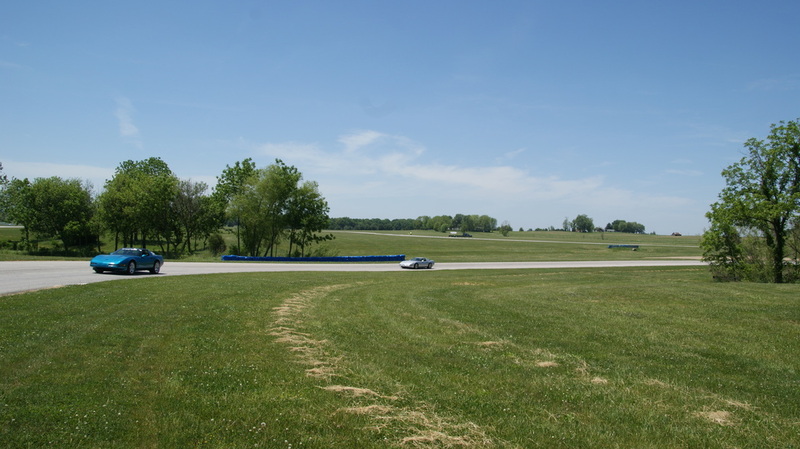 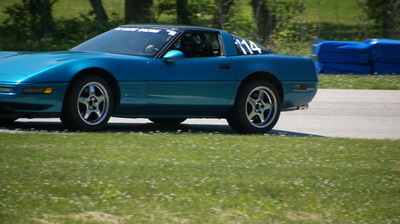 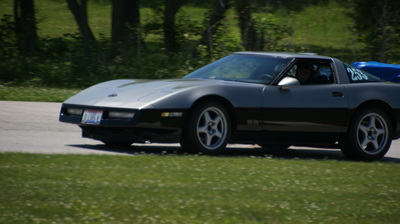 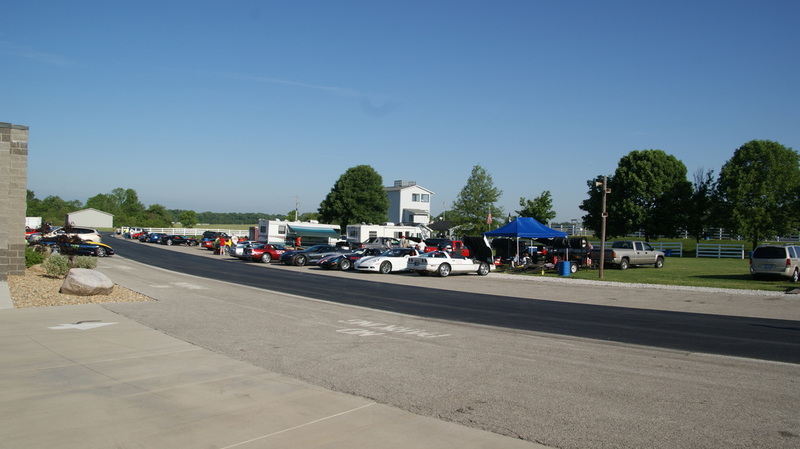 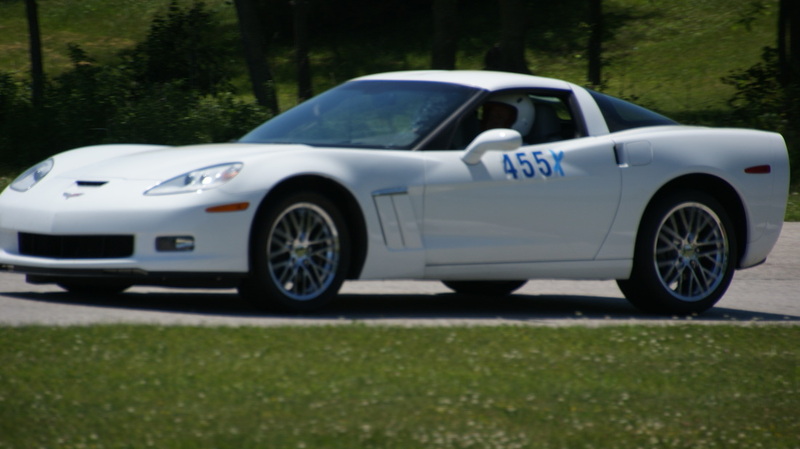 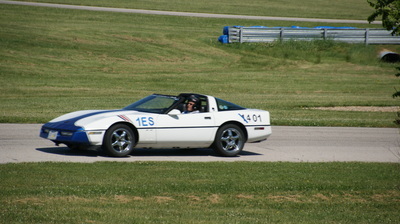 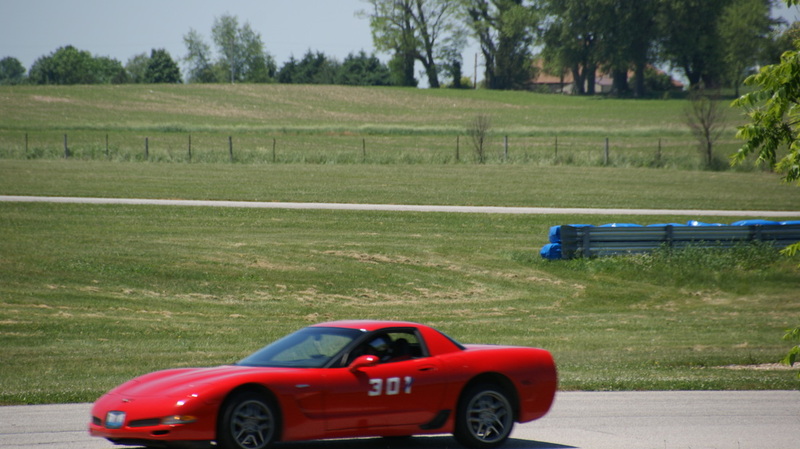 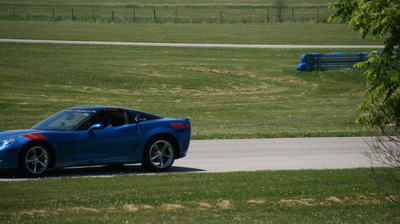 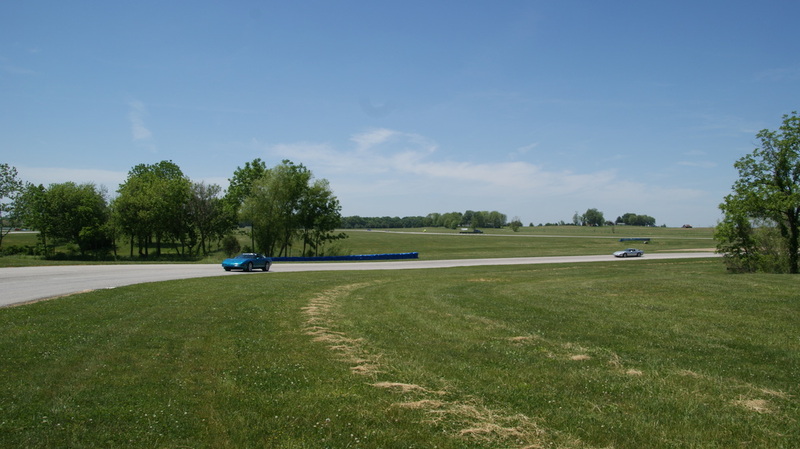 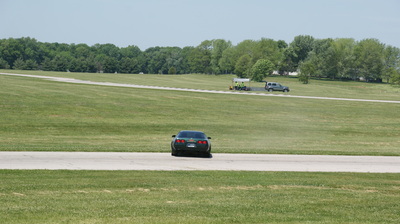 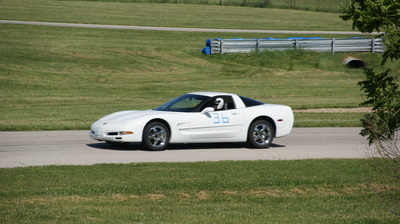 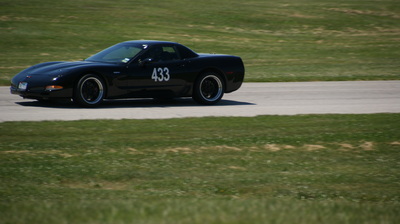 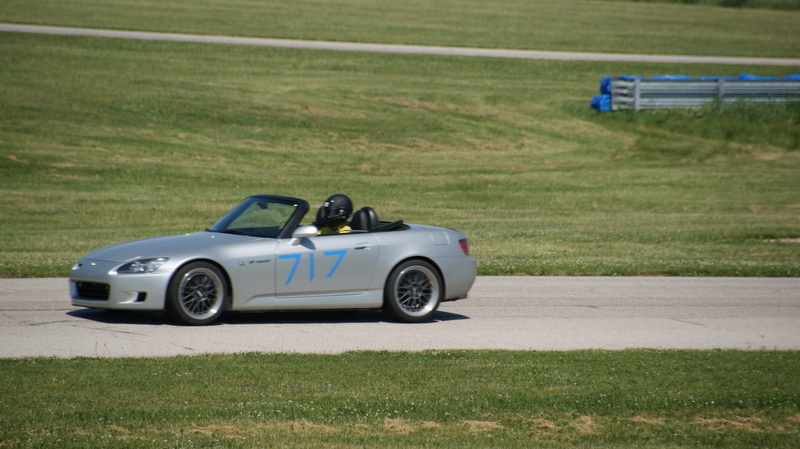 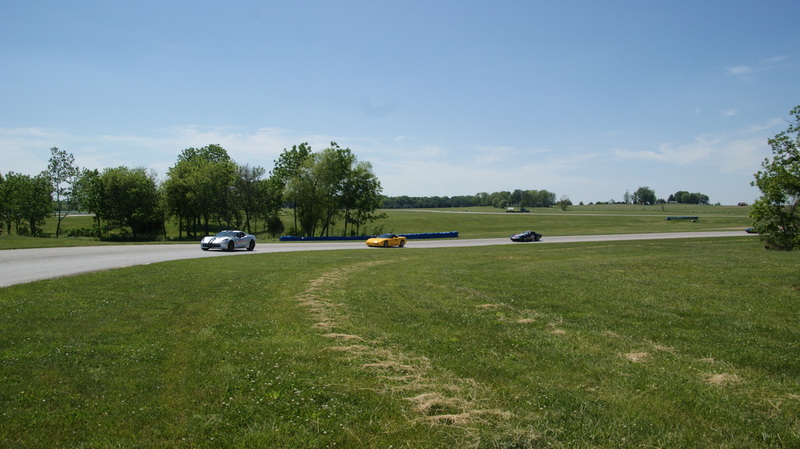 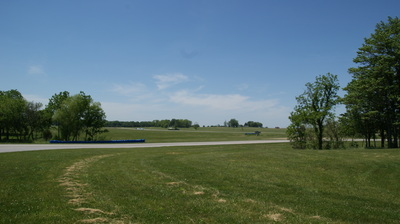 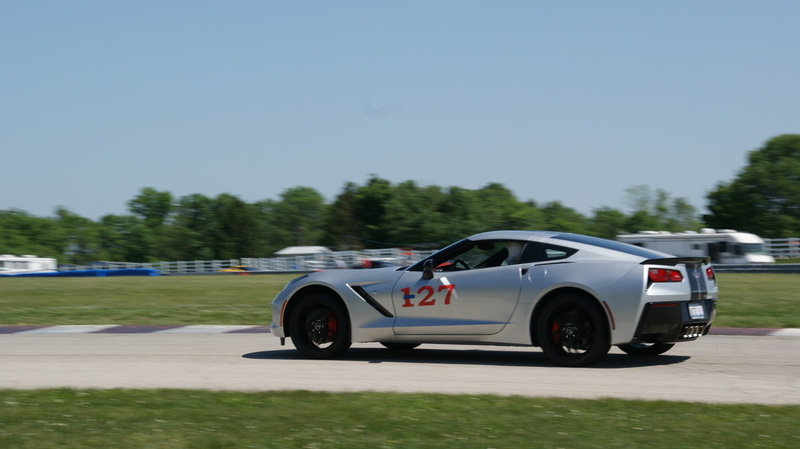 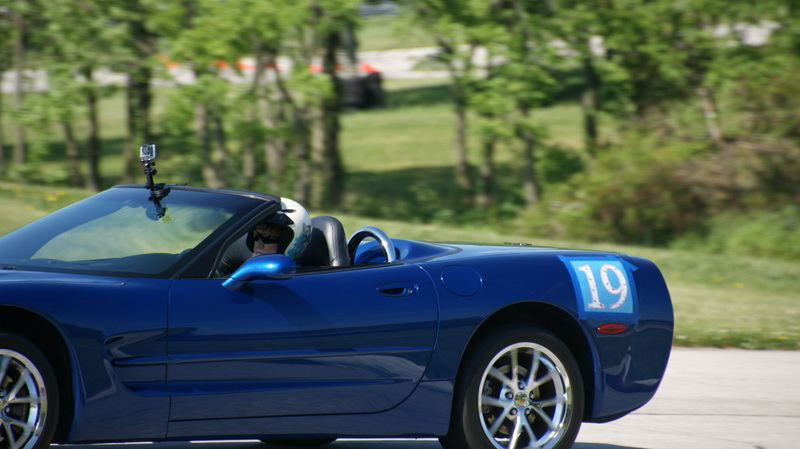 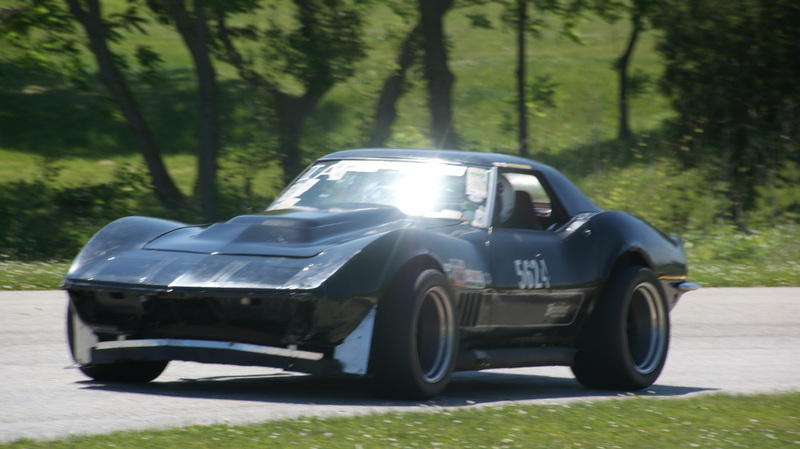 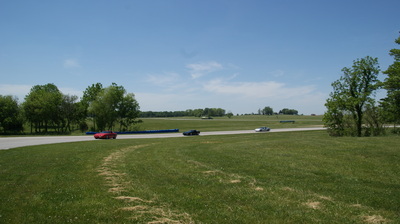 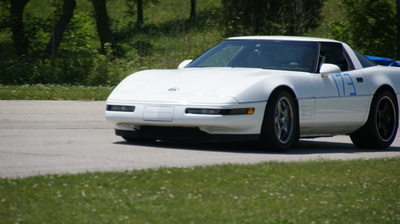 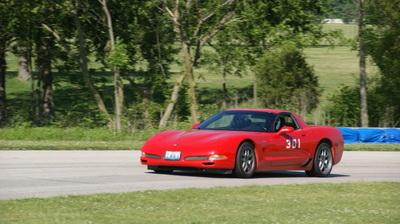 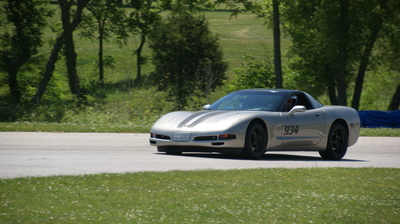 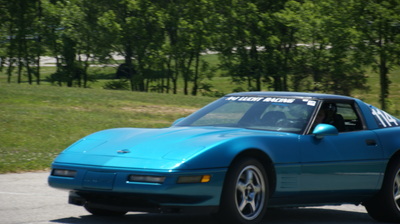 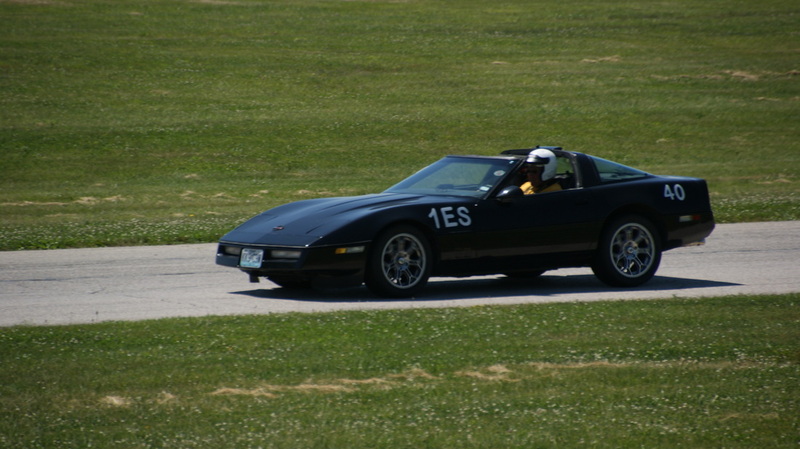 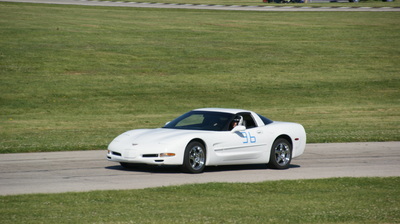 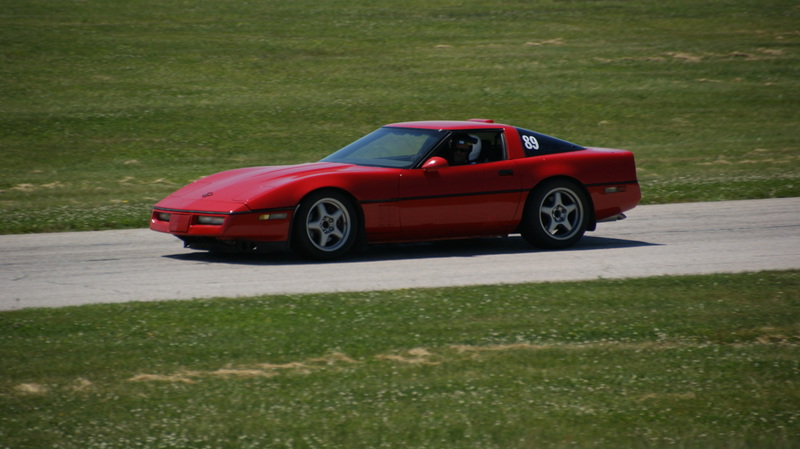 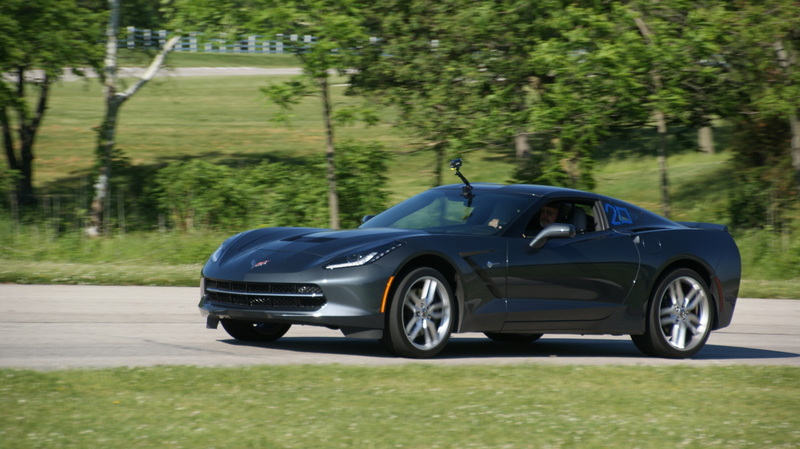 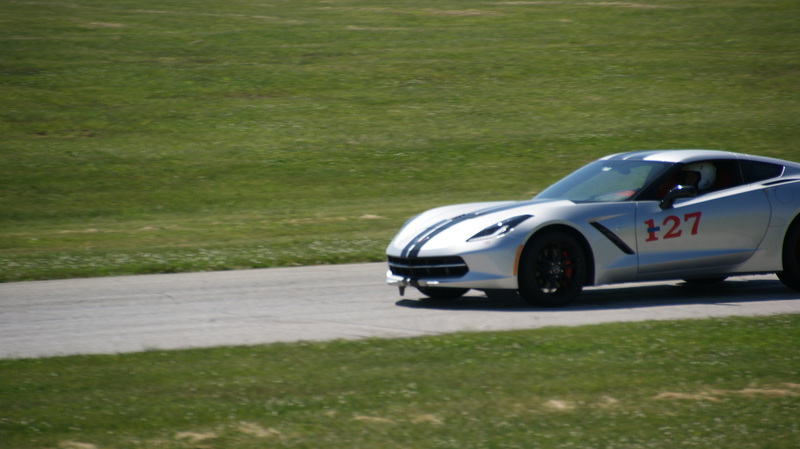 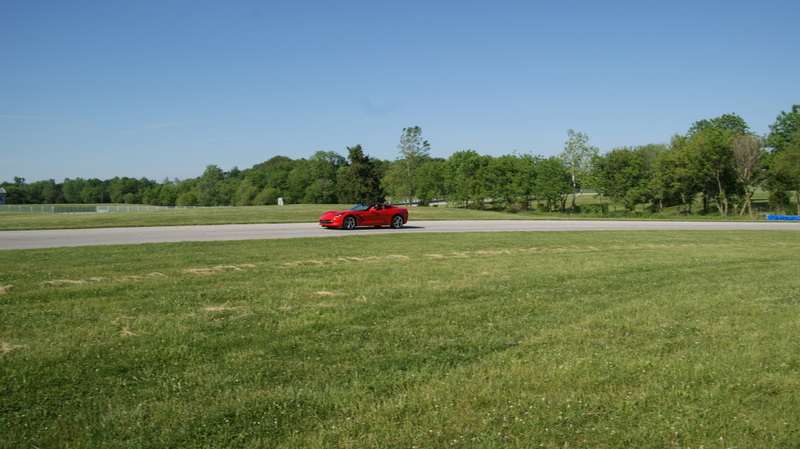 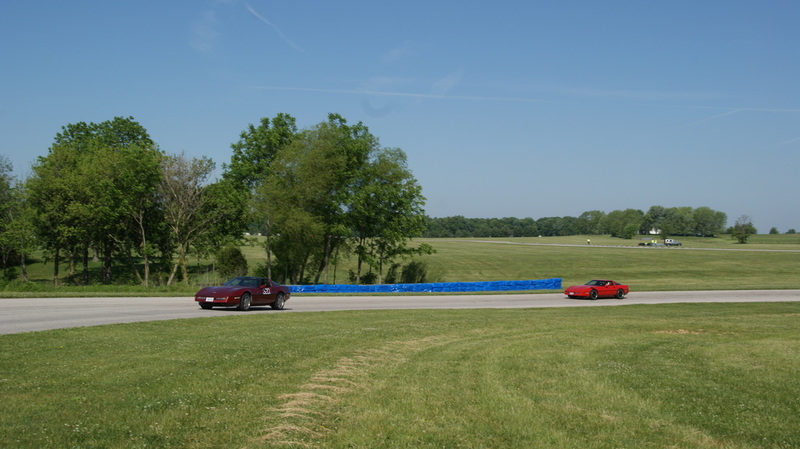 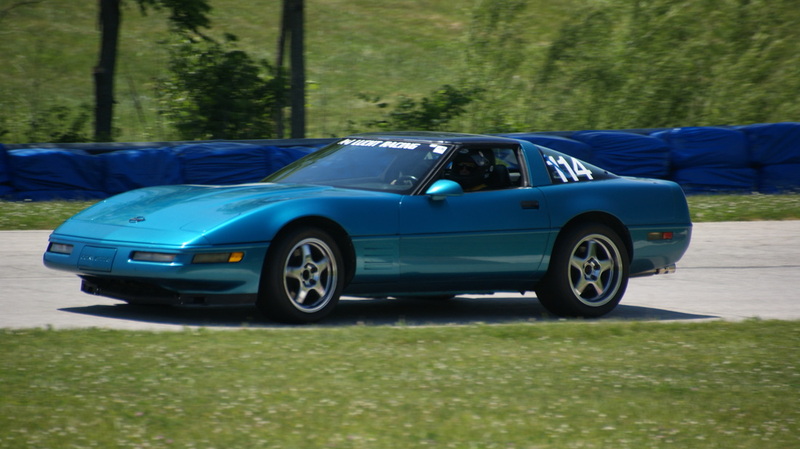 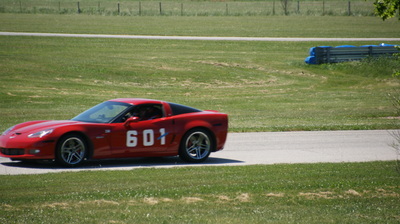 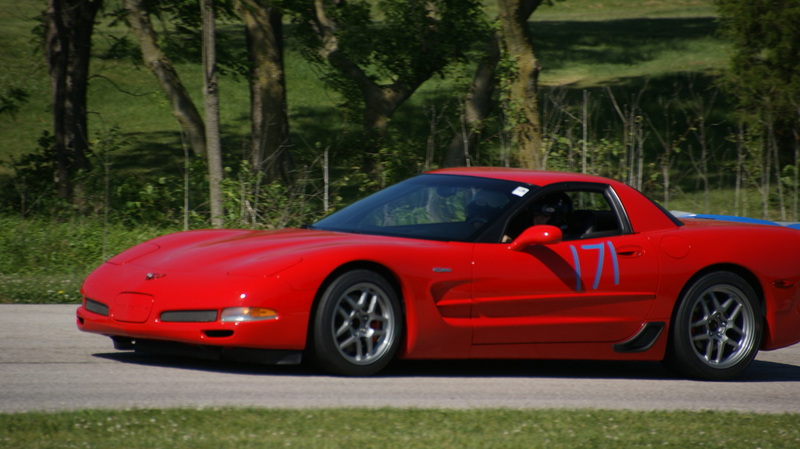 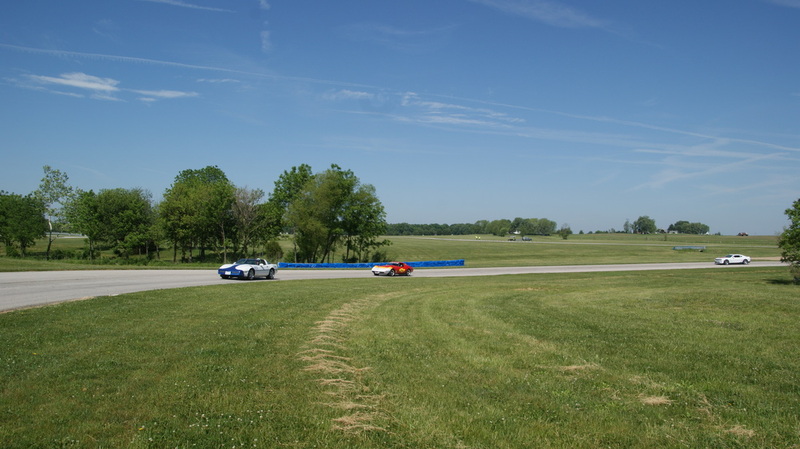 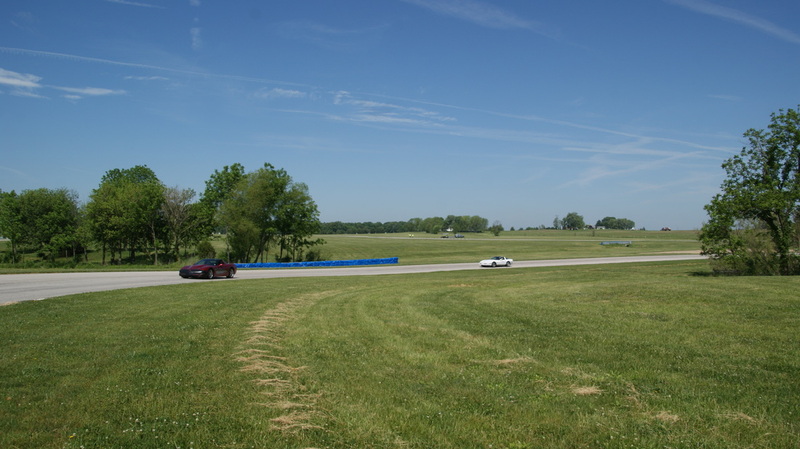 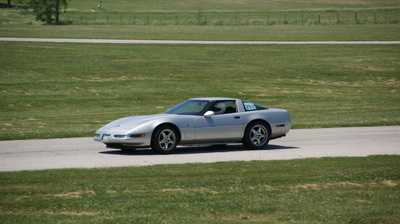 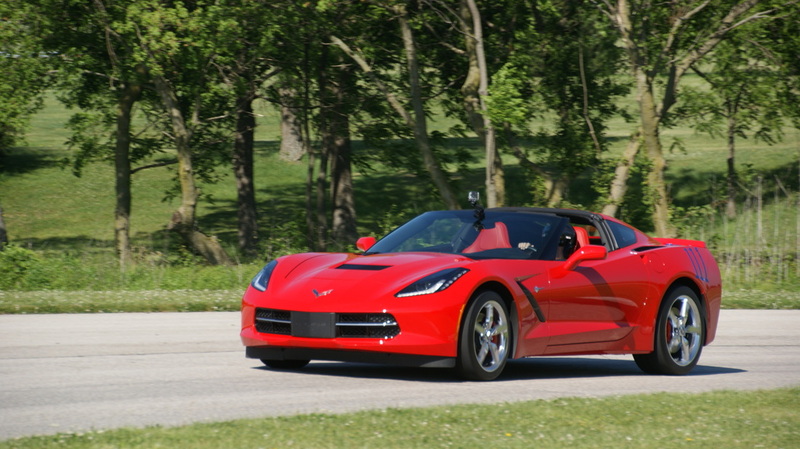 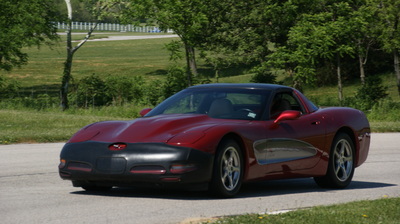 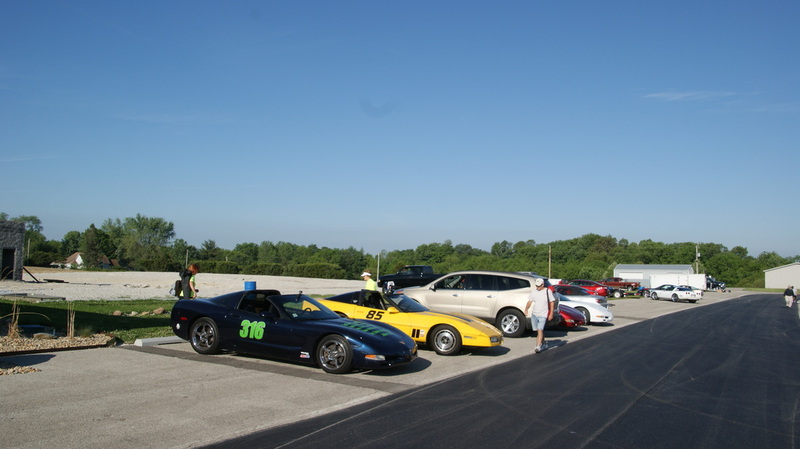 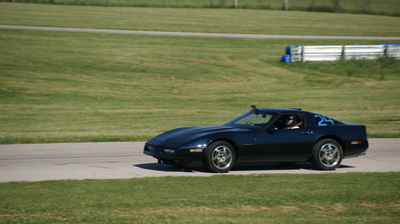 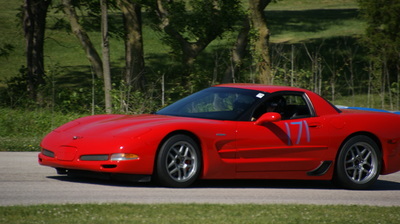 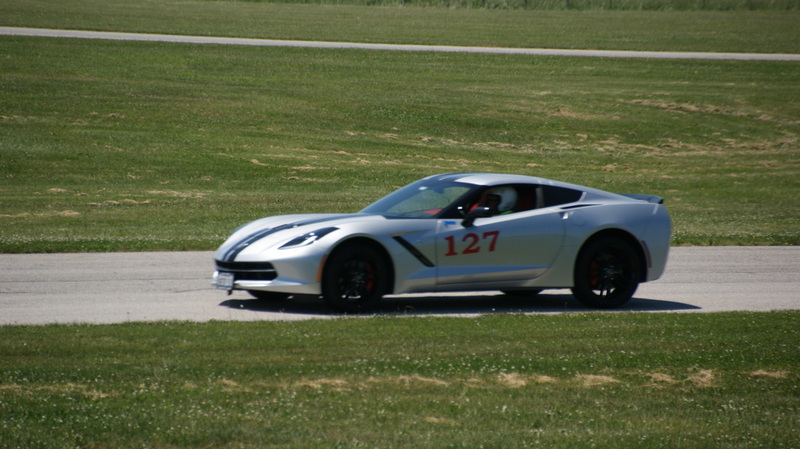 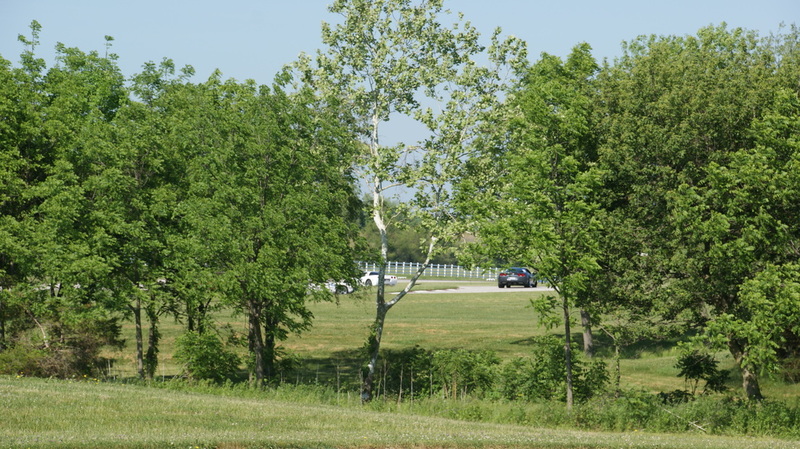 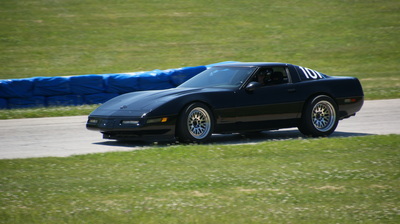 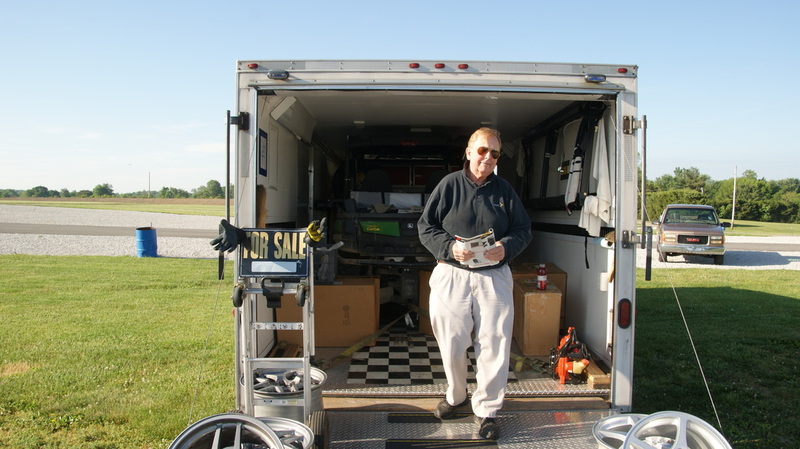 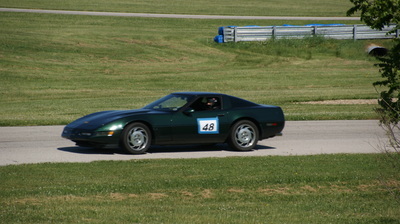 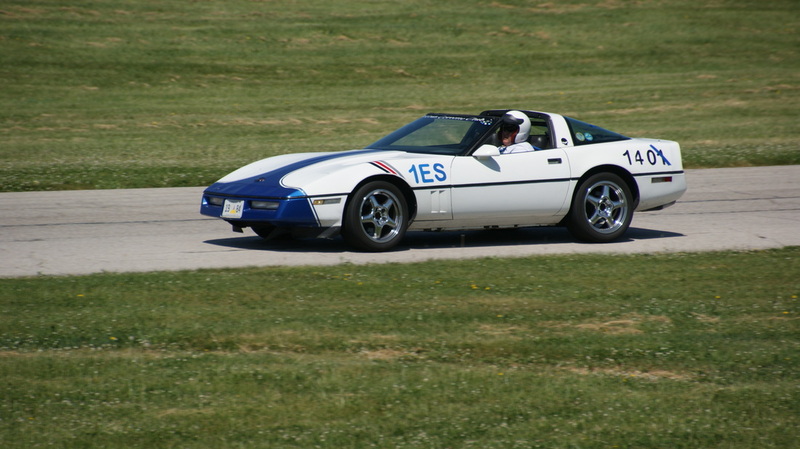 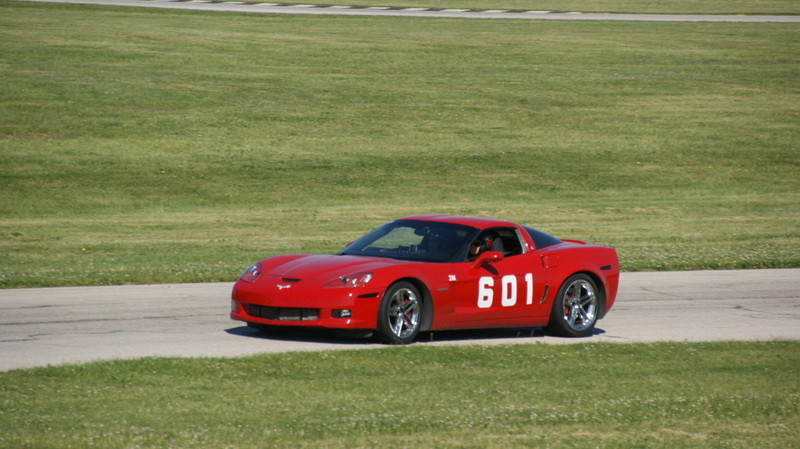 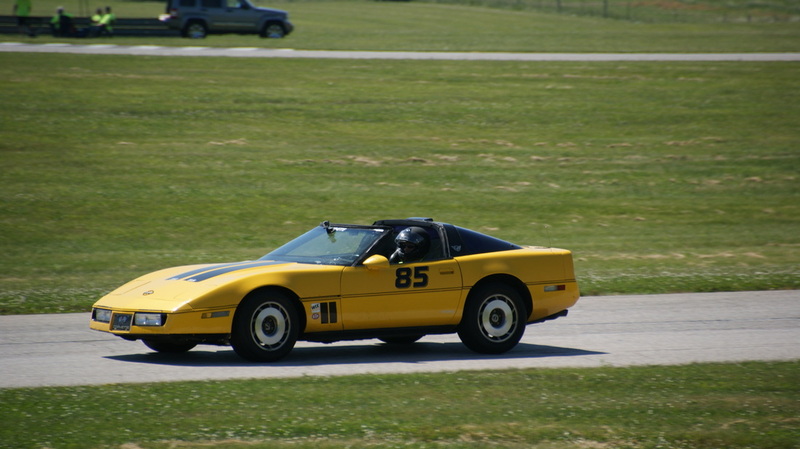 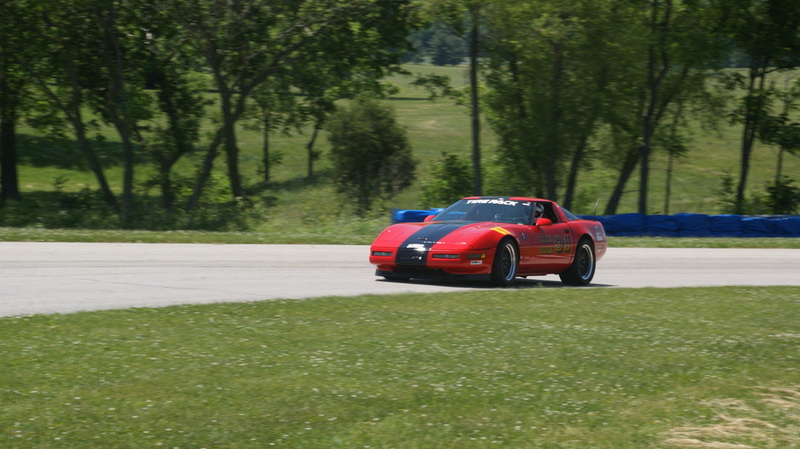 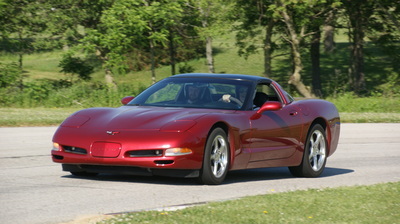 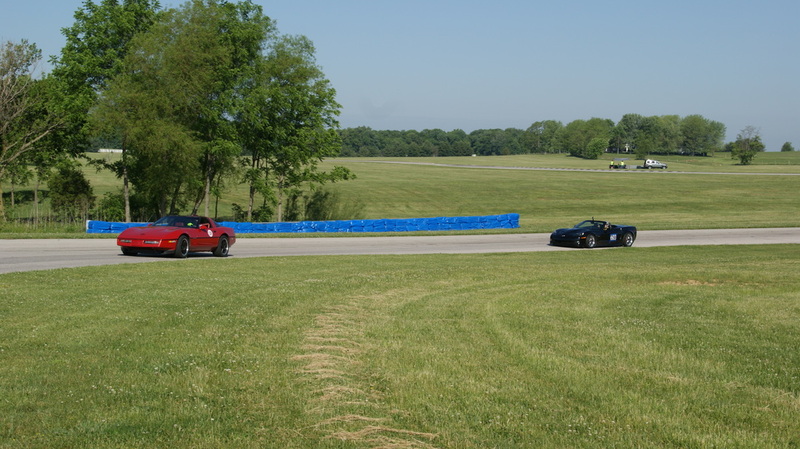 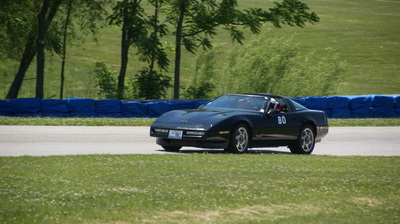 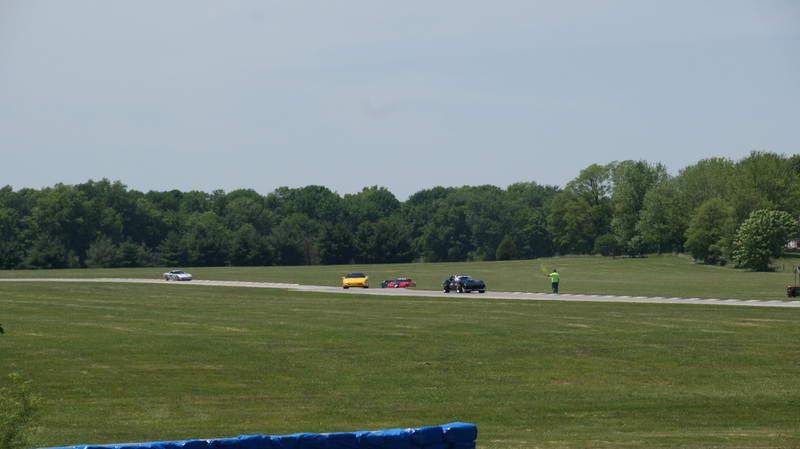 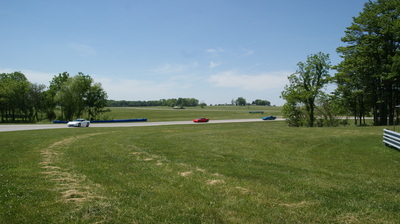 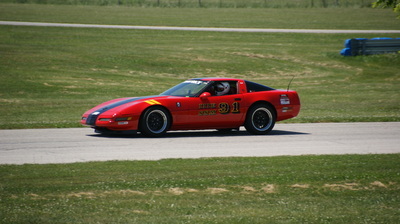 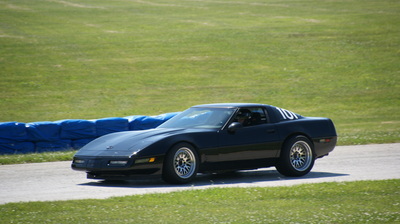 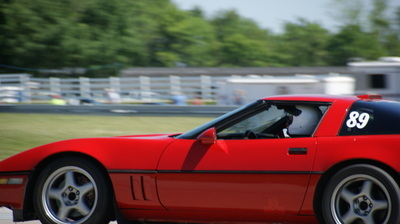 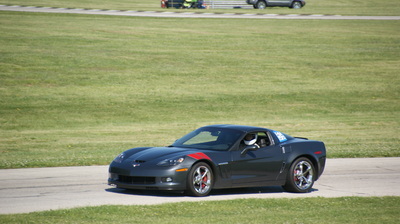 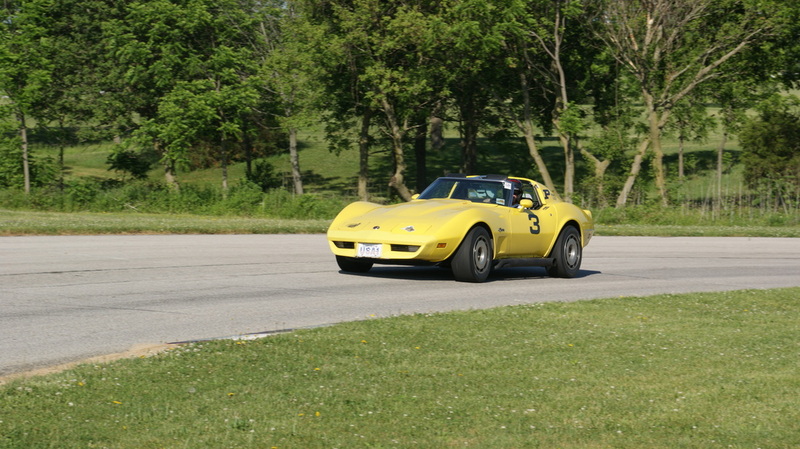 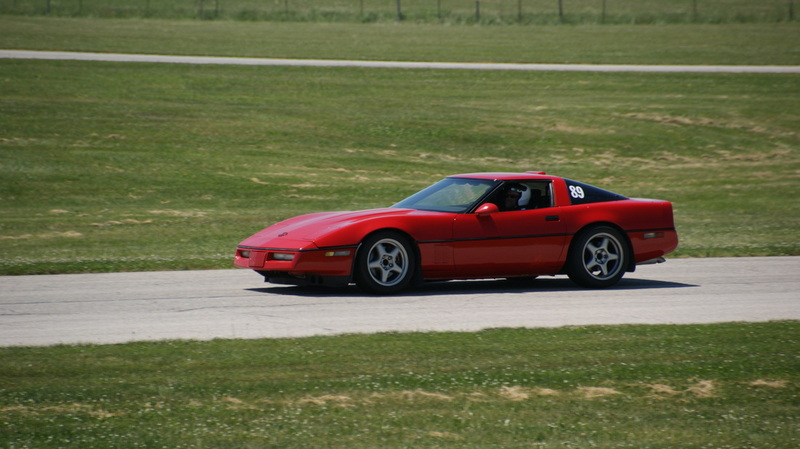 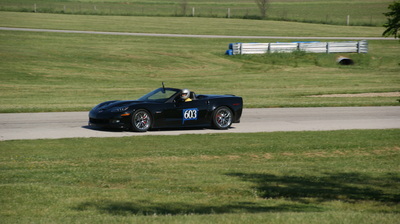 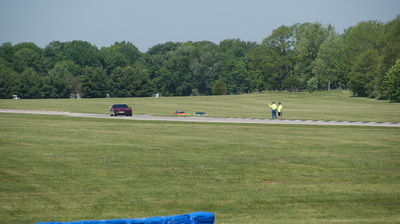 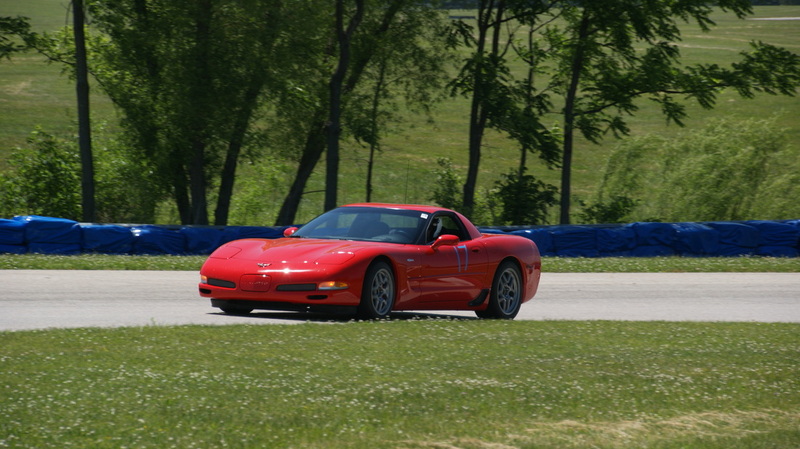 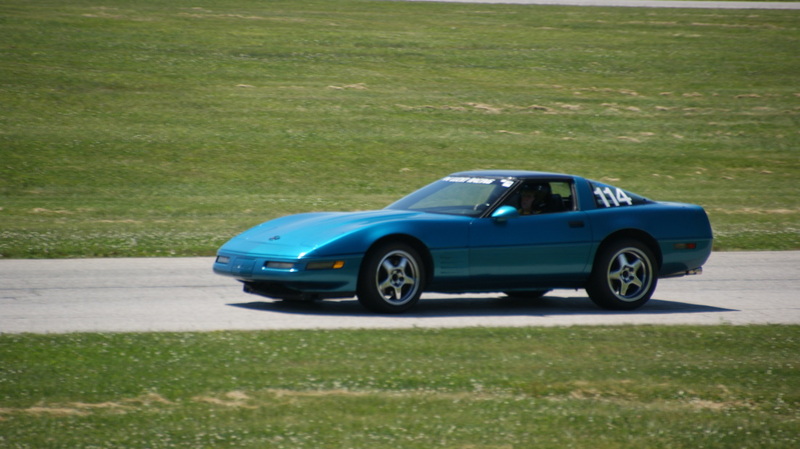 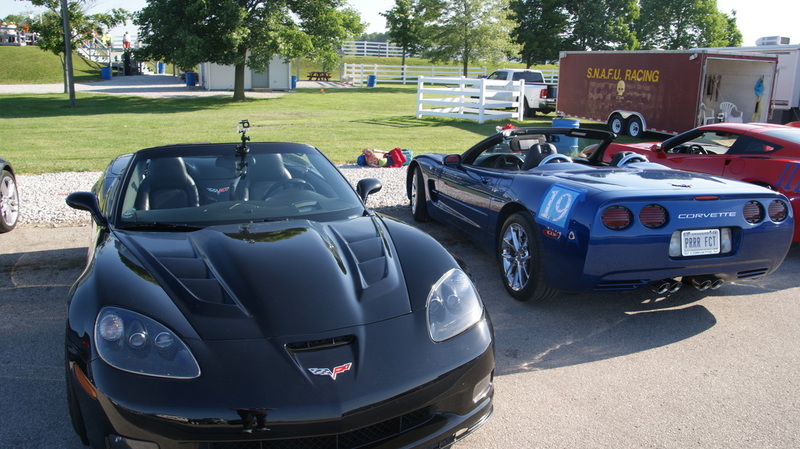 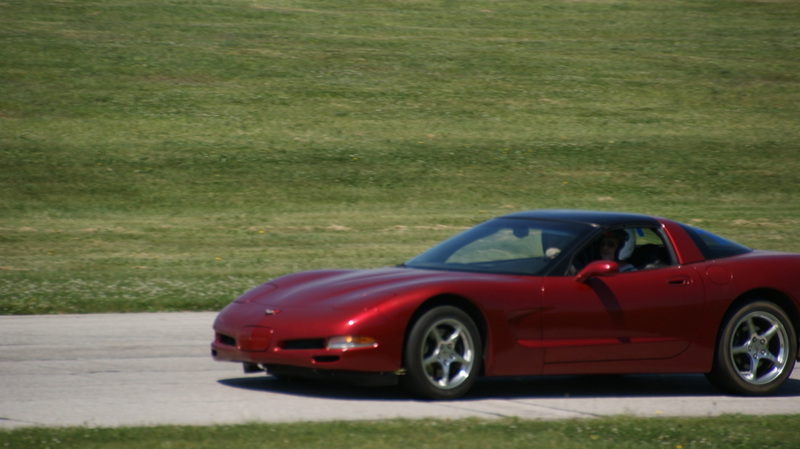 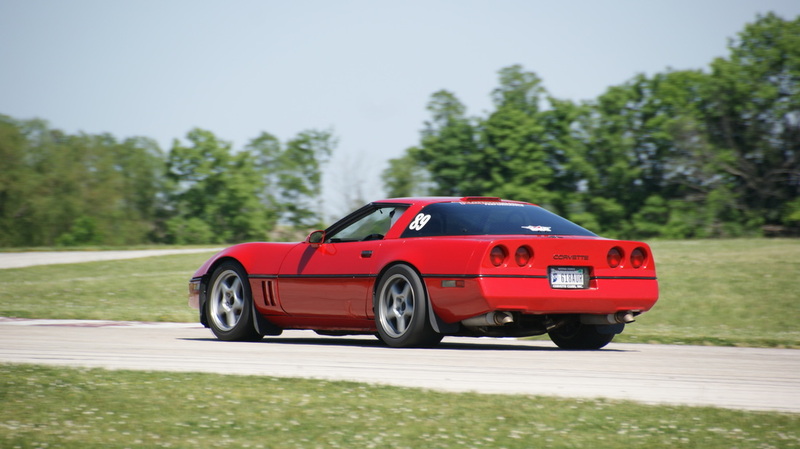 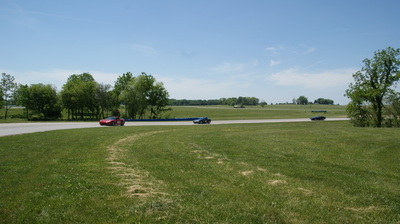 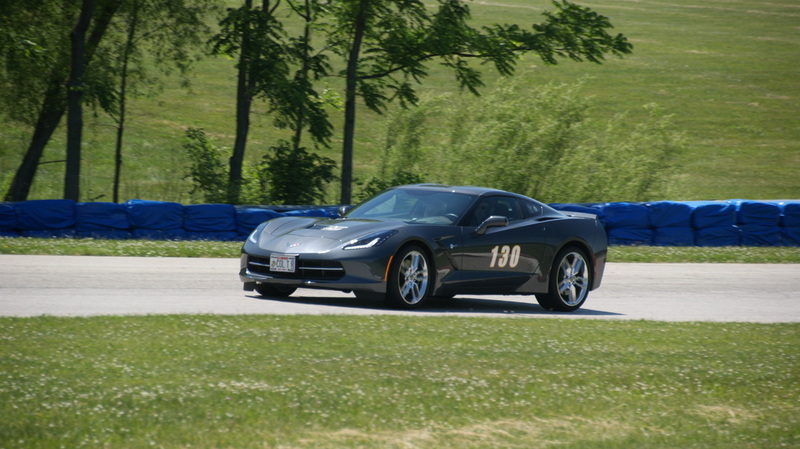 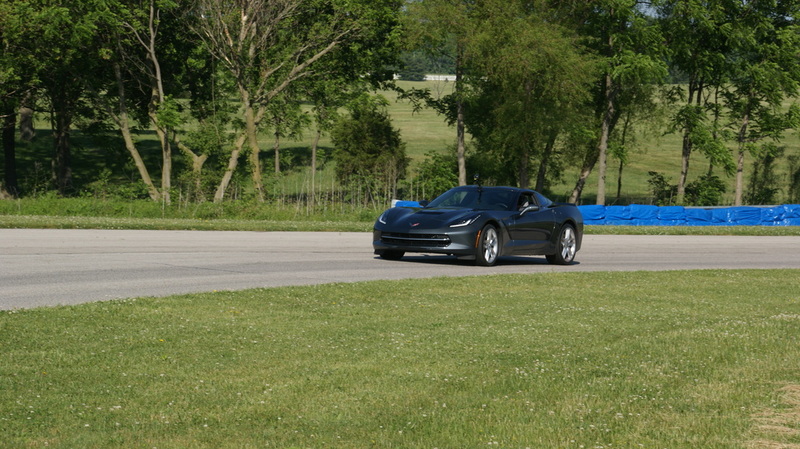 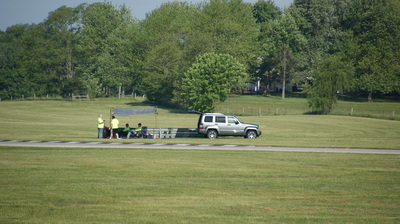 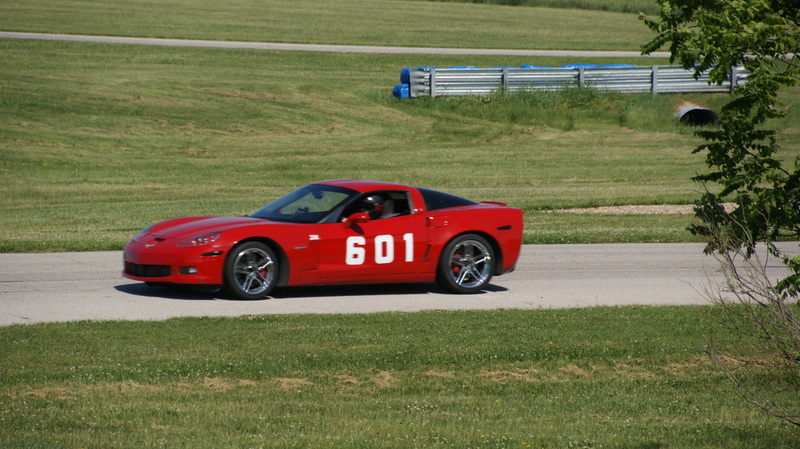 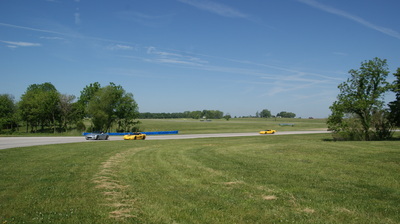 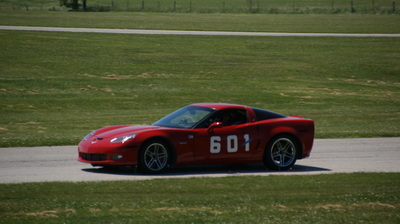 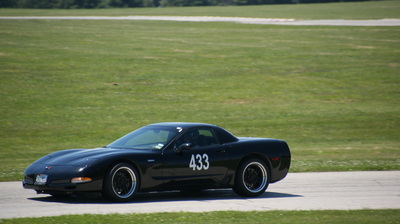 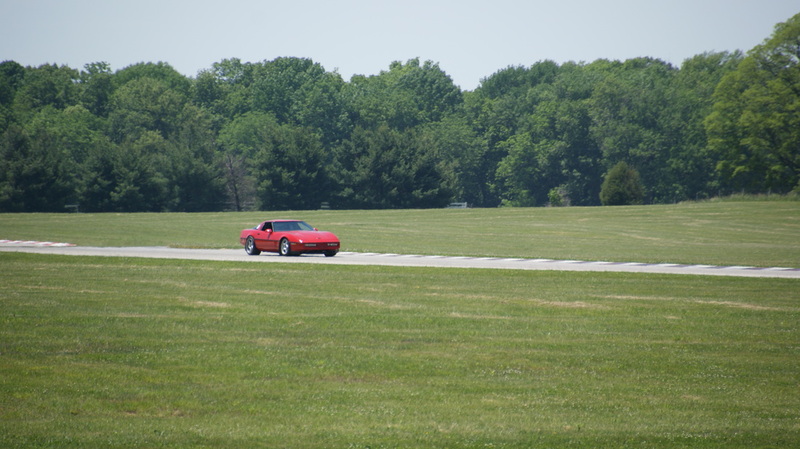 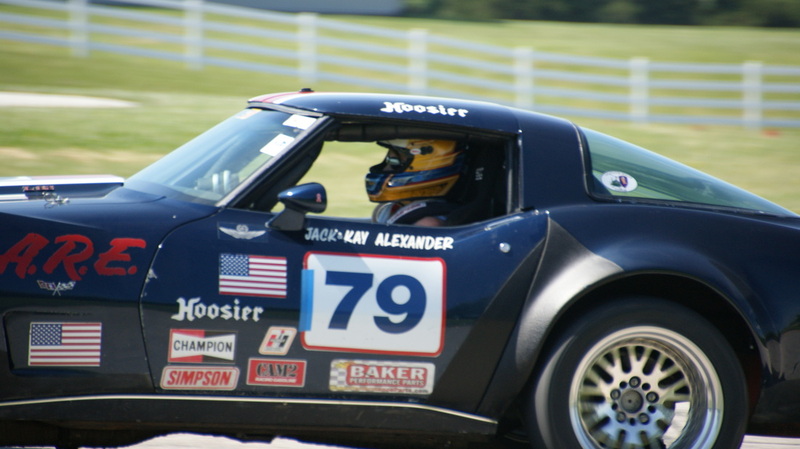 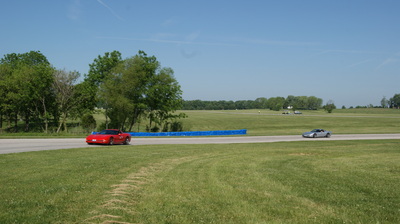 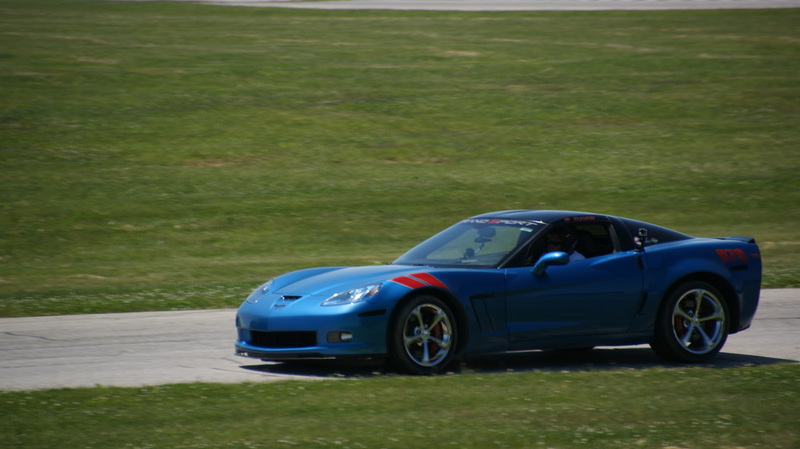 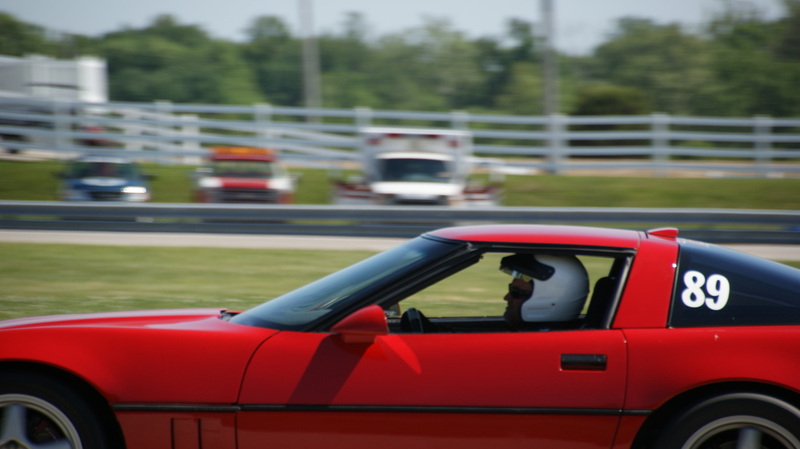 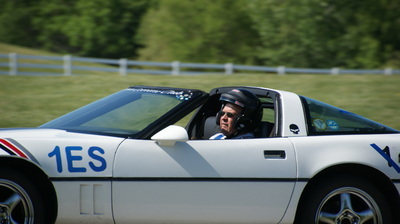 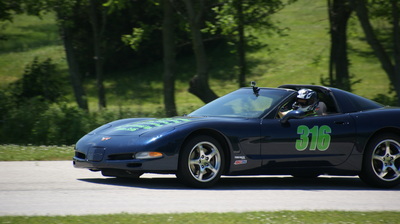 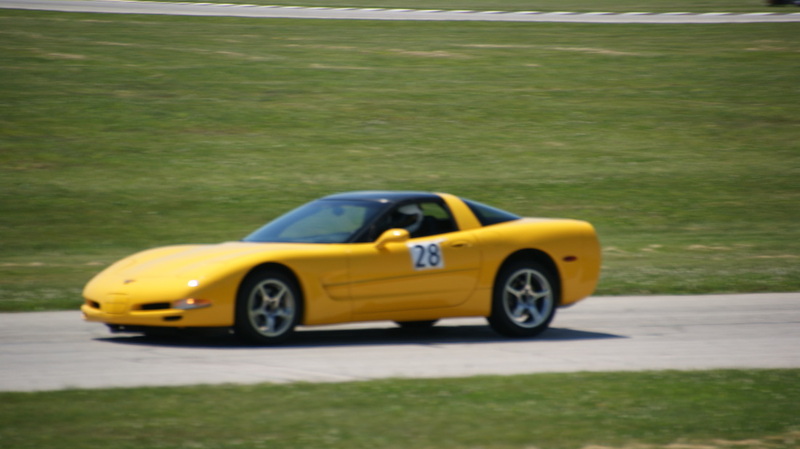 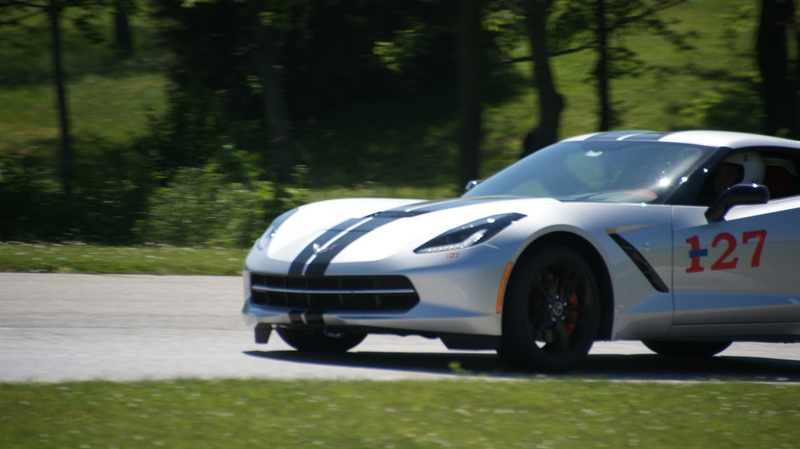 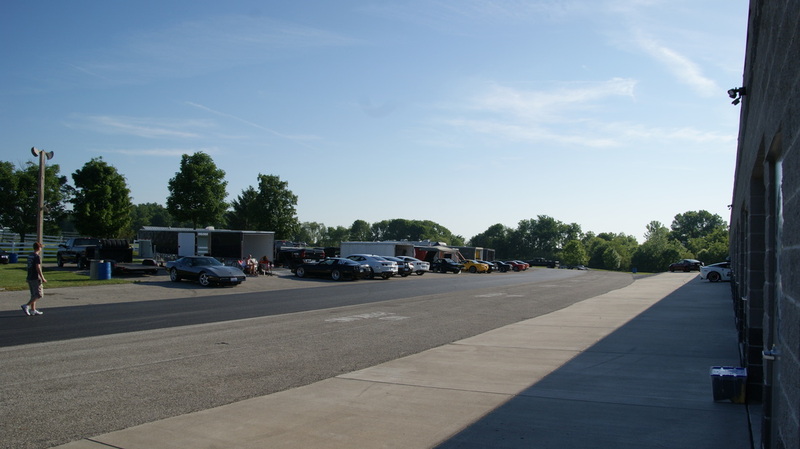 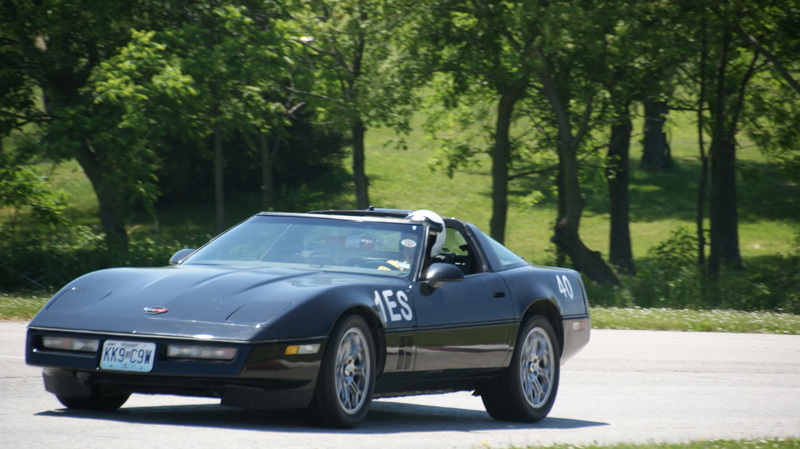 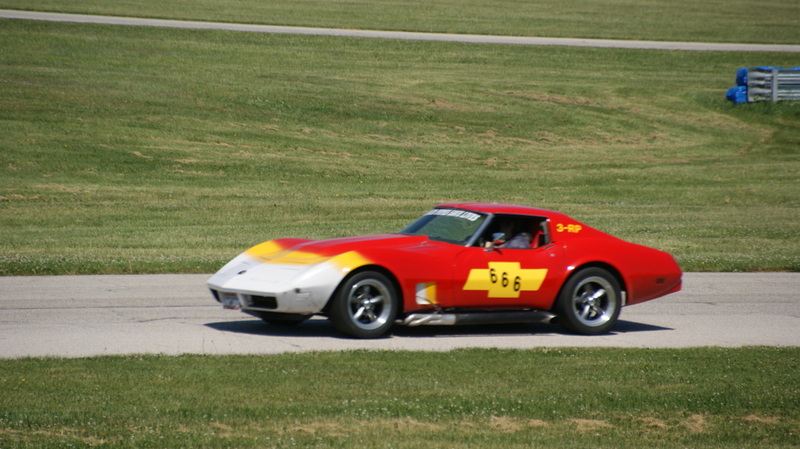 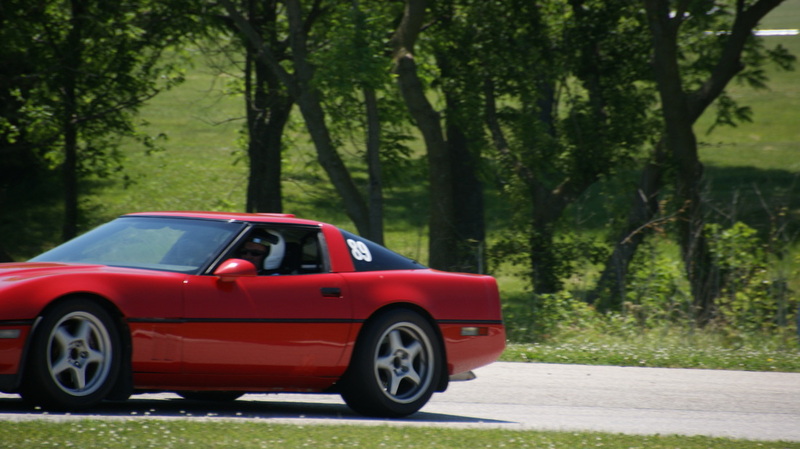 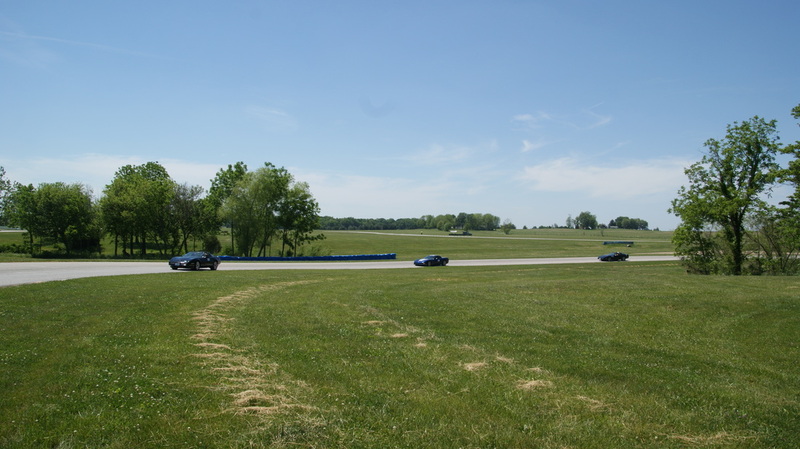 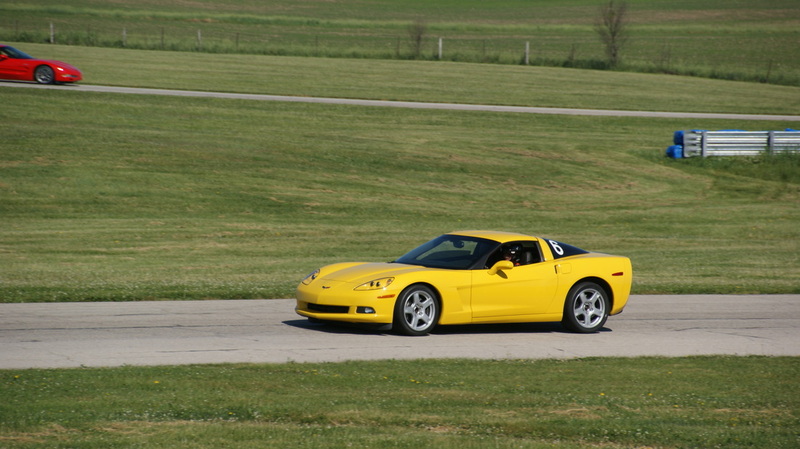 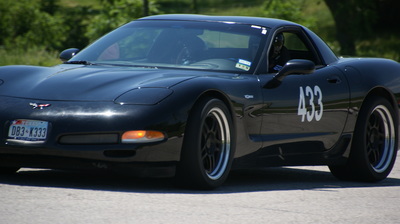 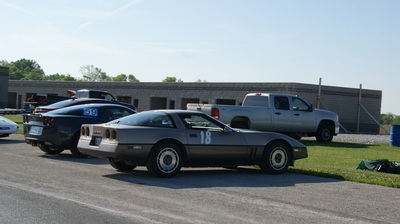 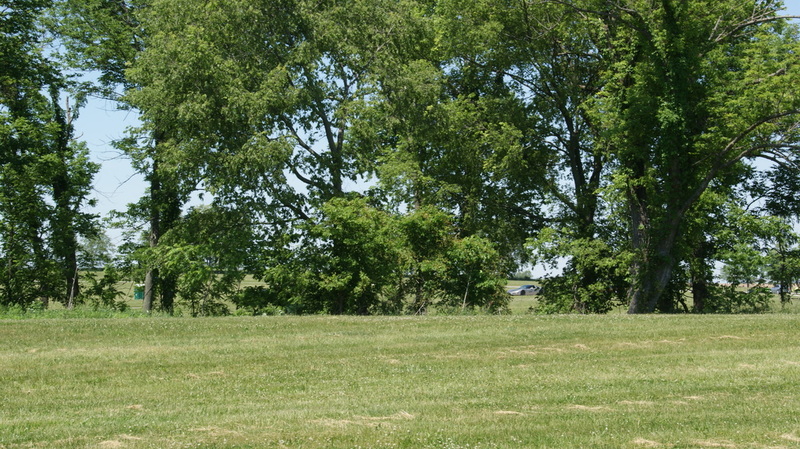 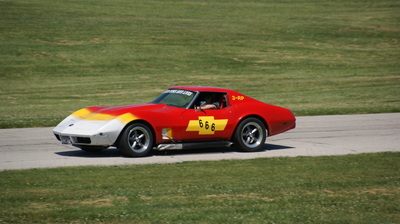 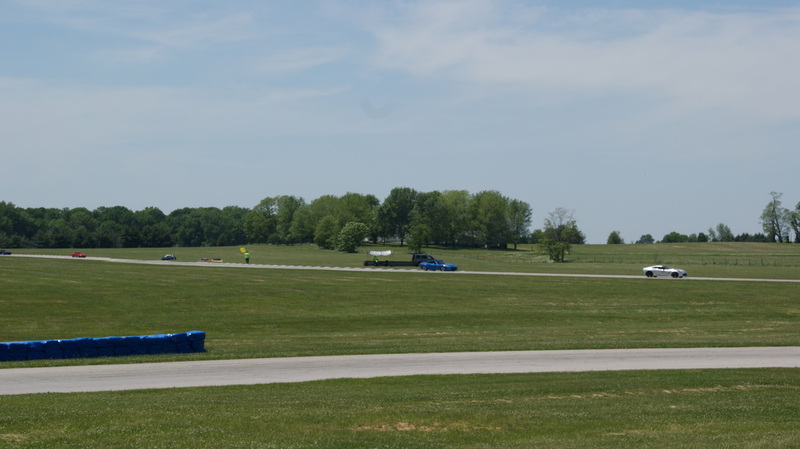 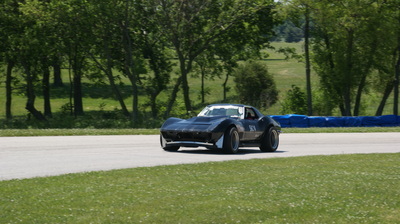 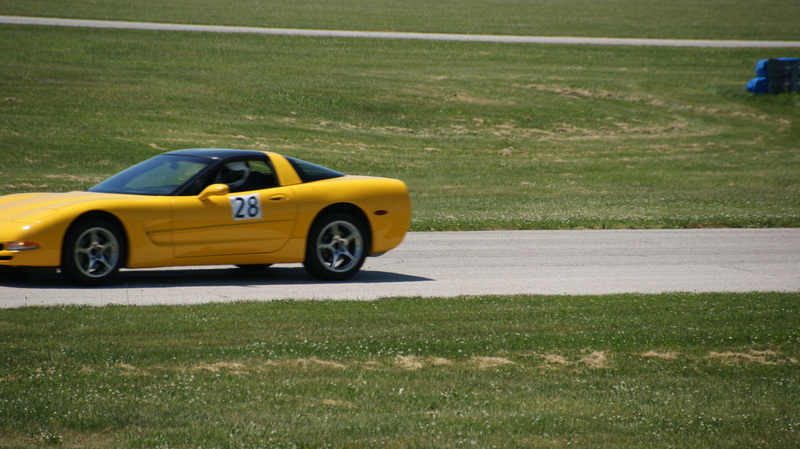 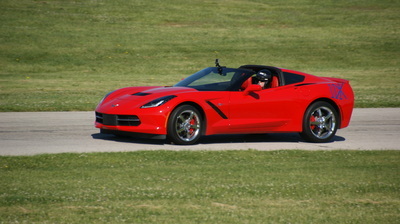 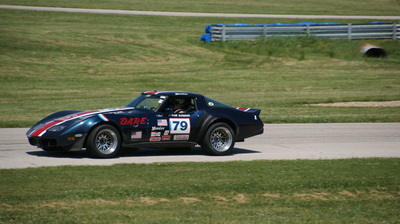 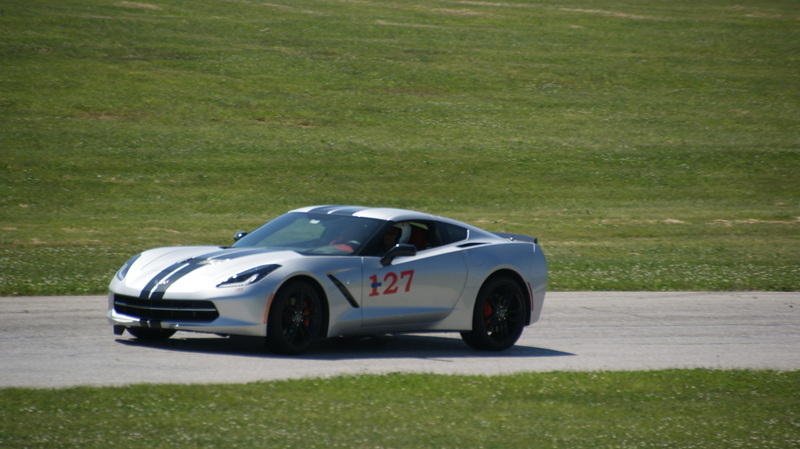 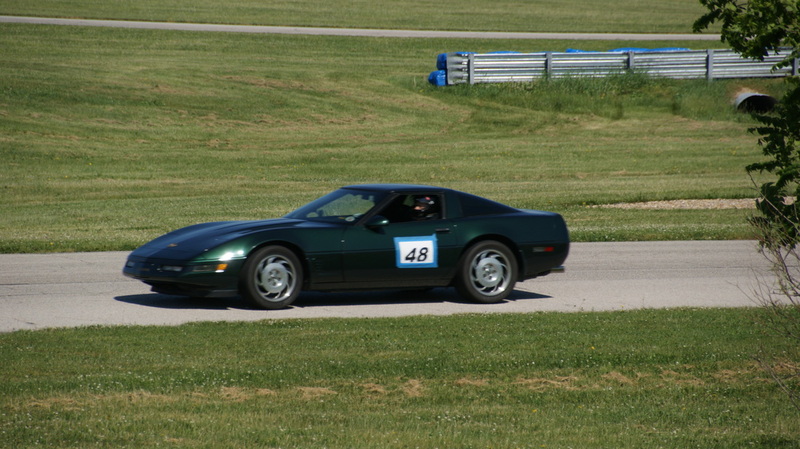 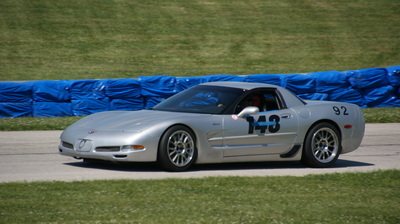 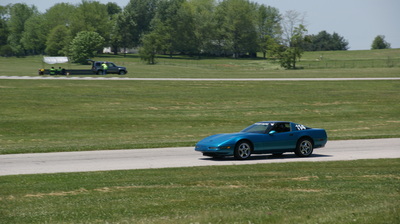 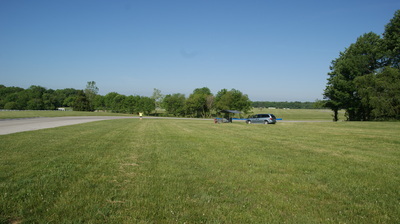 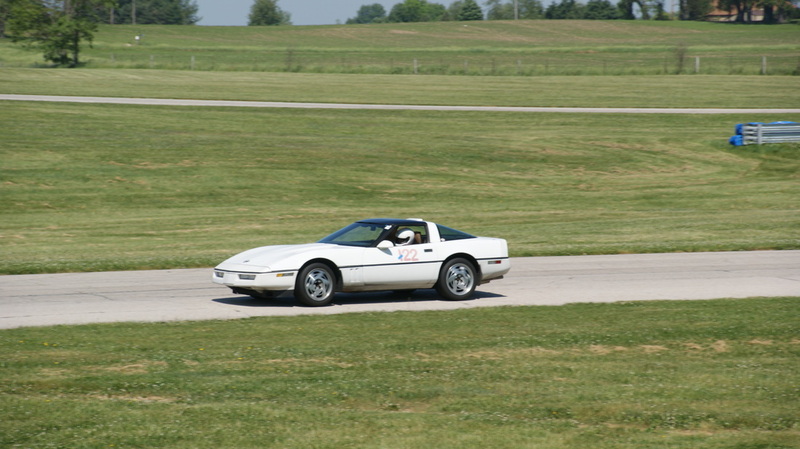 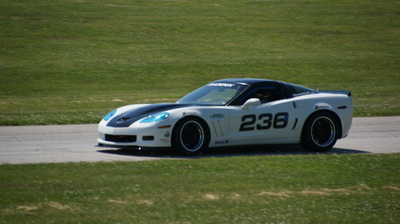 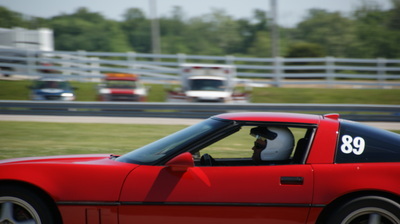 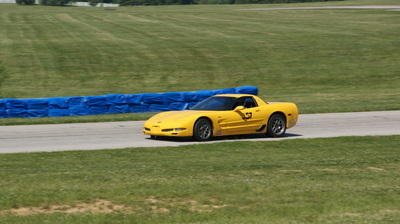 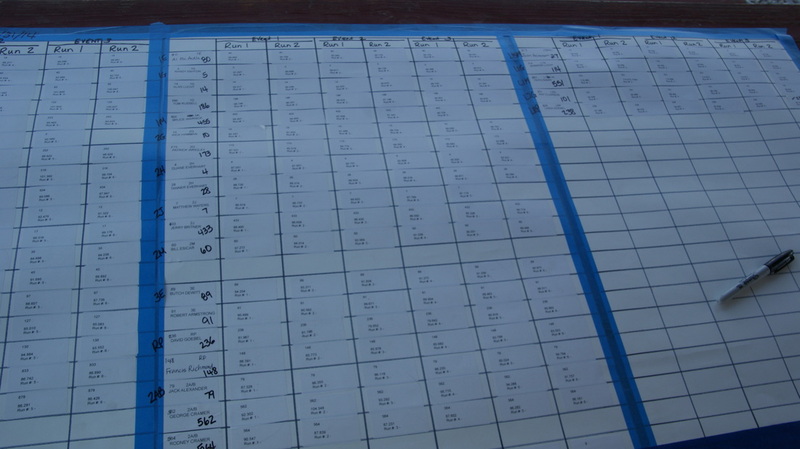 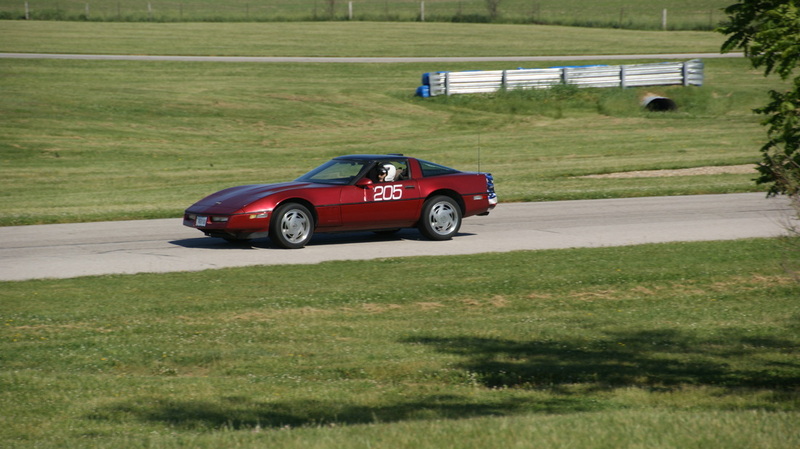 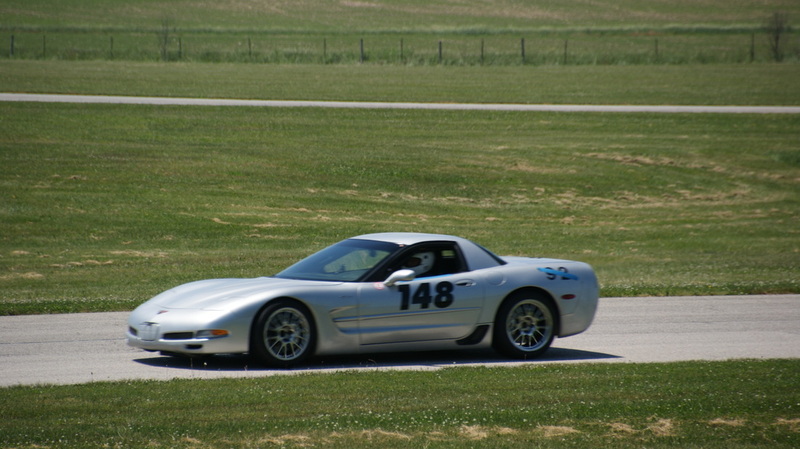 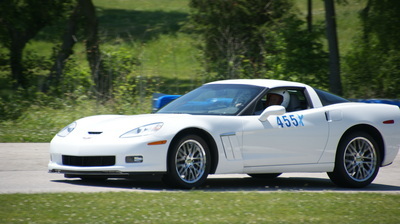 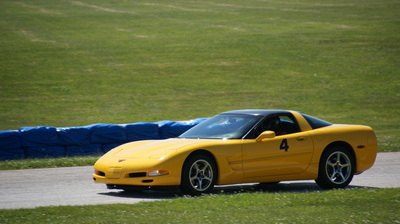 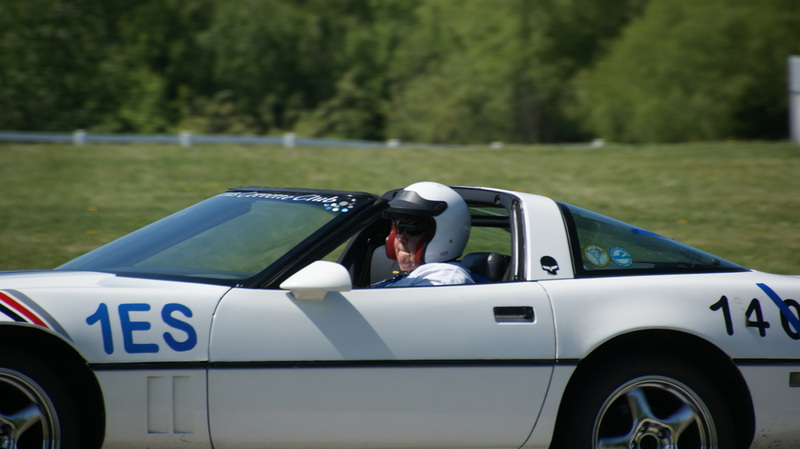 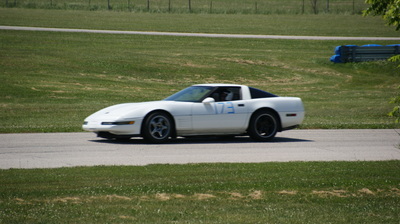 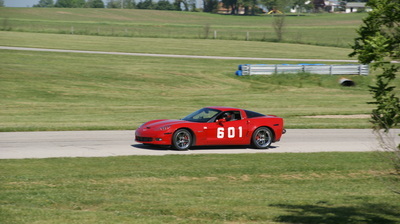 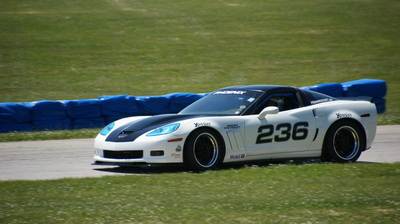 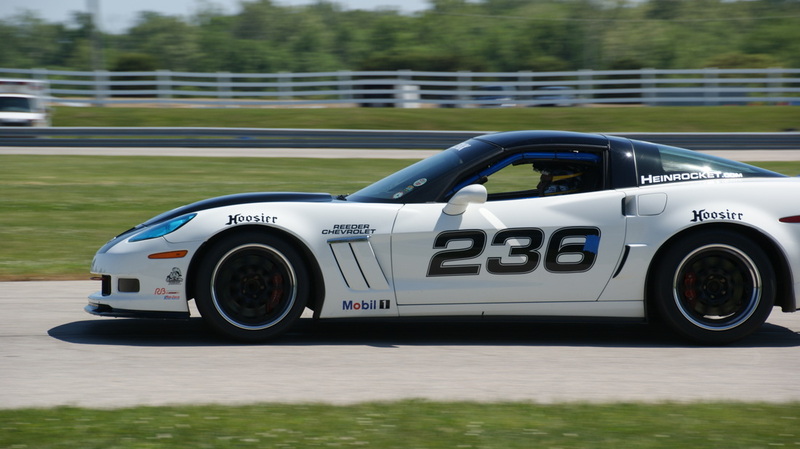 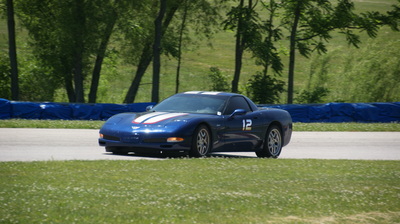 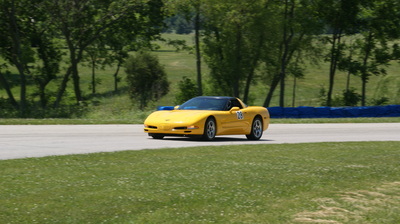 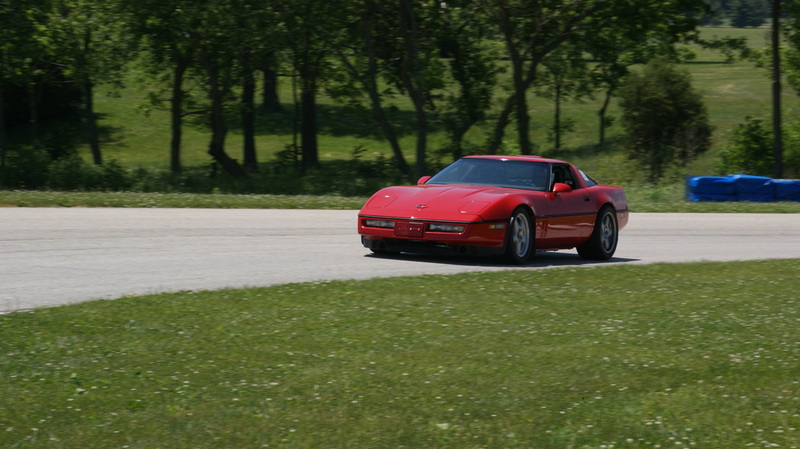 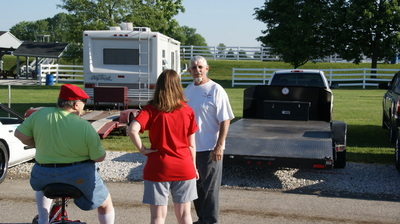 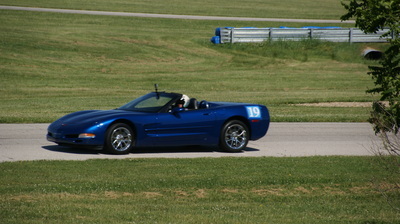 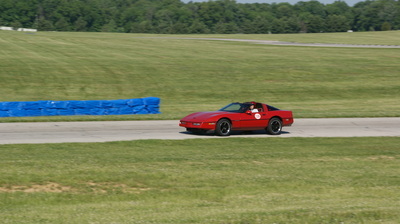 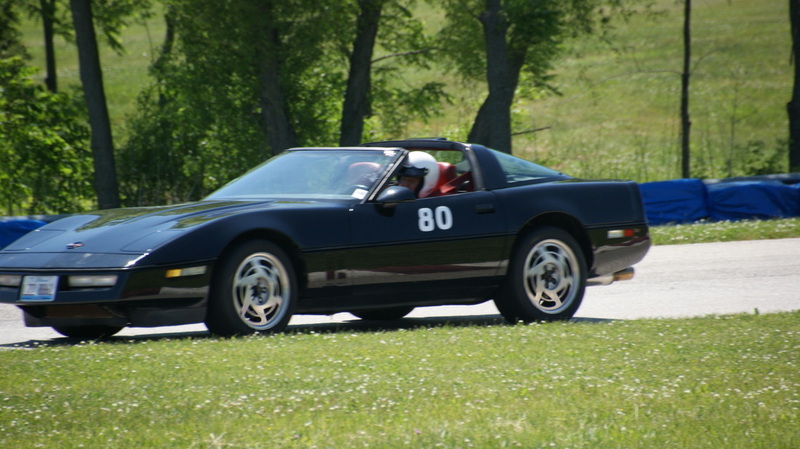 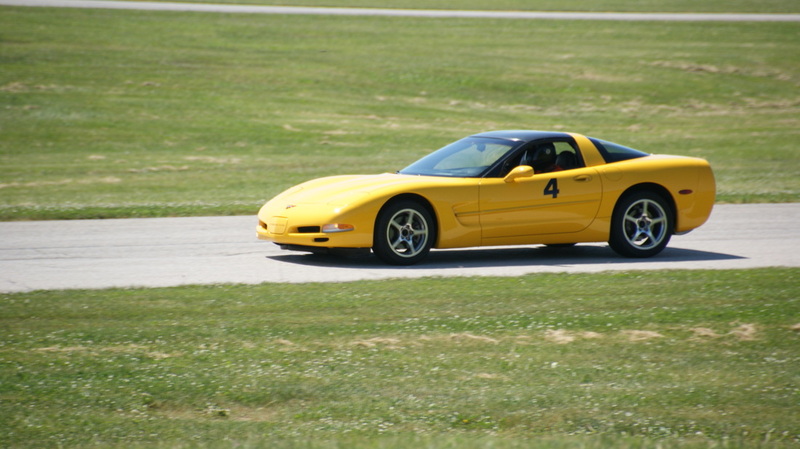 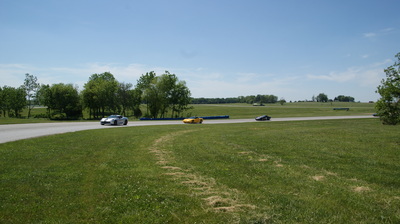 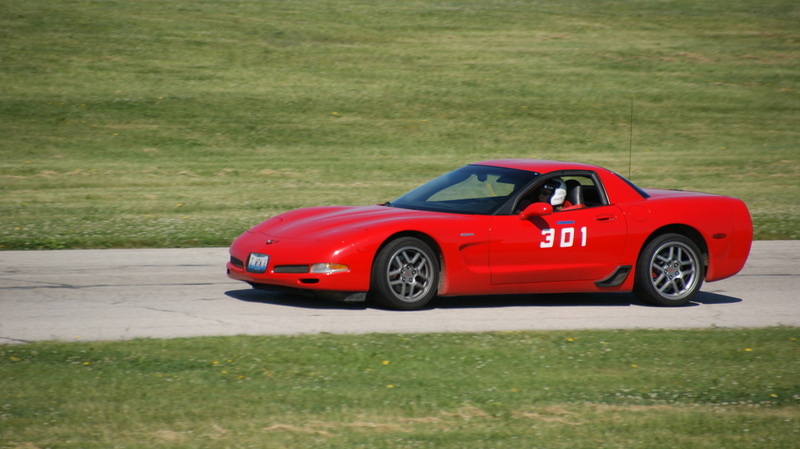 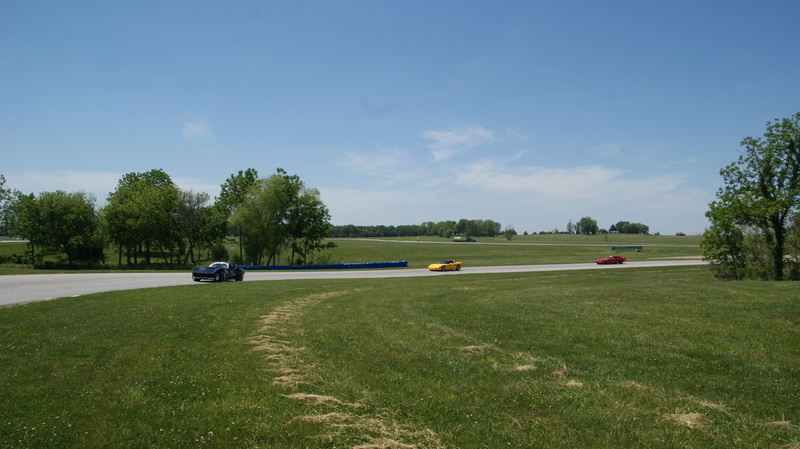 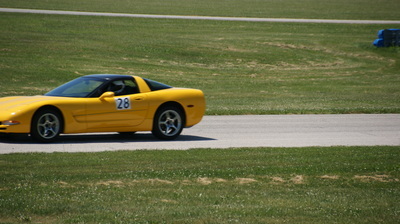 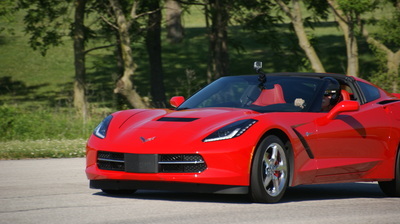 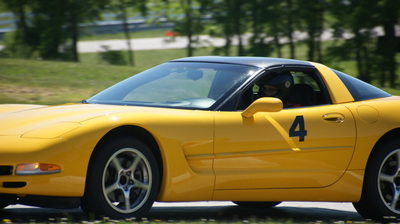 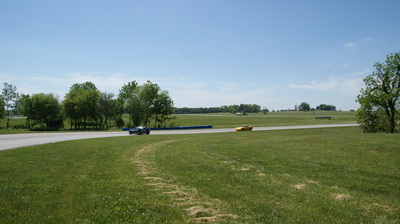 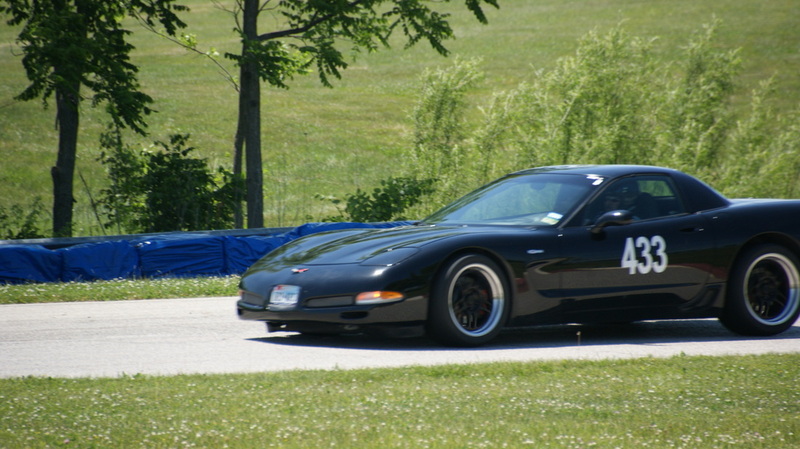 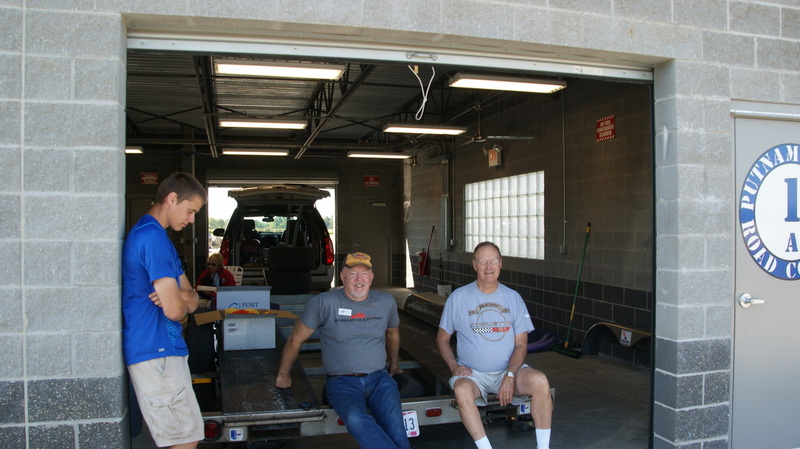 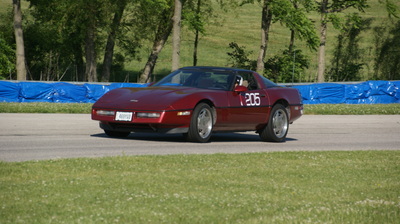 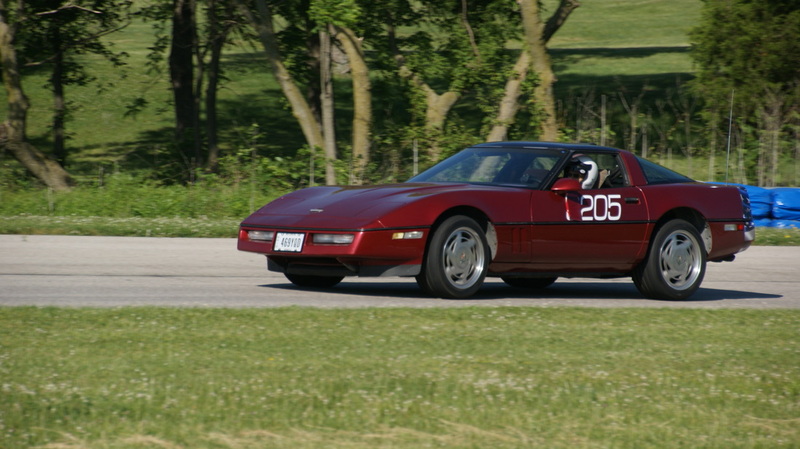 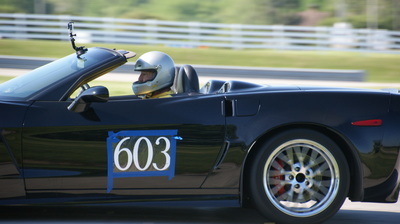 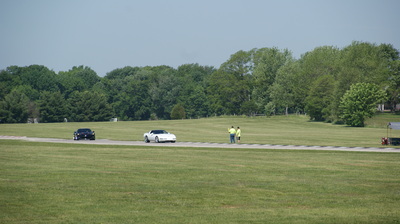 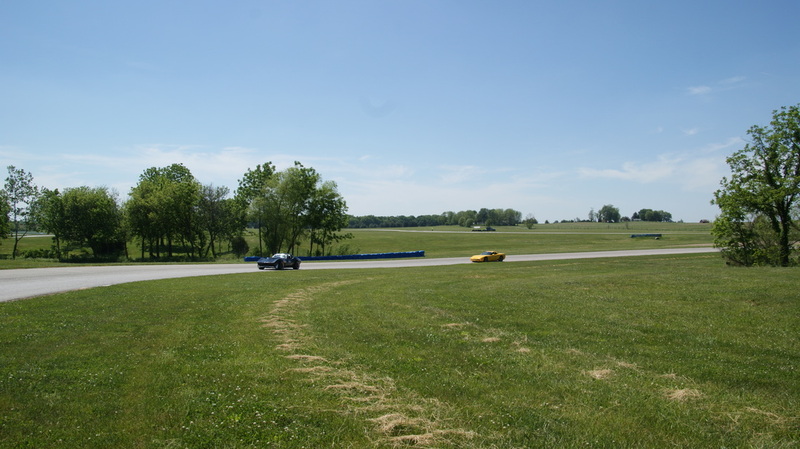 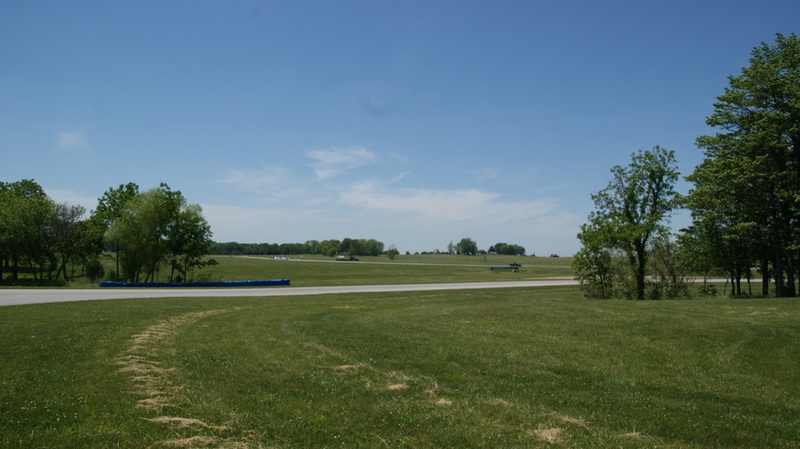 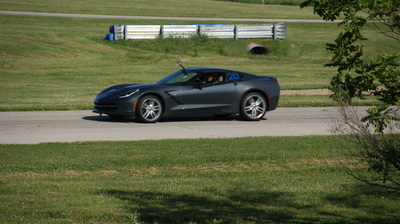 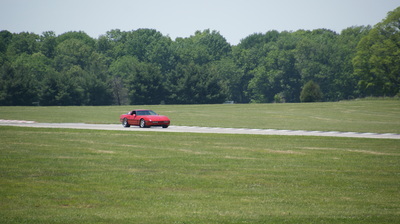 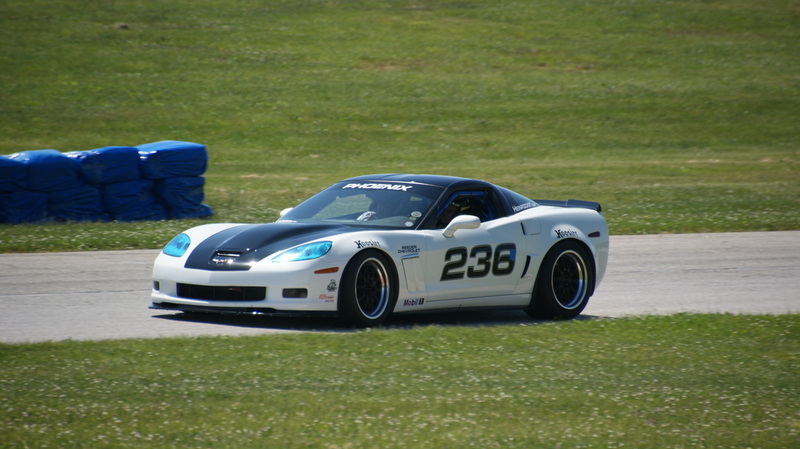 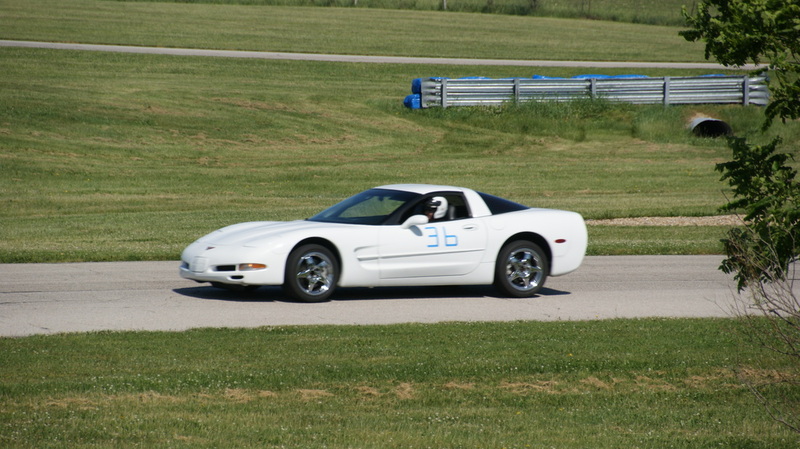 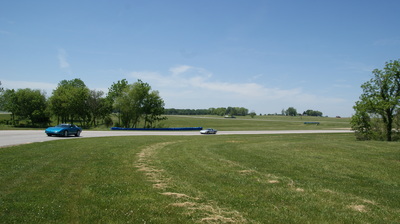 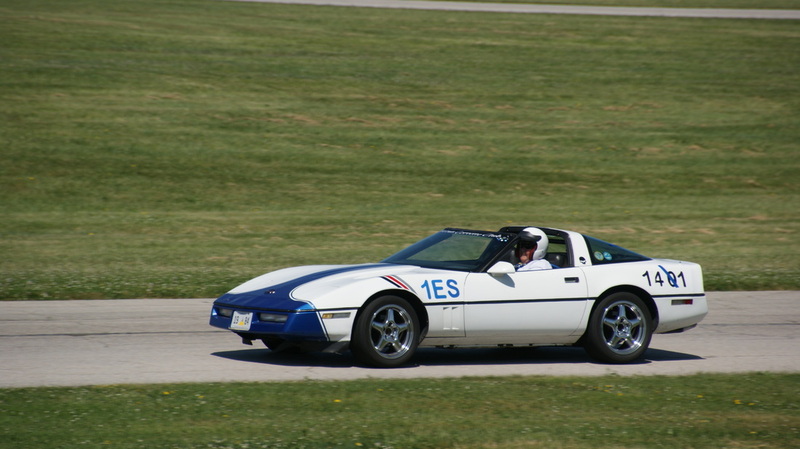 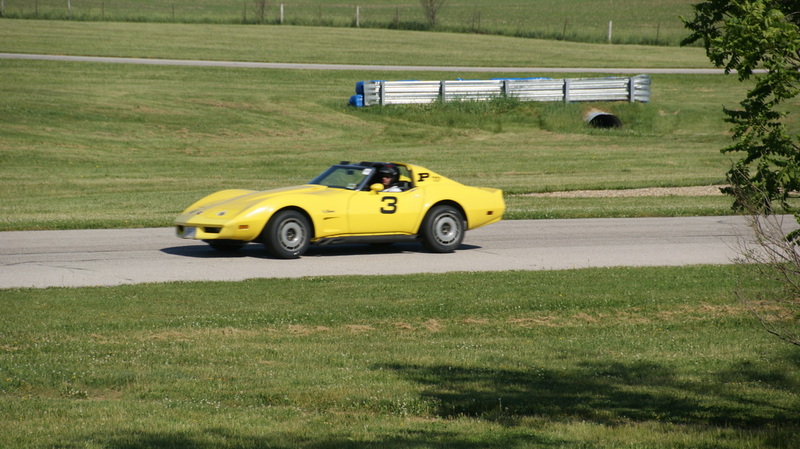 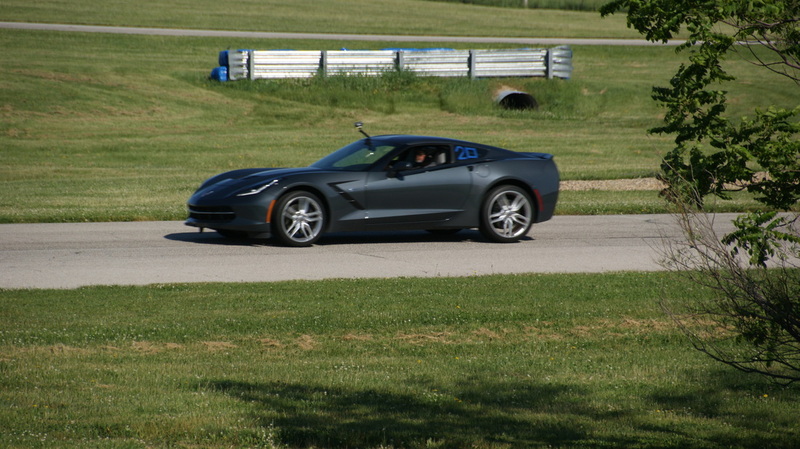 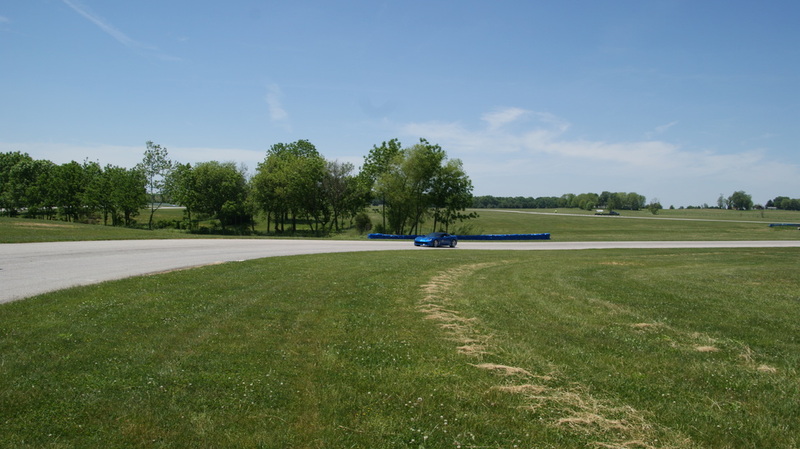 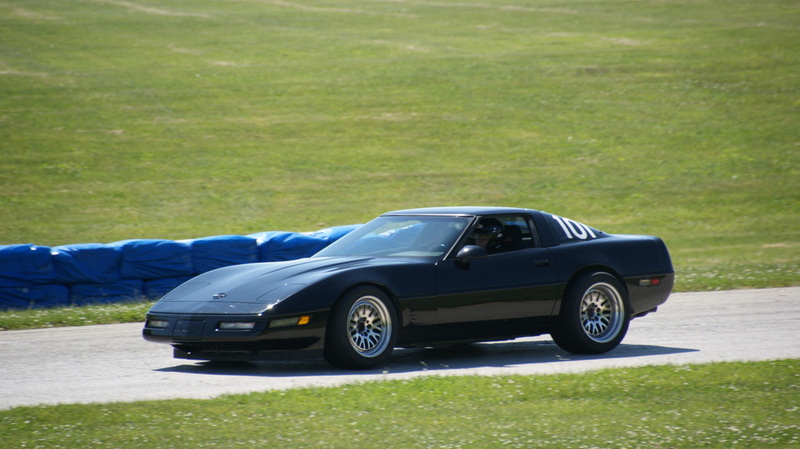 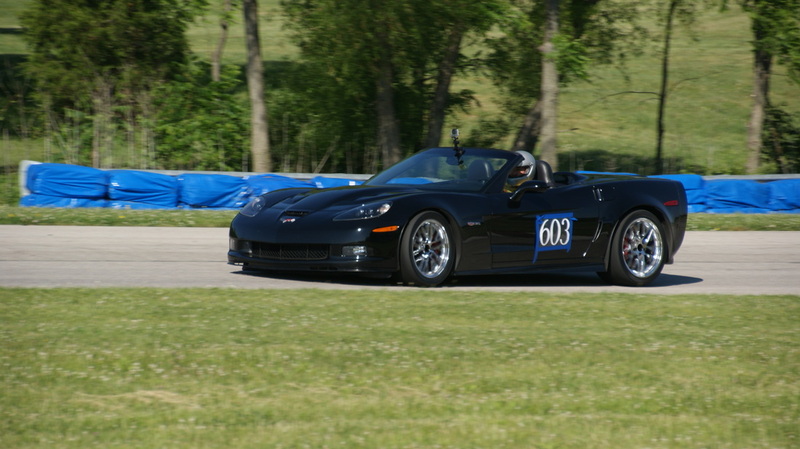 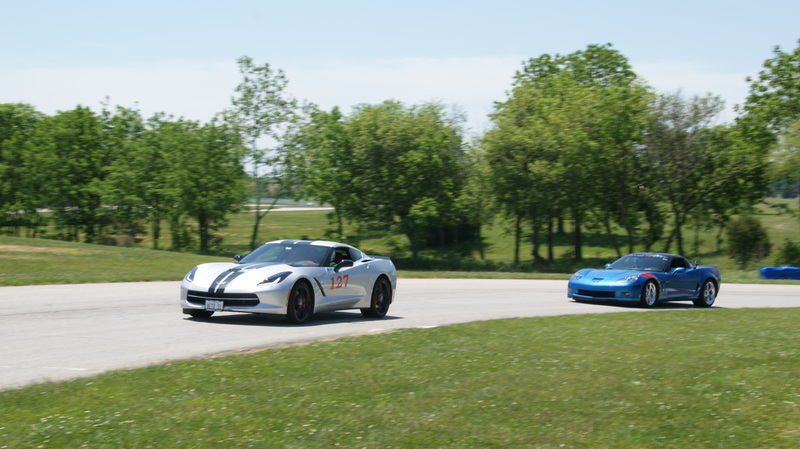 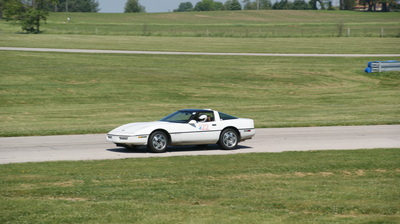 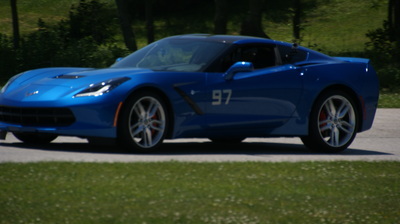 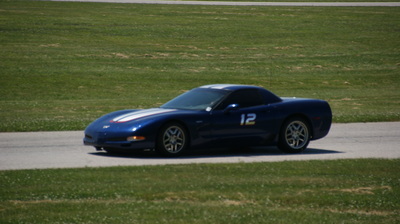 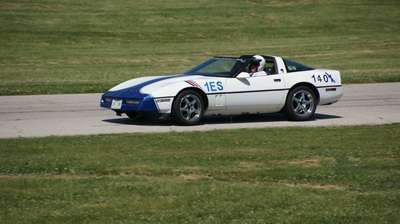 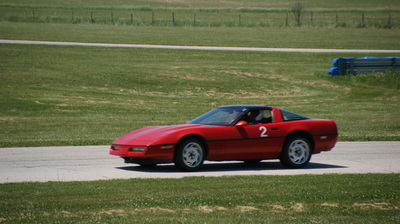 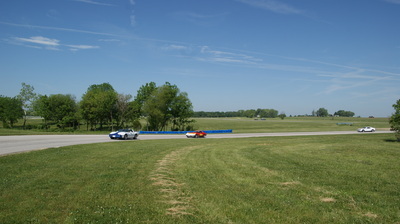 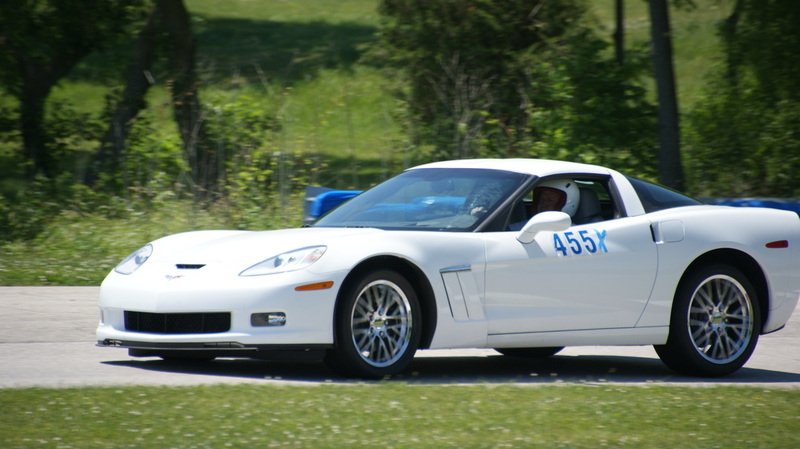 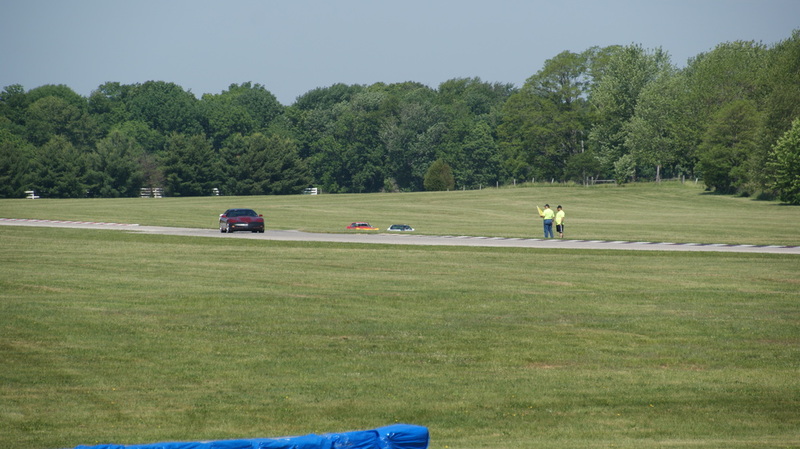 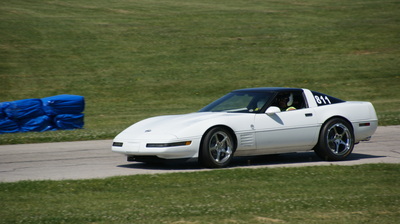 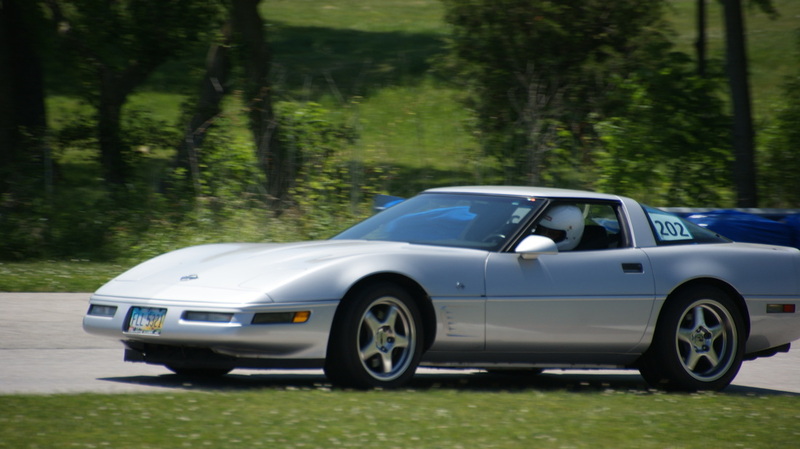 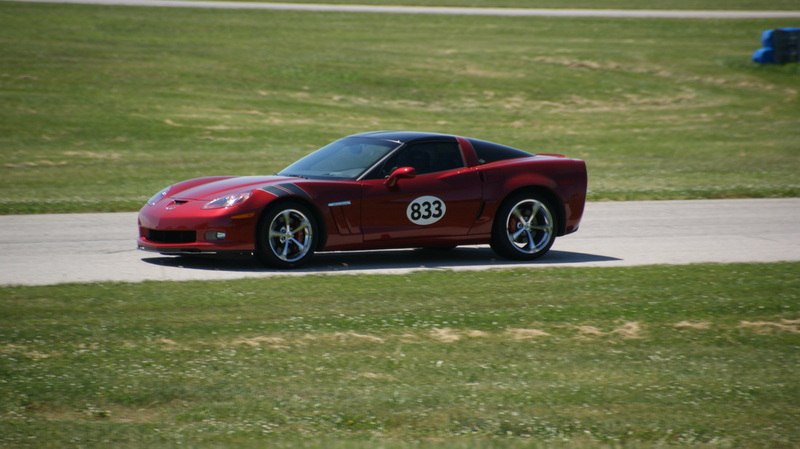 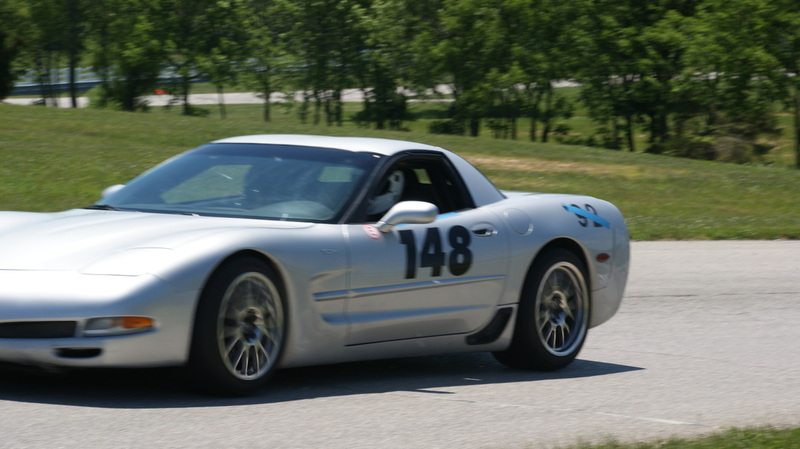 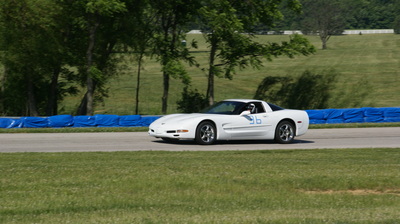 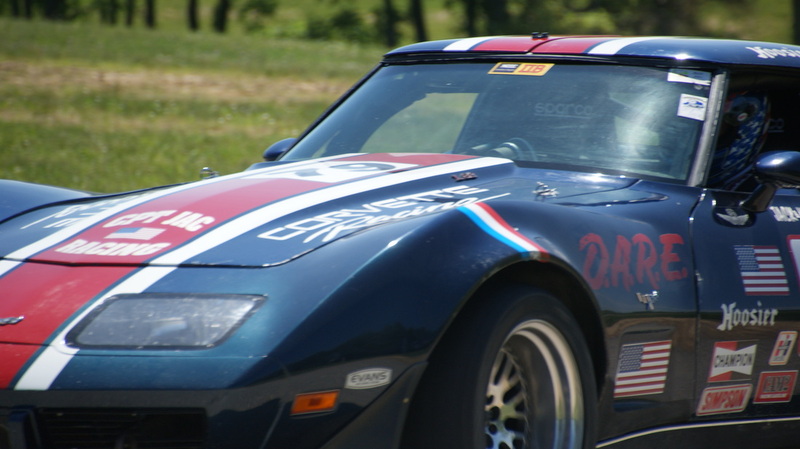 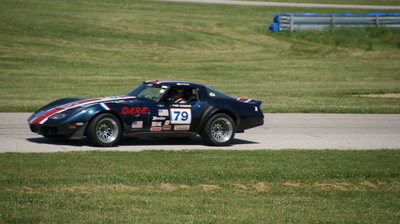 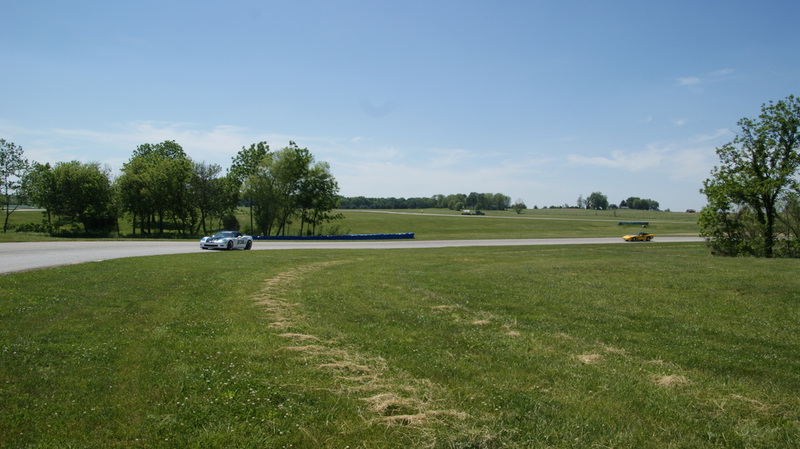 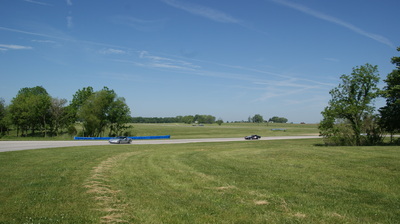 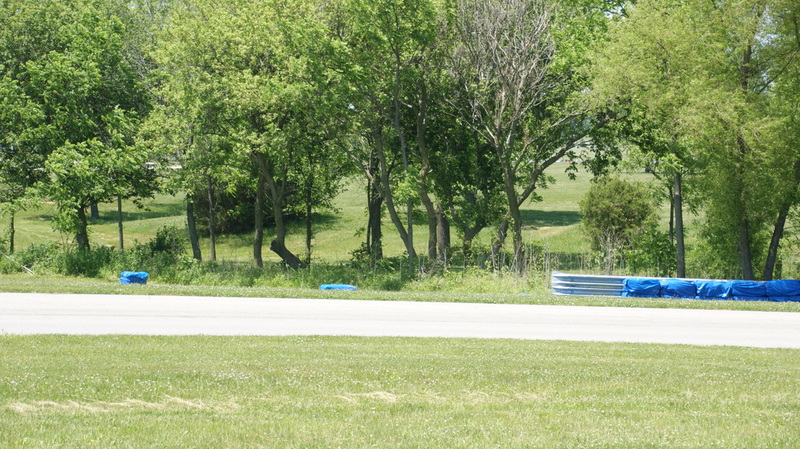 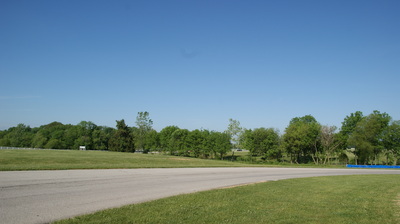 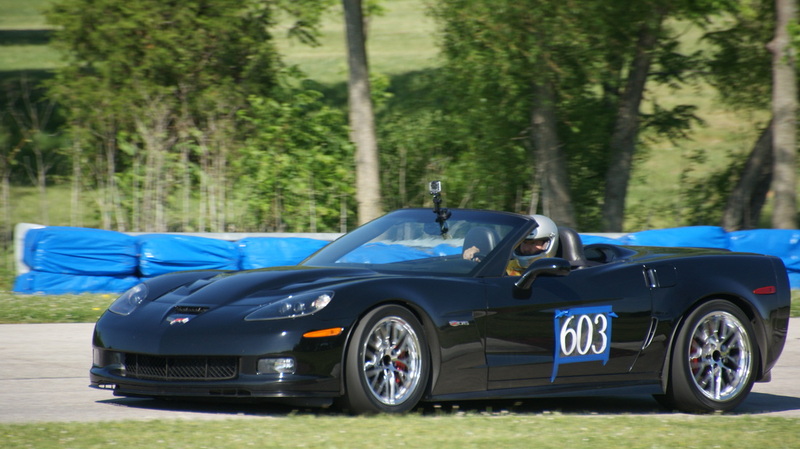 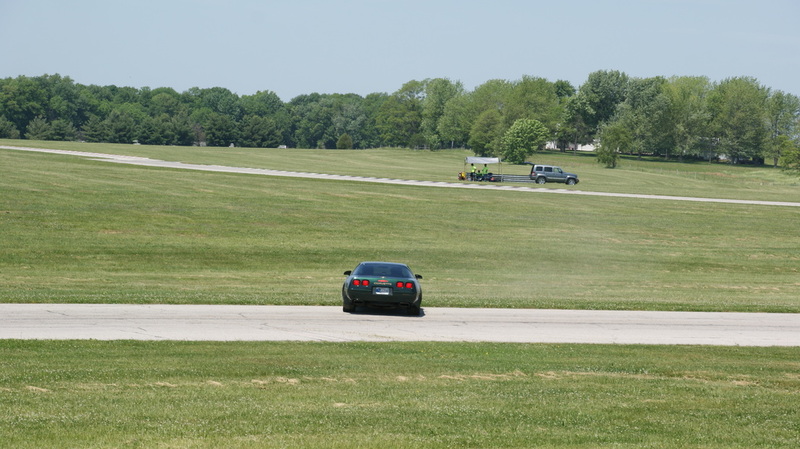 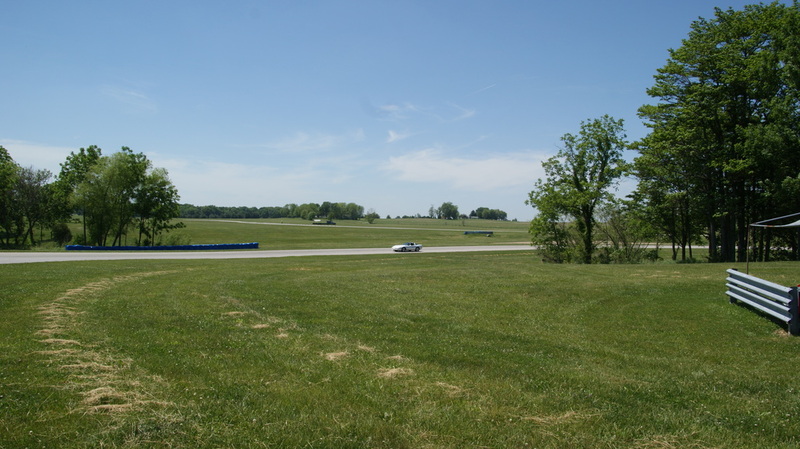 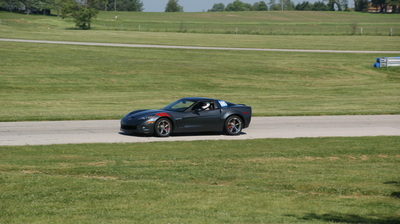 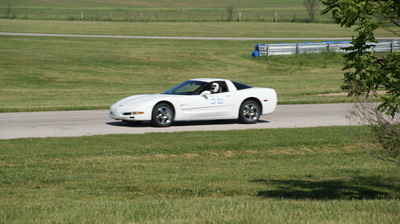 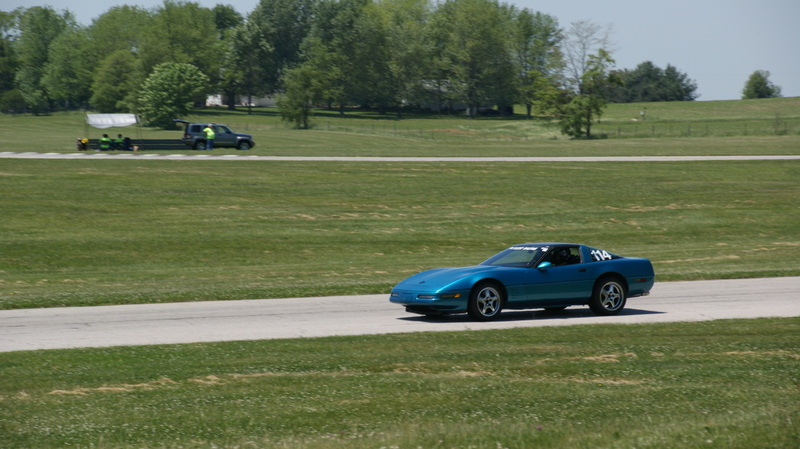 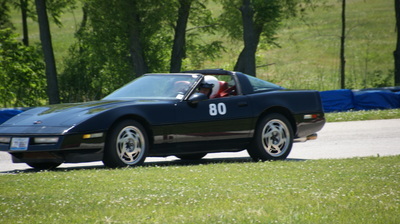 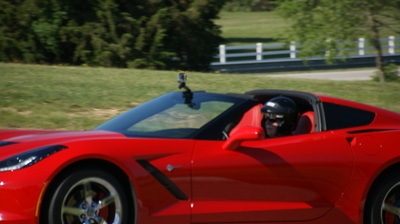 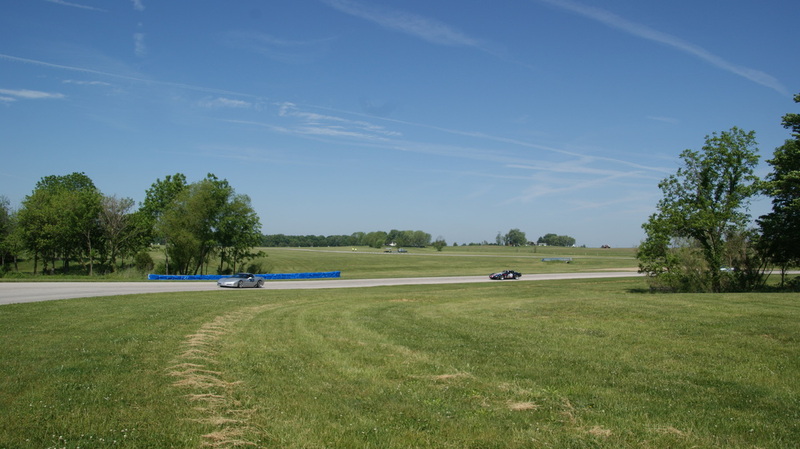 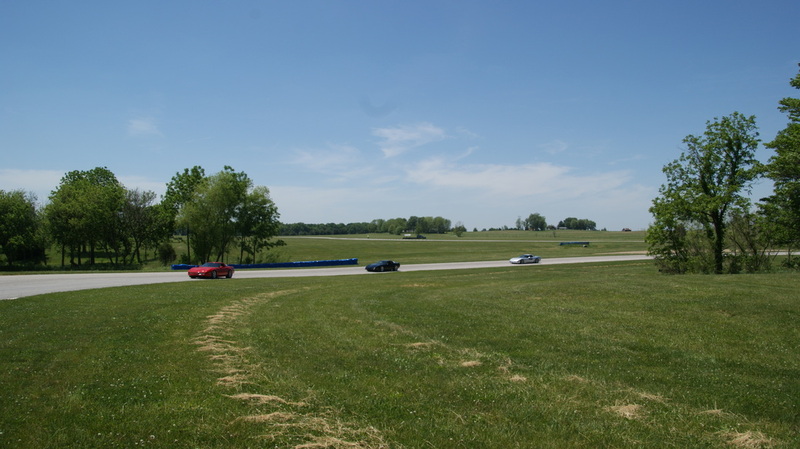 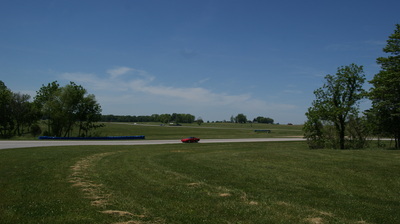 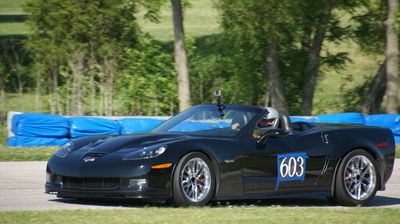 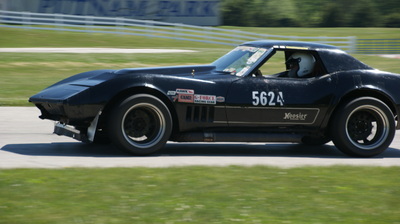 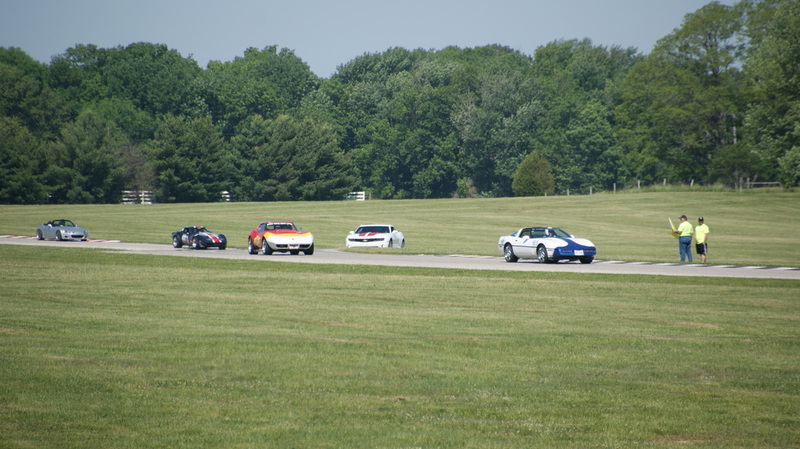 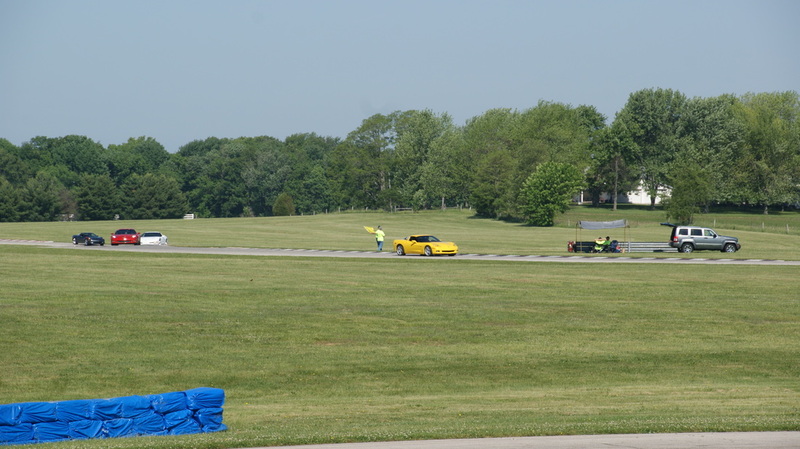 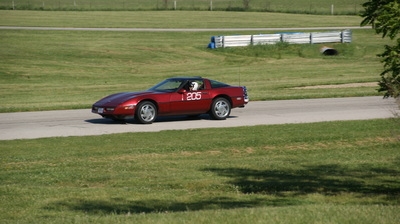 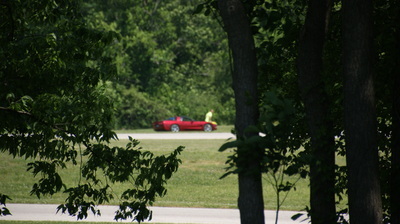 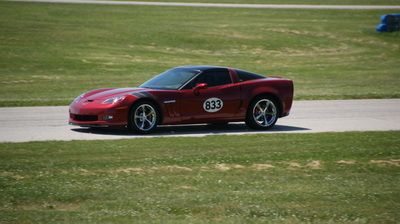 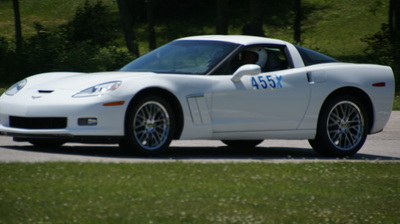 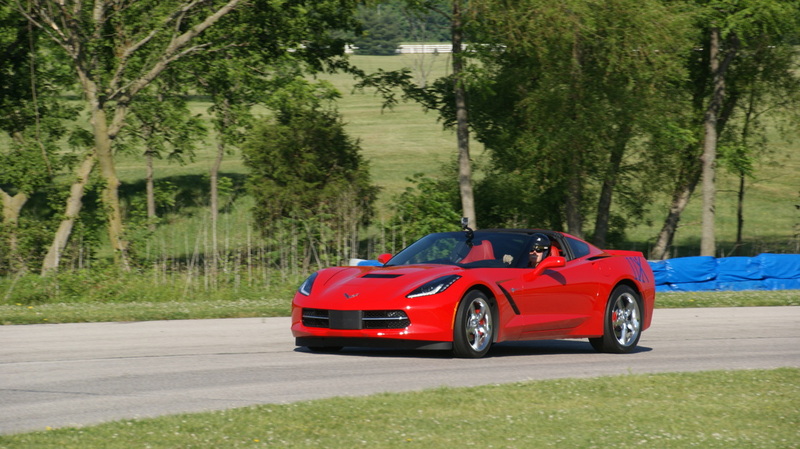 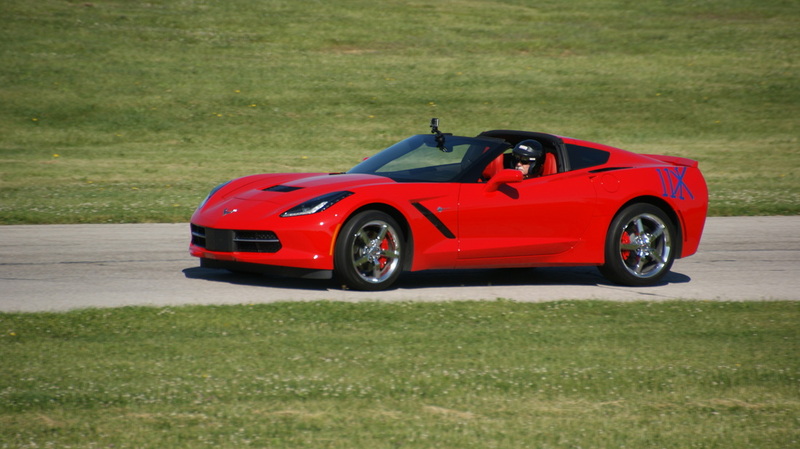 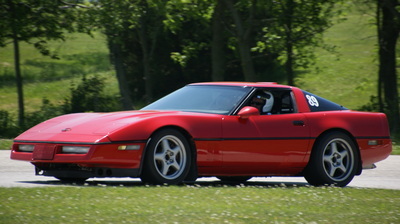 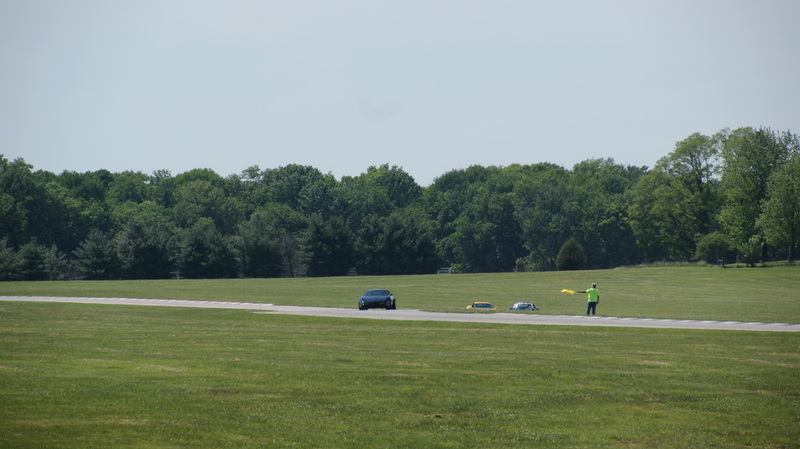 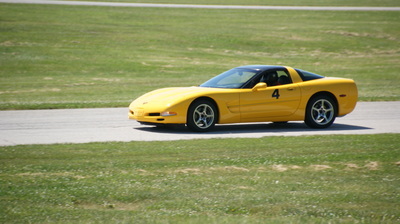 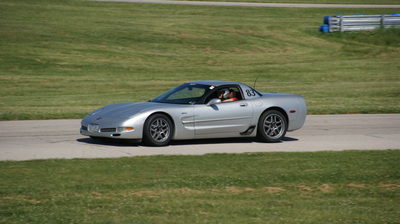 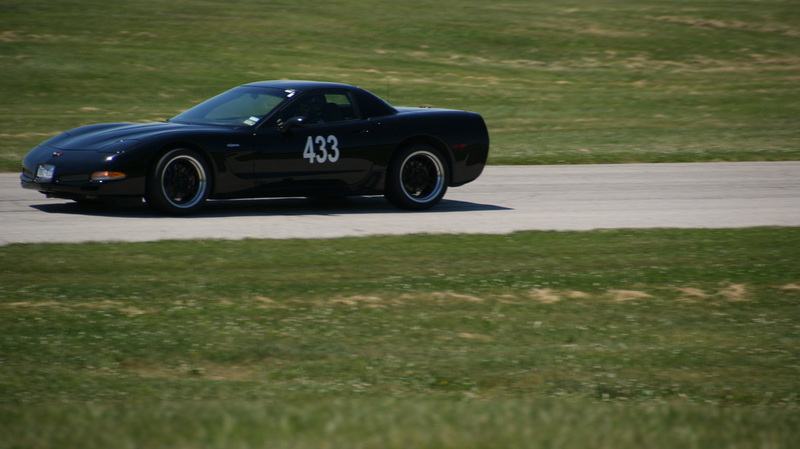 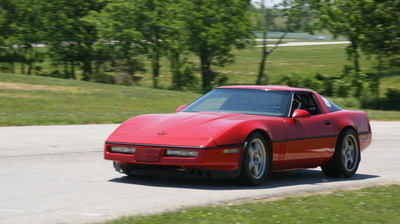 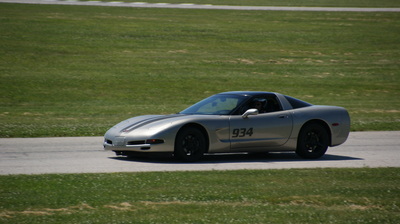 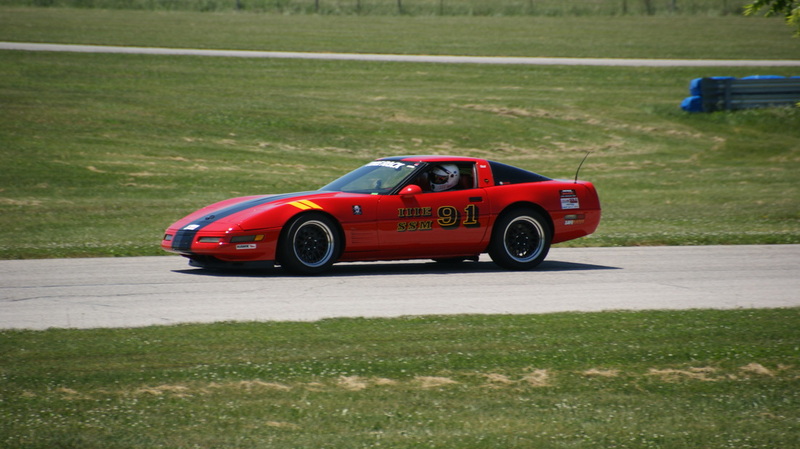 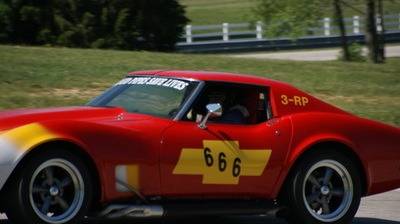 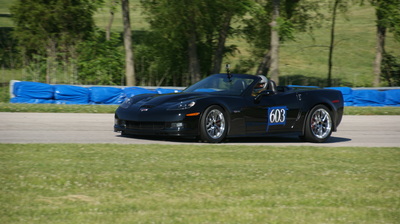 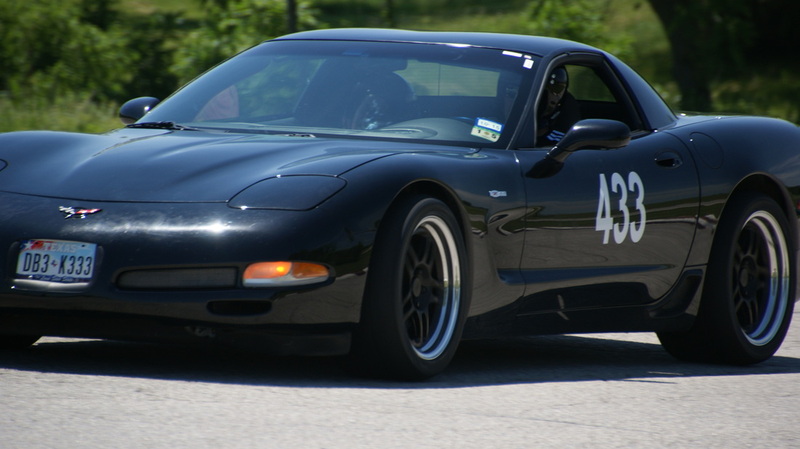 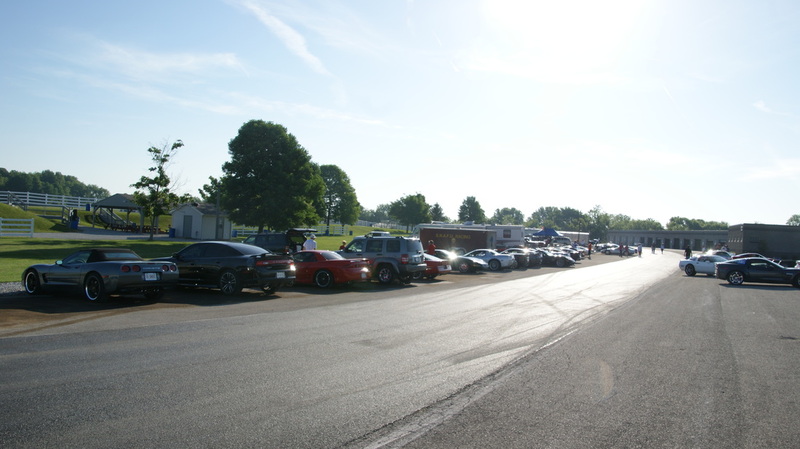 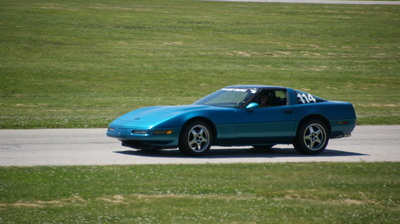 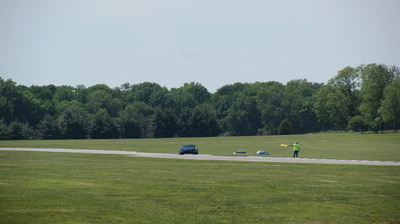 On the weekend of May 31 & June 1 the Indiana Region hosted the Annual Putnam Park Autocross. 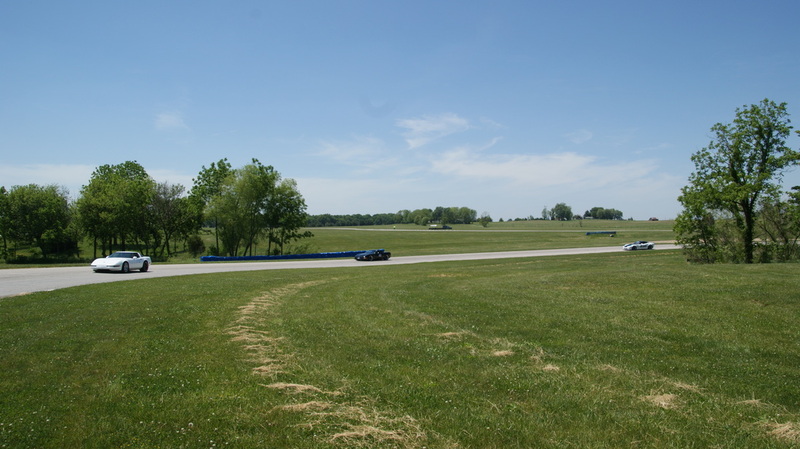 Both days turned out to be perfect for hitting the track, with temperatures in the mid 80's, low humidity, and lots of sunny skies. 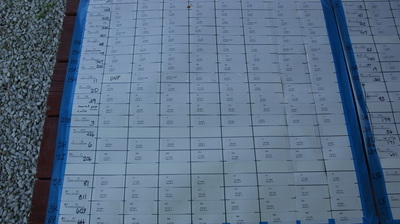 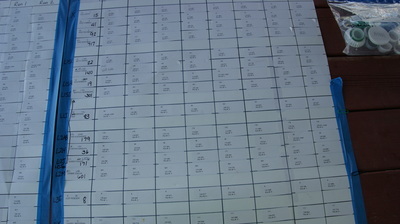 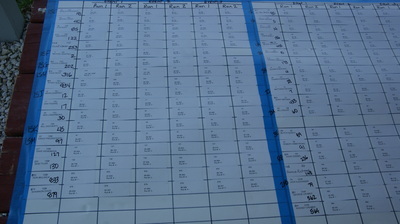 On Saturday the low speed groups started the day with 4 events, then the high speed ended the day with 3 events. 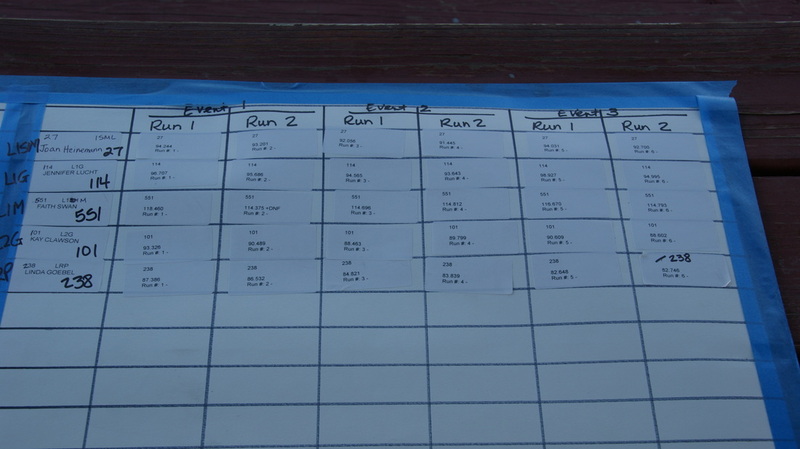 On Sunday the order was reversed with the high speed doing their remaining 4 events followed by the low speed and their remaining 3 events. 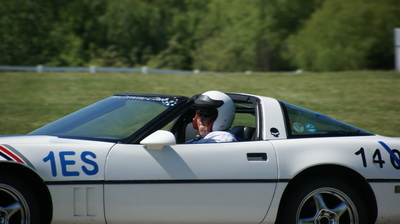 Both days went well, with only a few off course excursions on each. 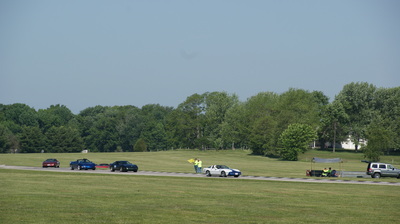 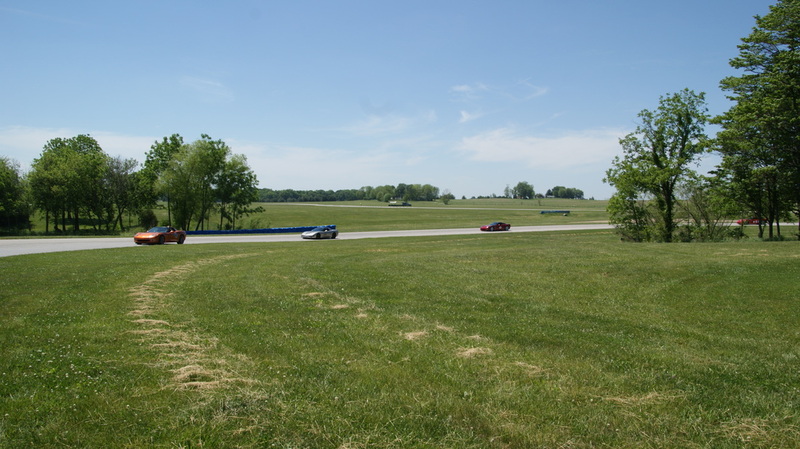 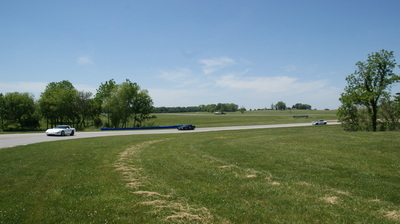 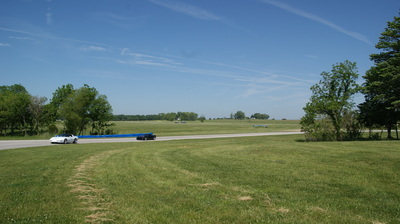 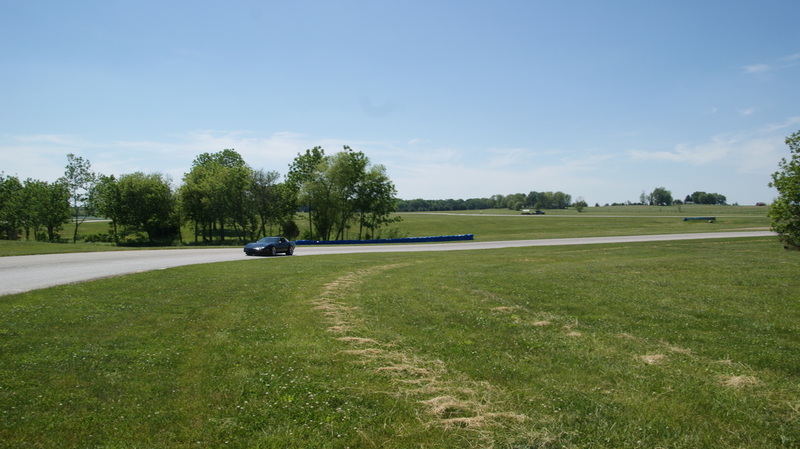 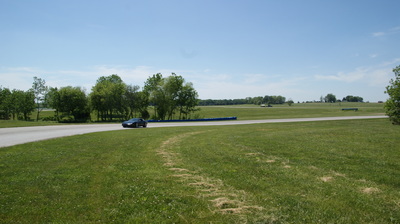 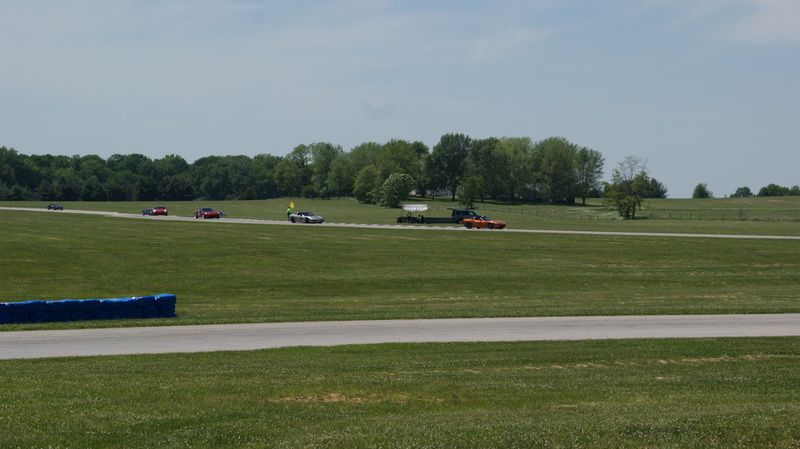 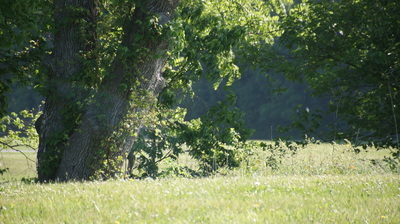 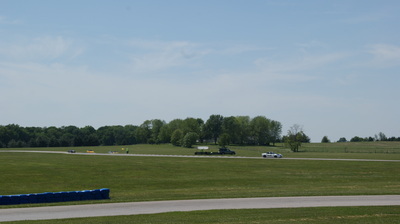 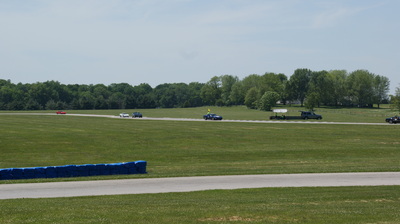 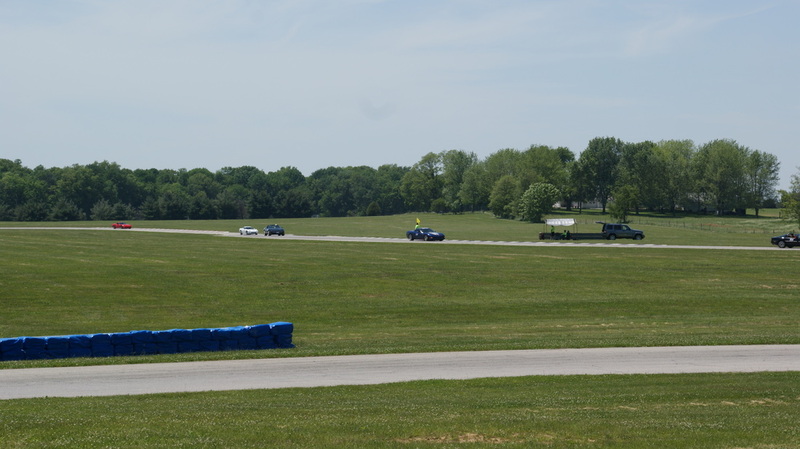 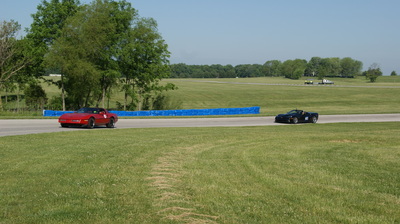 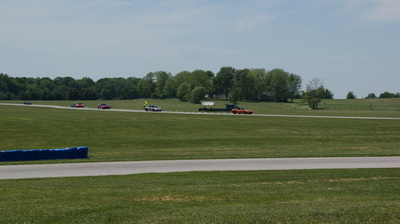 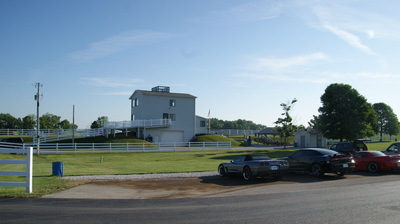 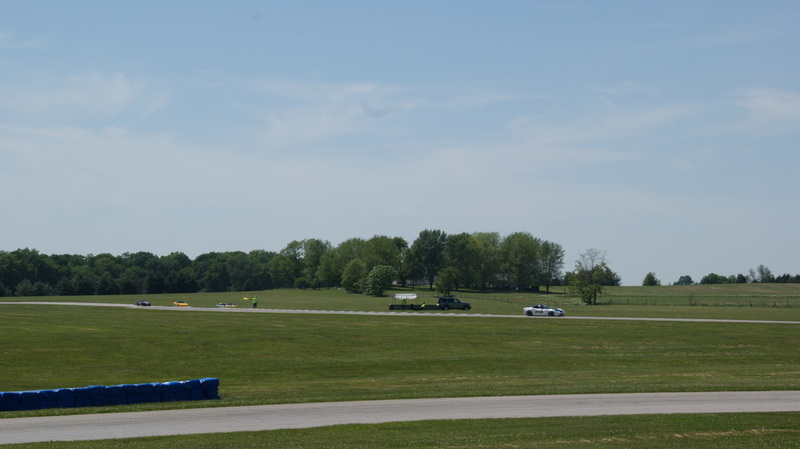 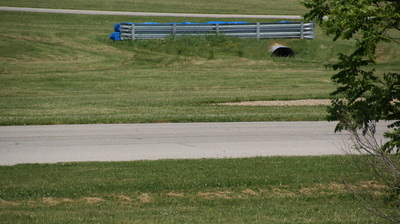 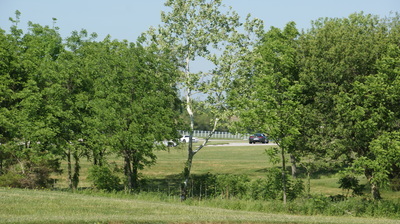 One of Saturday's did include moving 6 hay bales from the turn 8 barrier, but no damage to the barrier, driver or car. 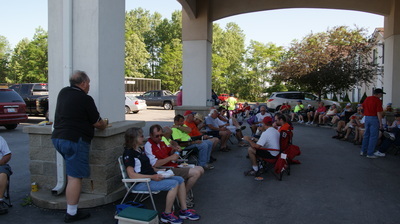 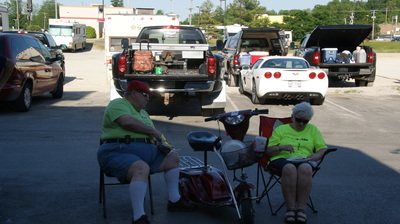 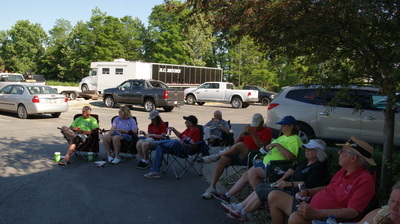 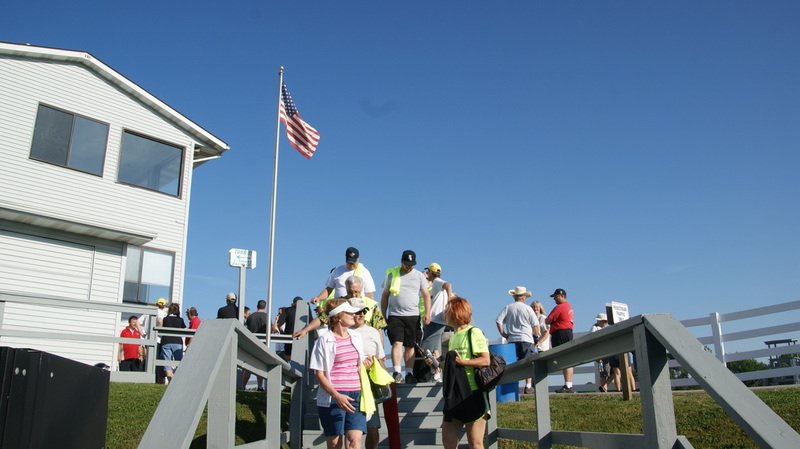 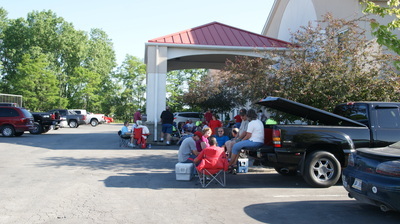 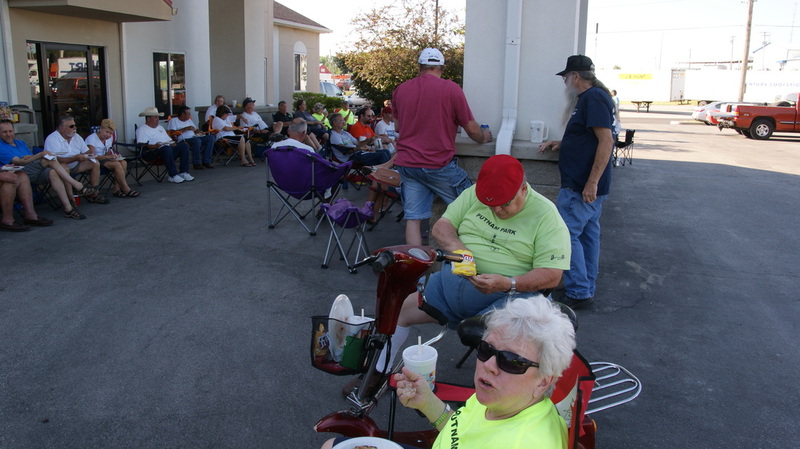 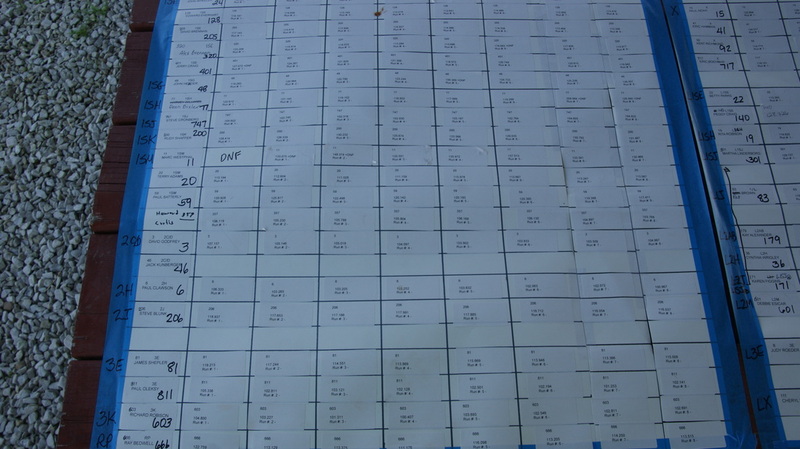 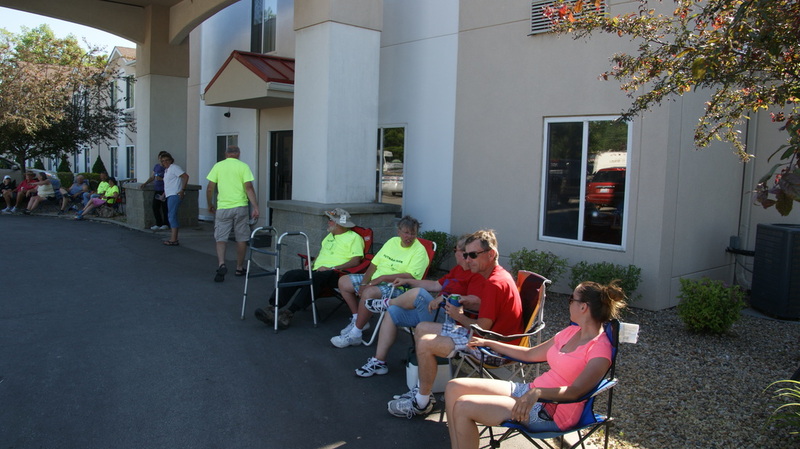 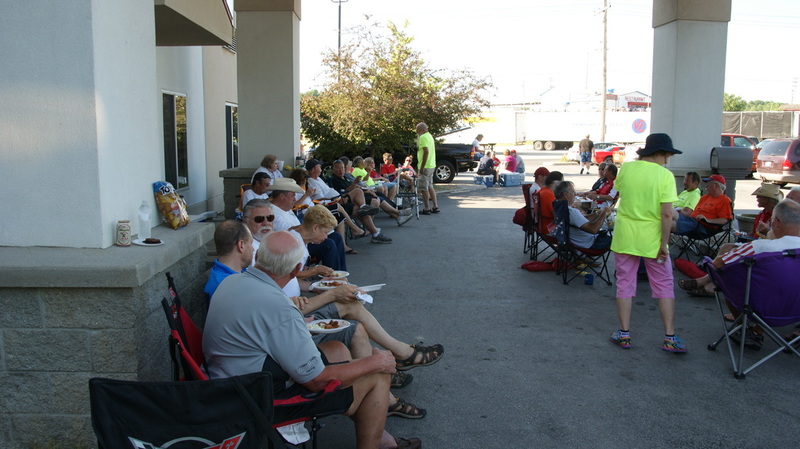 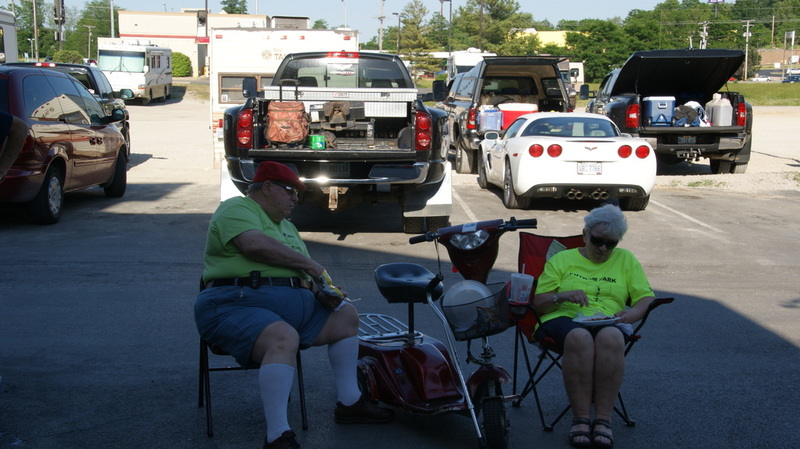 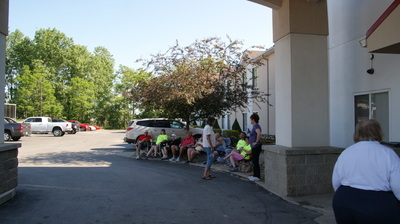 Saturday was followed up by the evening banquet and decompression time for all of the workers and drivers. 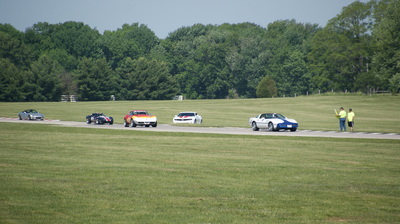 Another great Indiana Region Event! 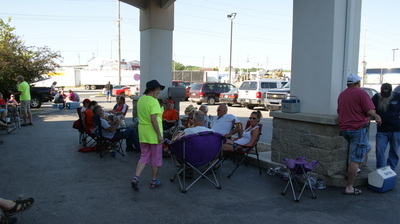 Pictures are from Saturday, if you see one you want a full size copy of please email Bill at the Indian Region Webmasteer Address..